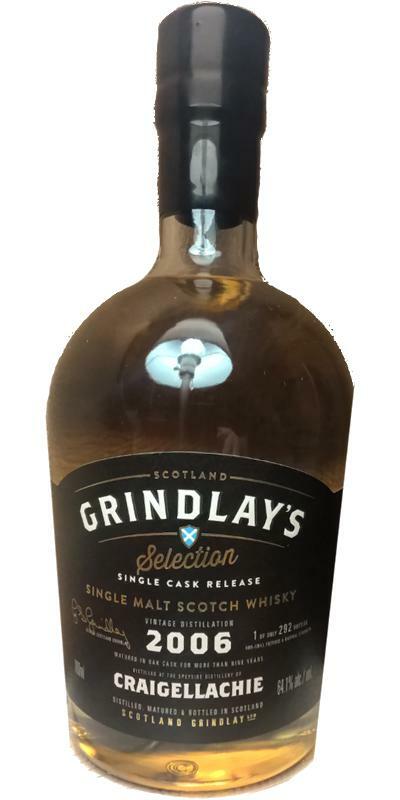 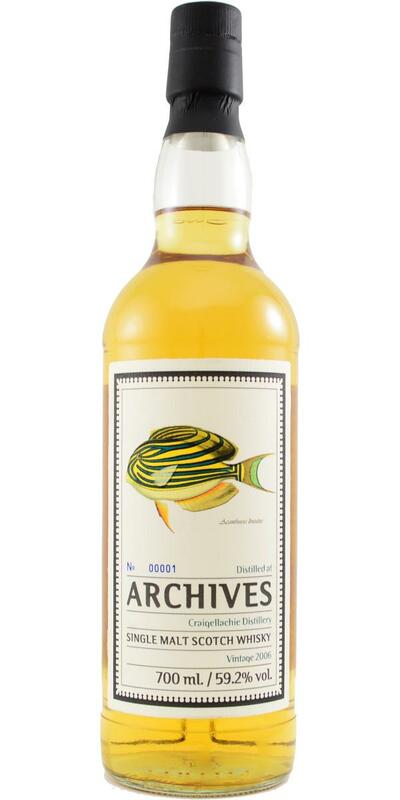 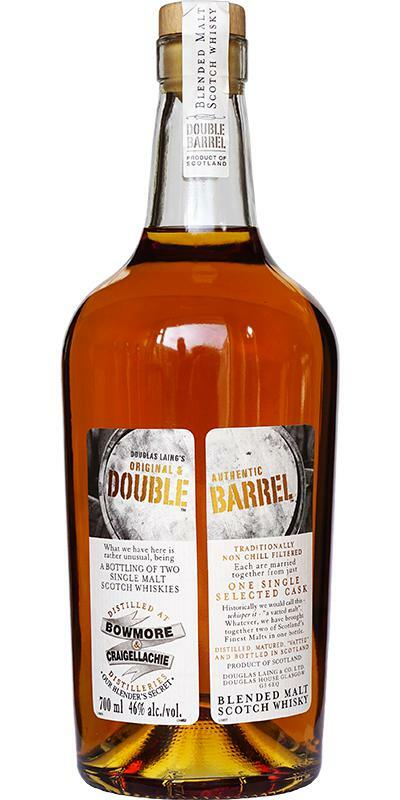 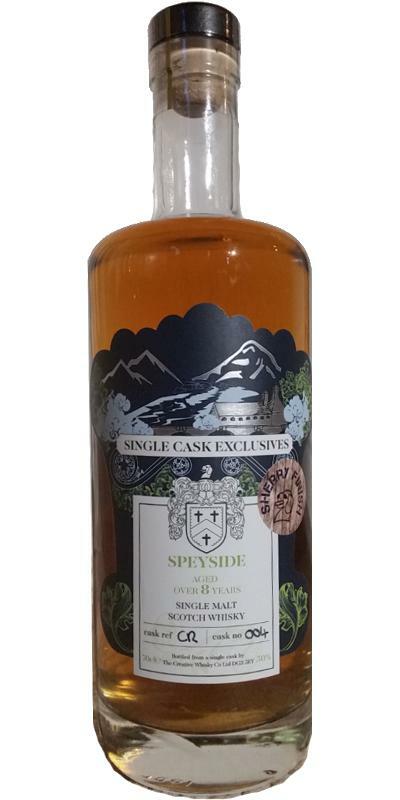 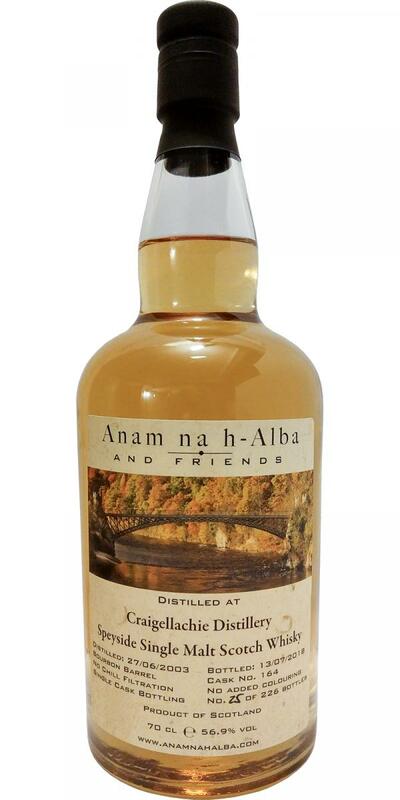 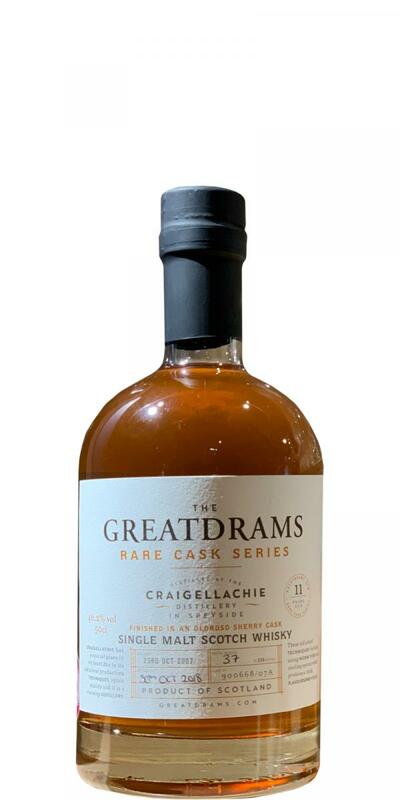 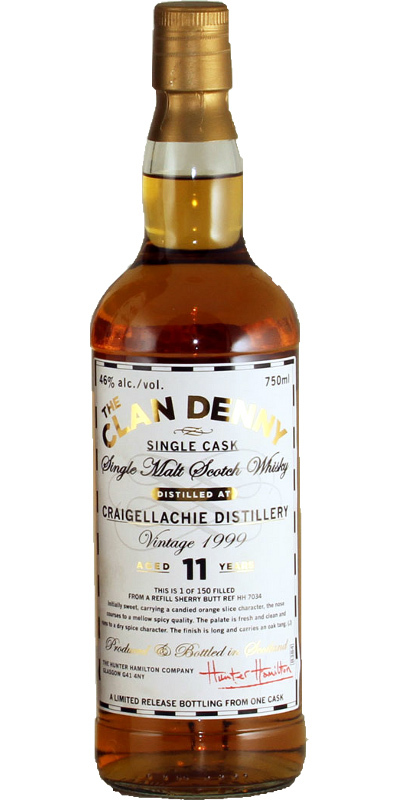 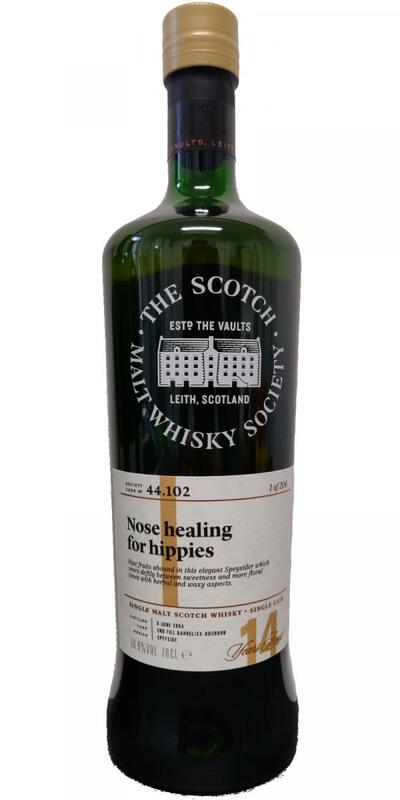 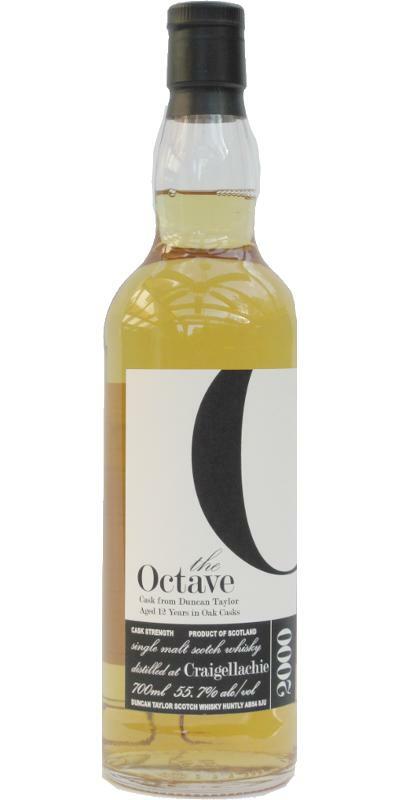 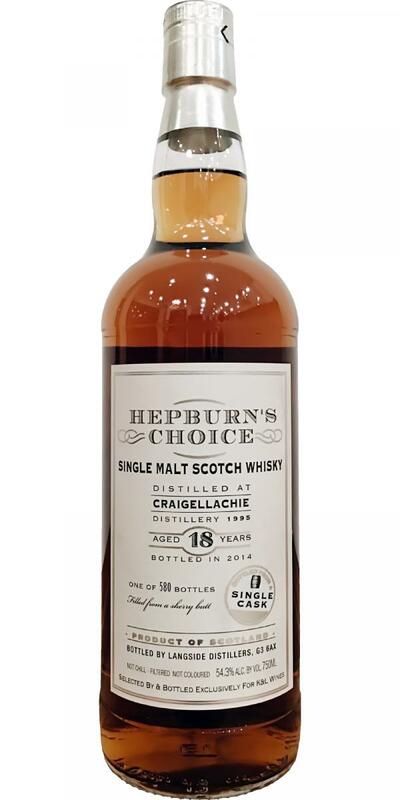 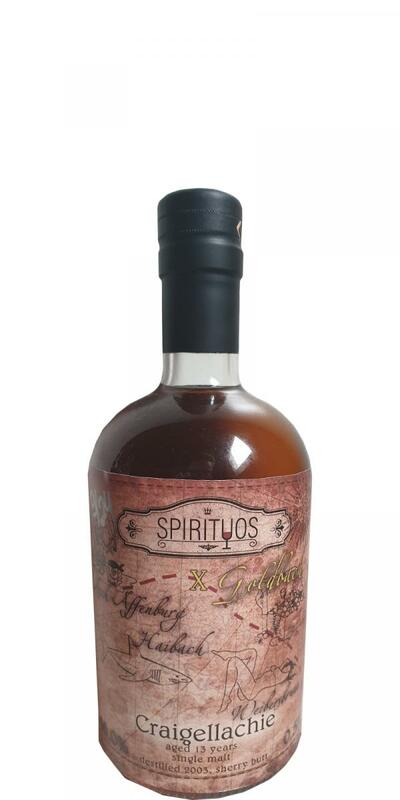 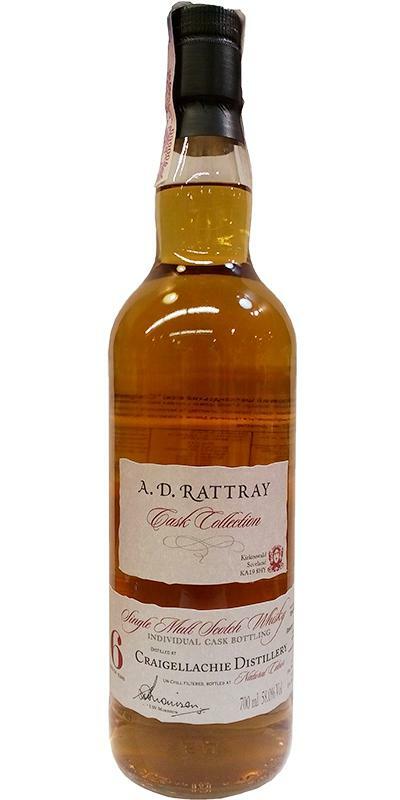 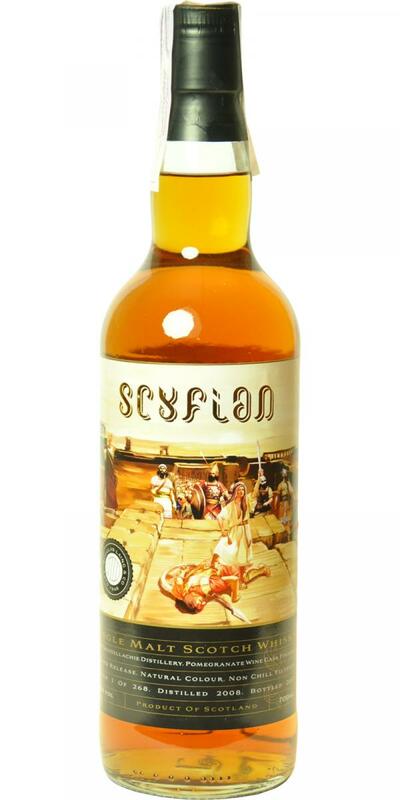 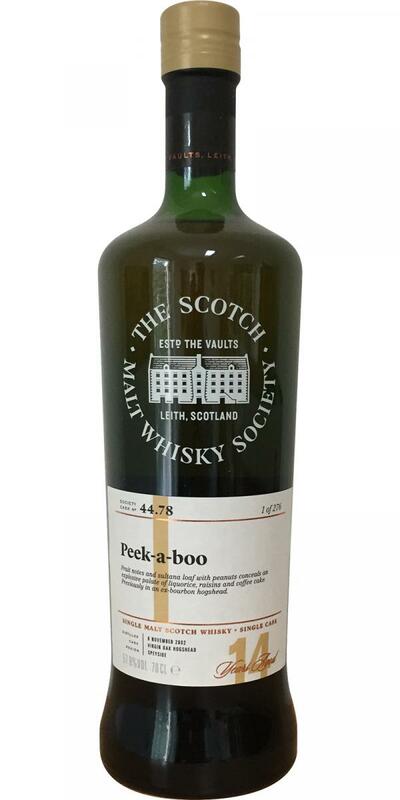 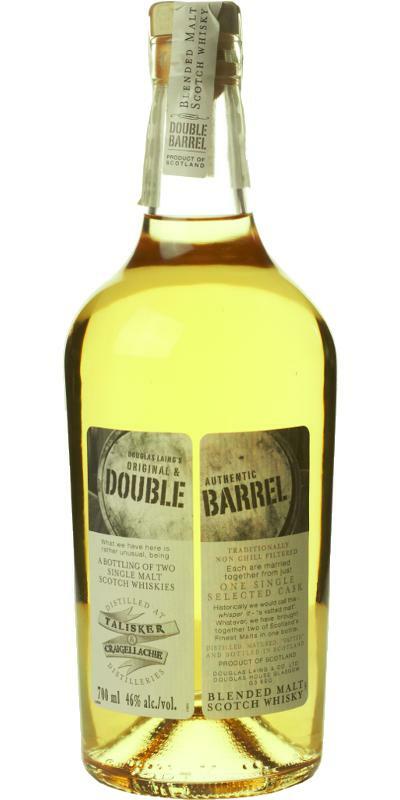 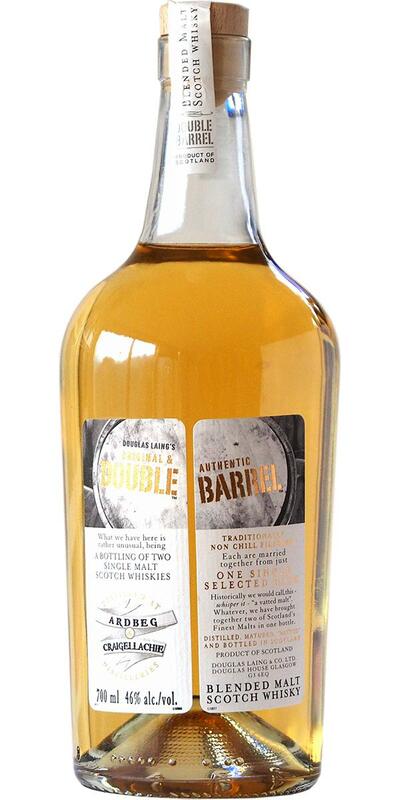 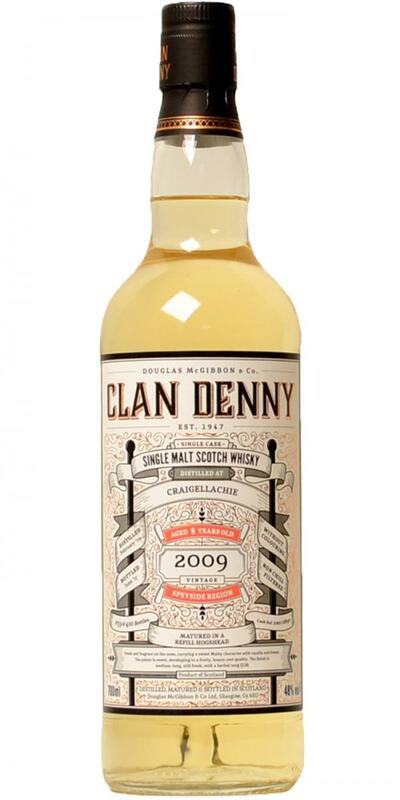 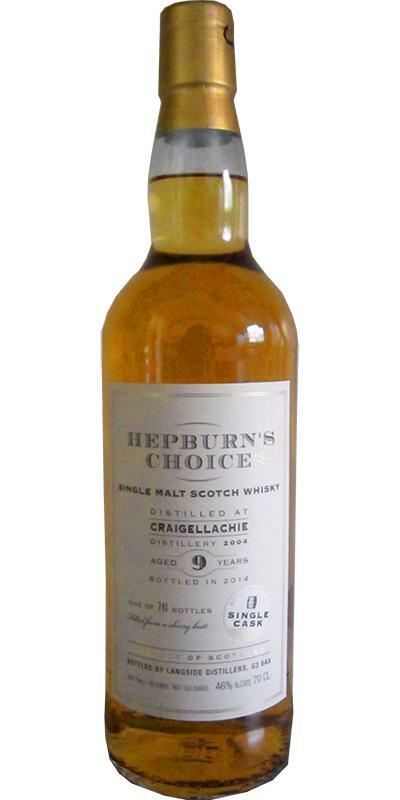 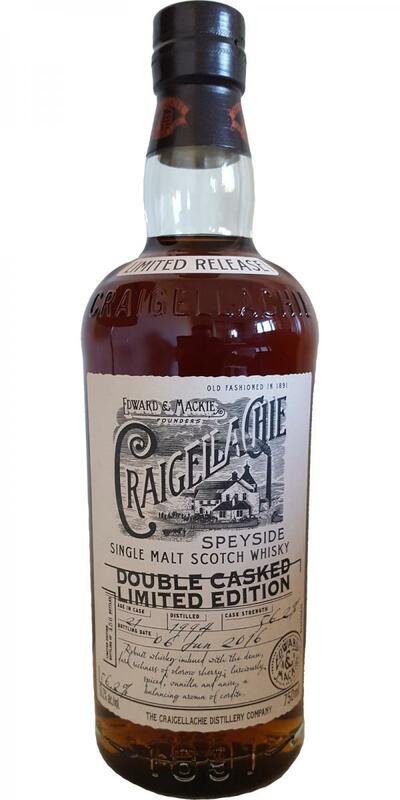 Brand Craigellachie Double Barrel Drumbowie Speyside The Good Spirits Co.
Craigellachie 12-year-old - The Delnabo Limited Edition 12 43.0 % Vol. 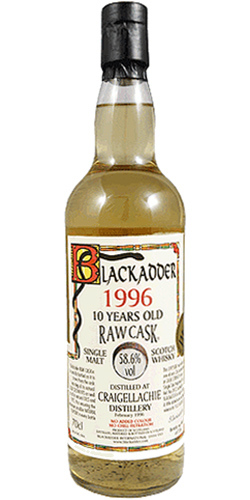 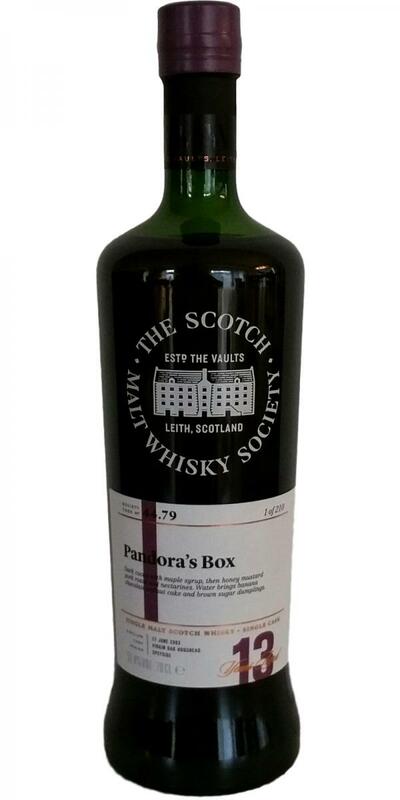 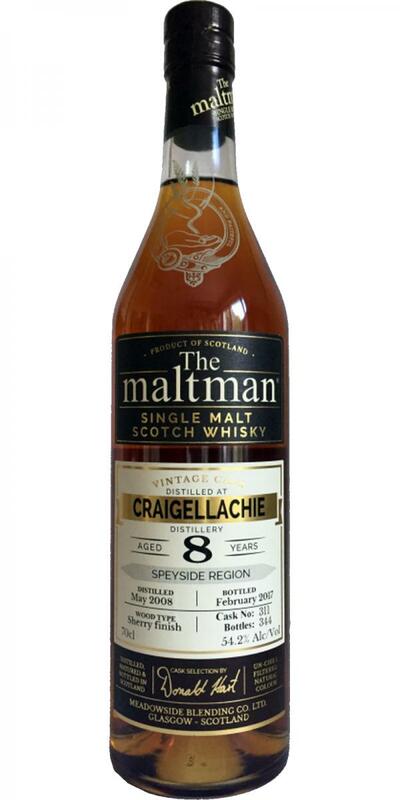 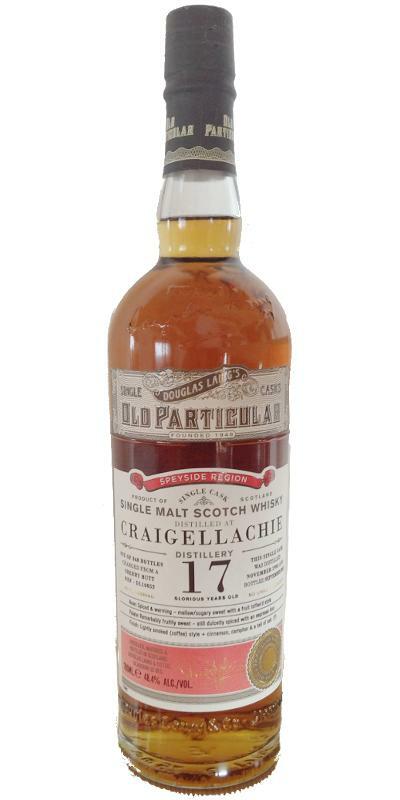 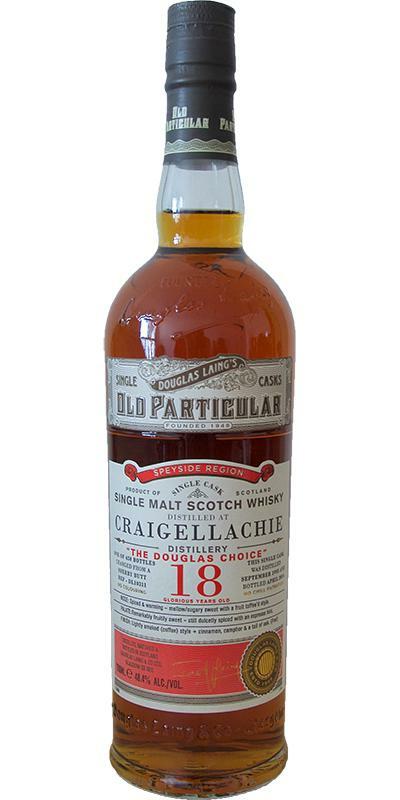 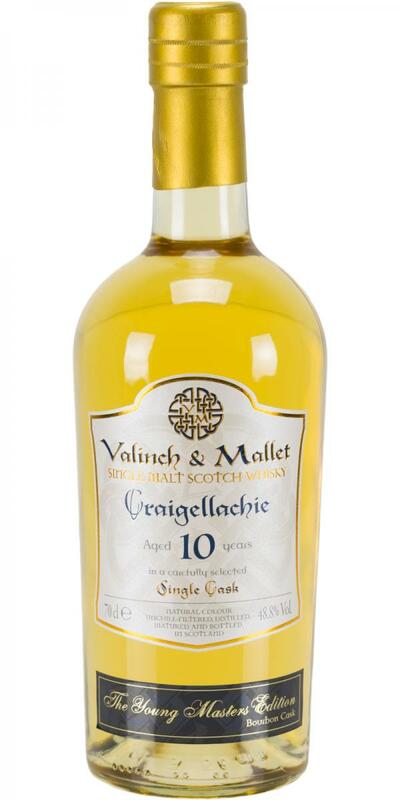 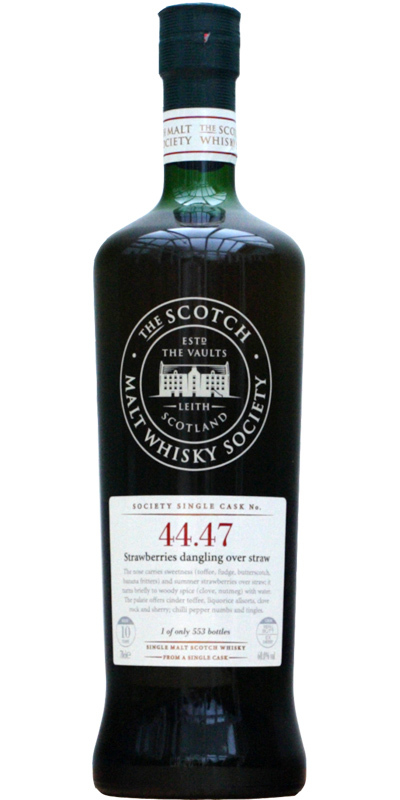 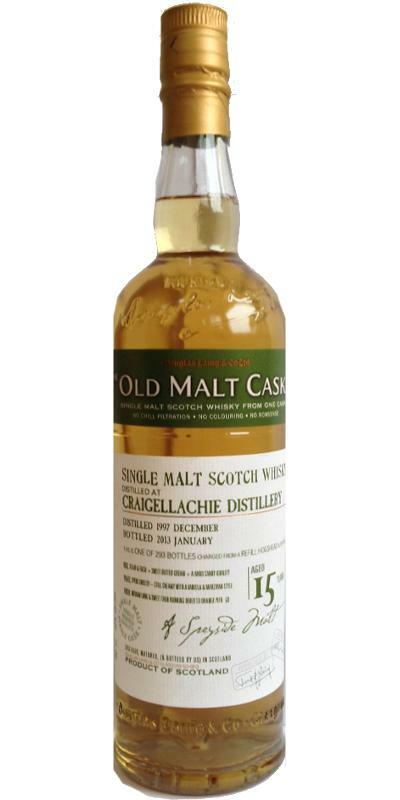 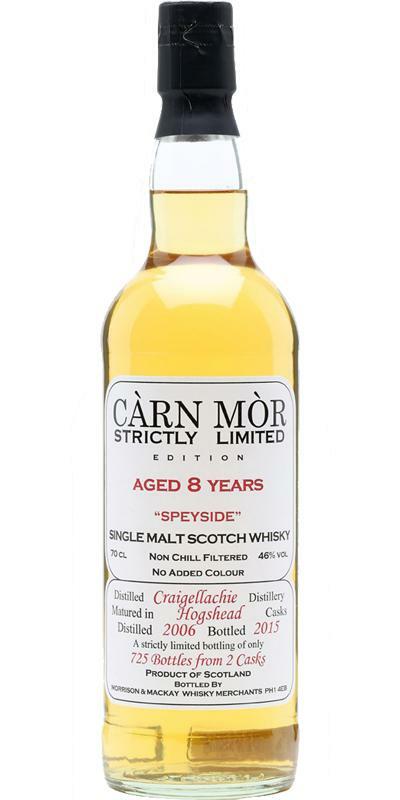 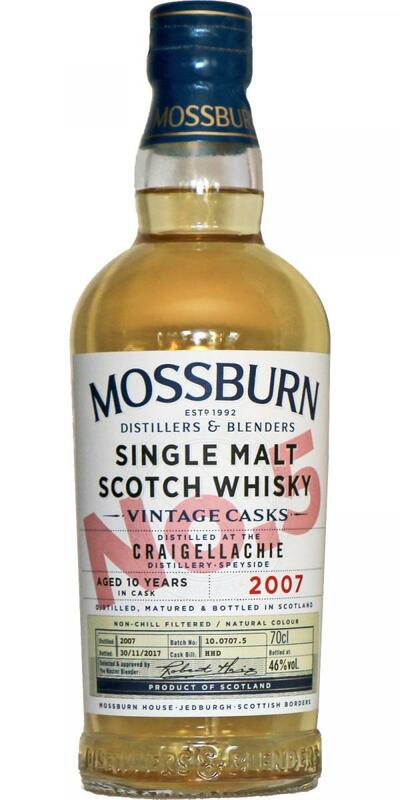 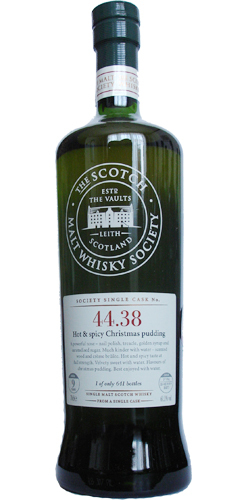 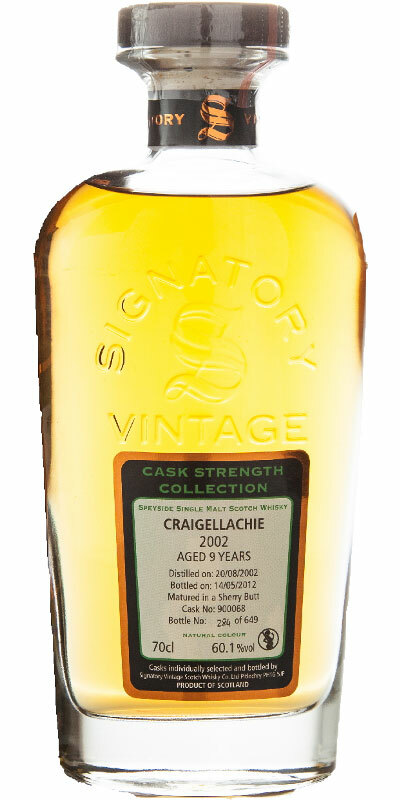 Craigellachie 06-year-old BSW 06 46.0 % Vol. 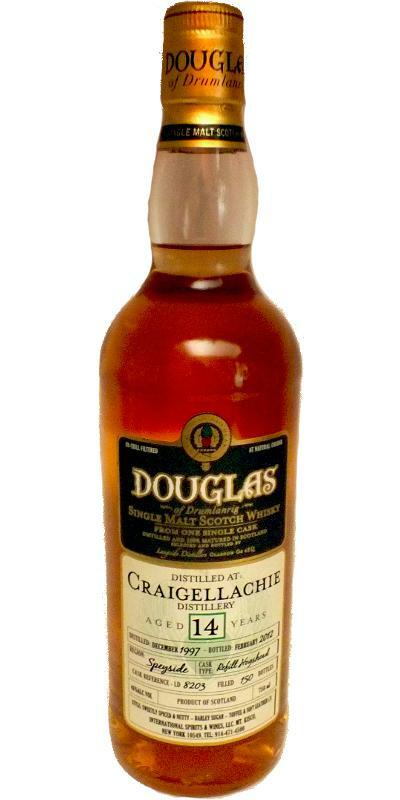 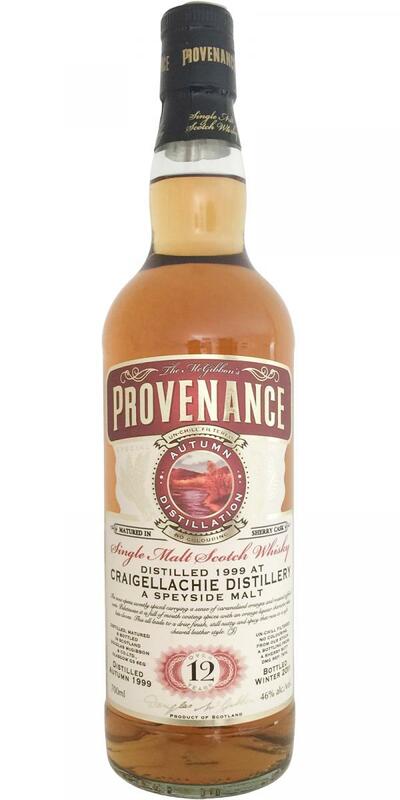 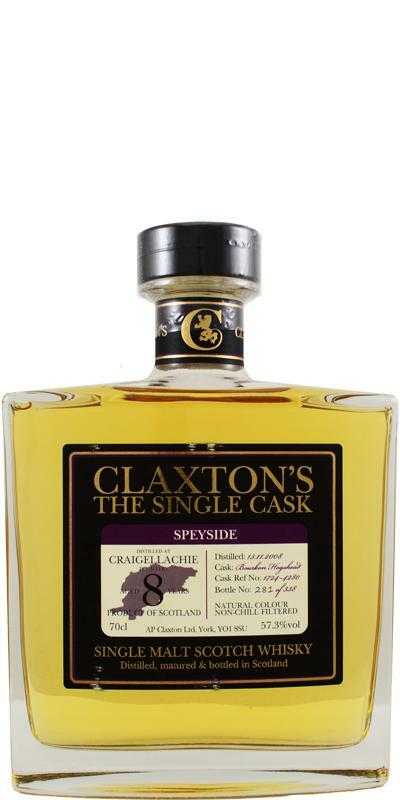 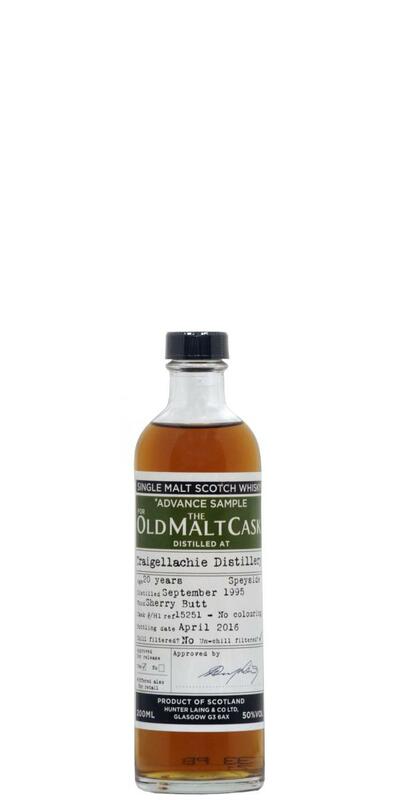 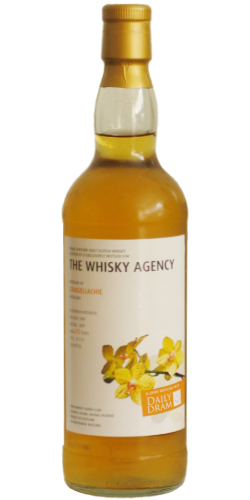 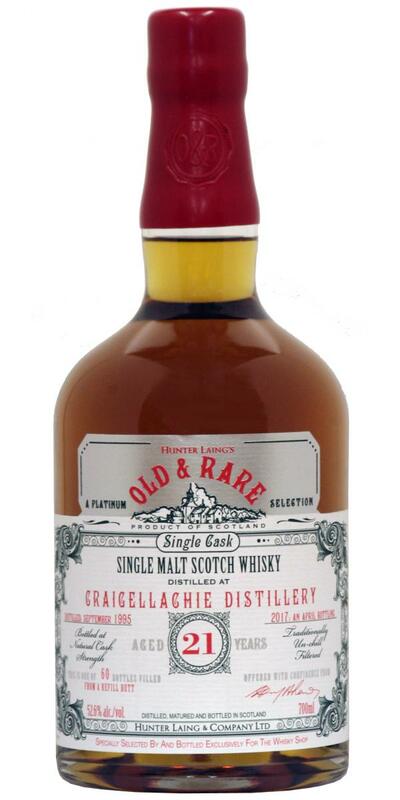 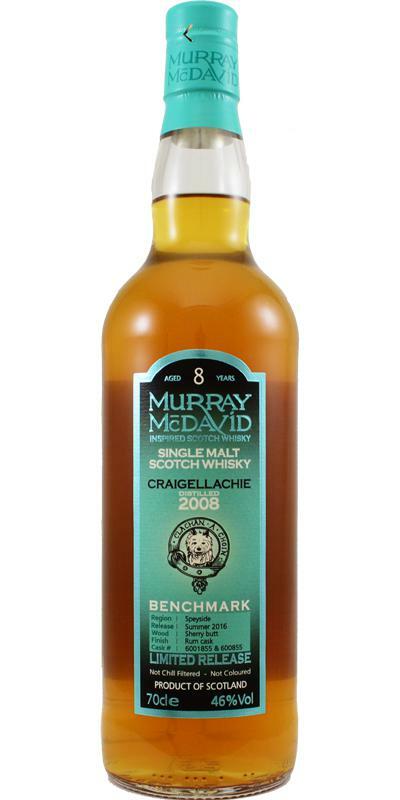 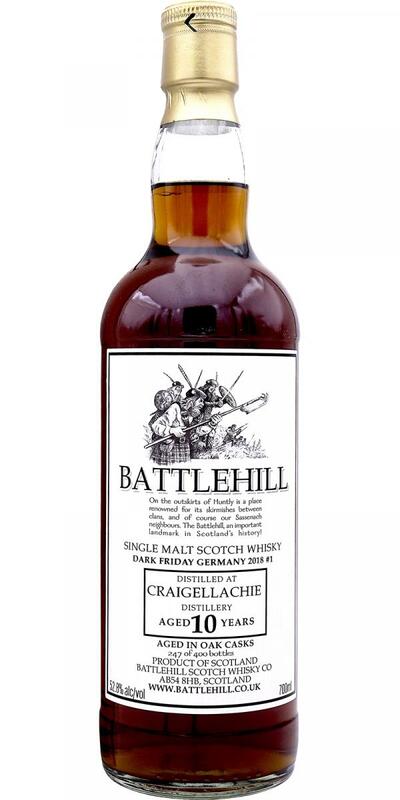 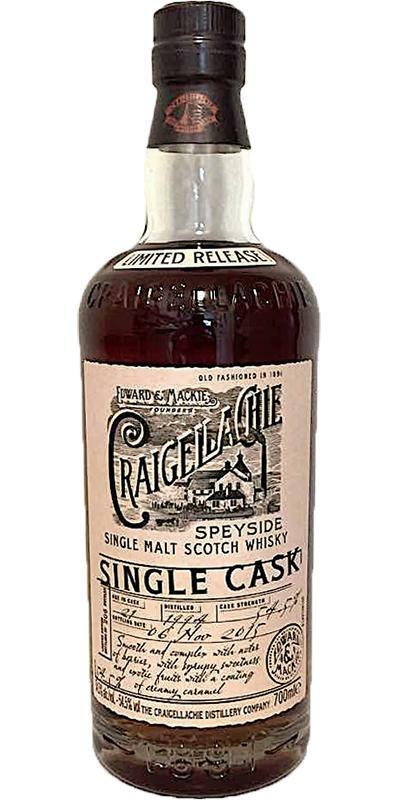 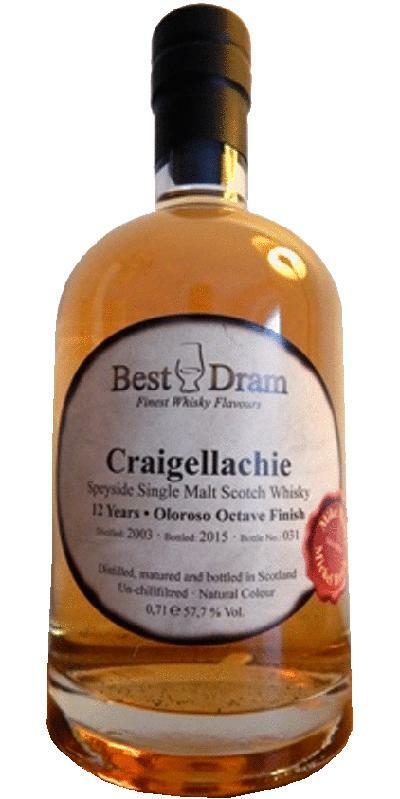 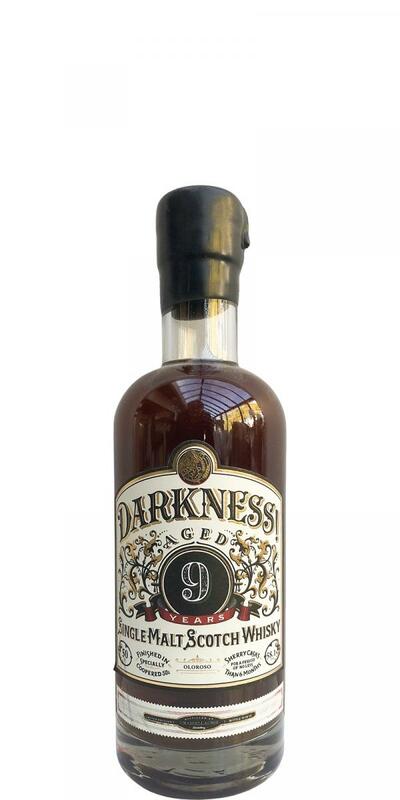 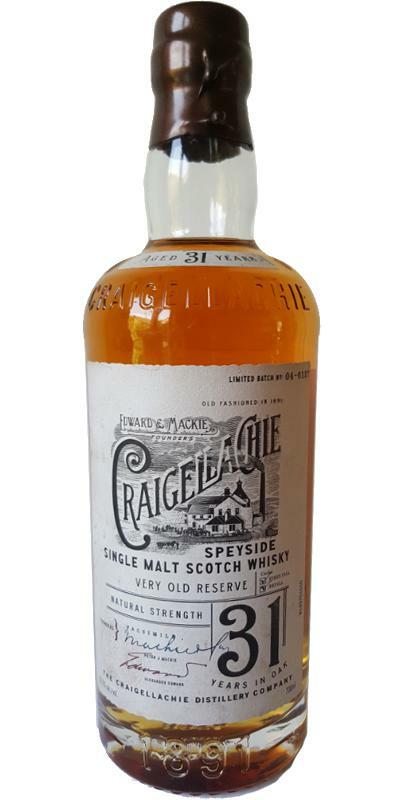 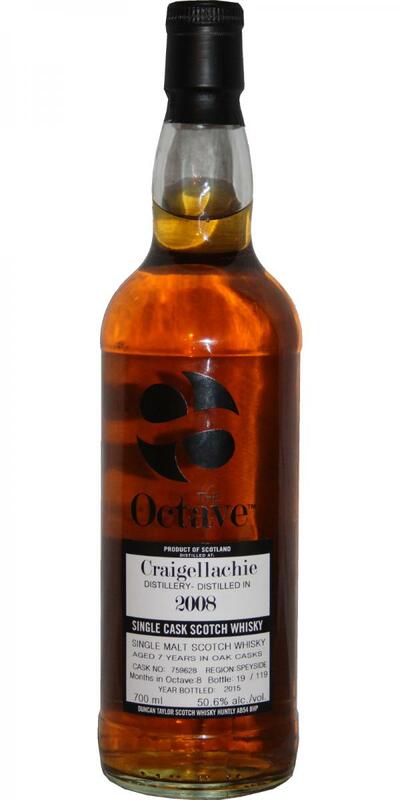 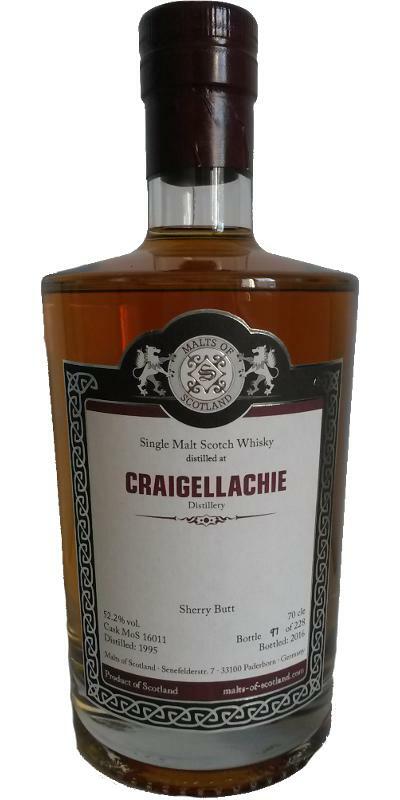 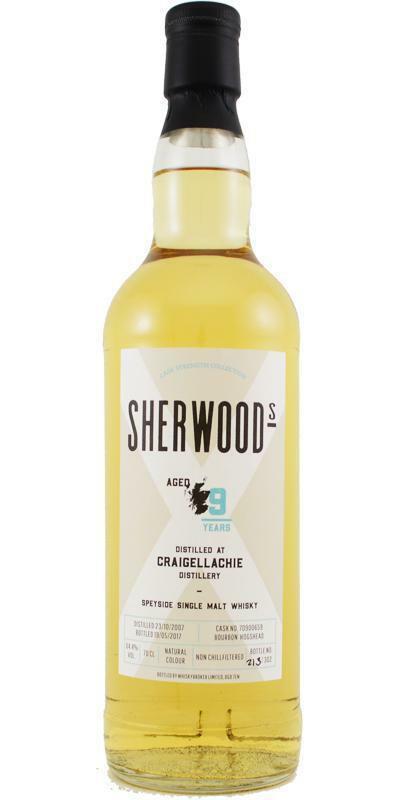 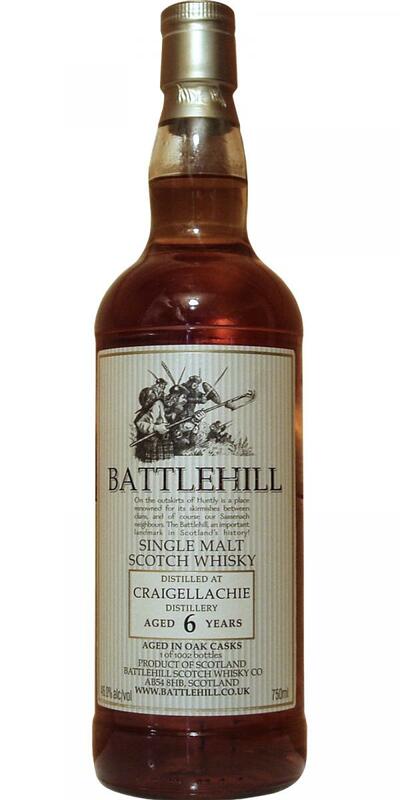 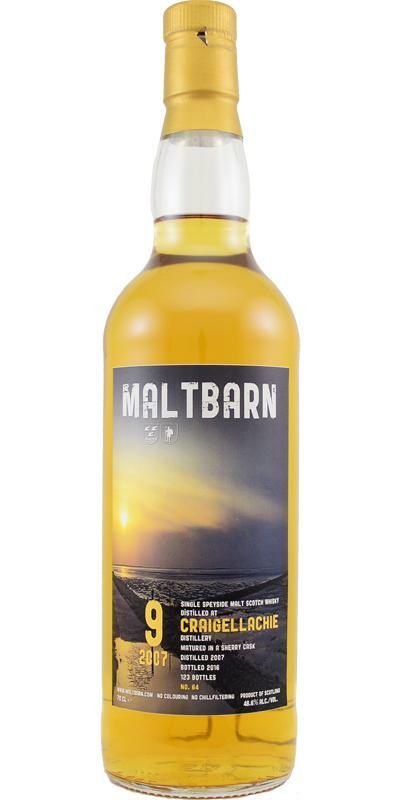 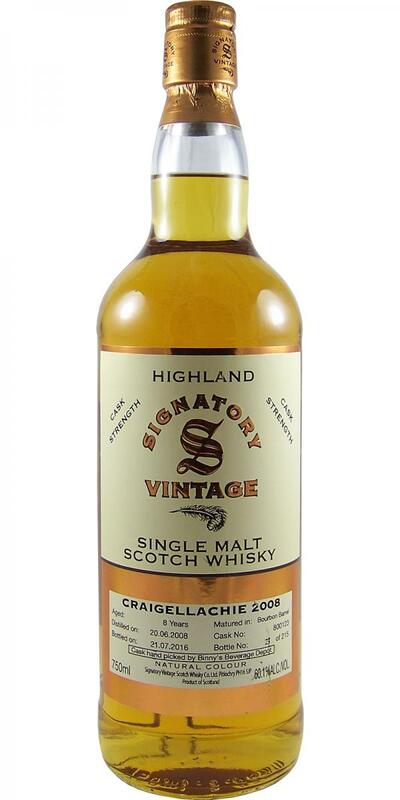 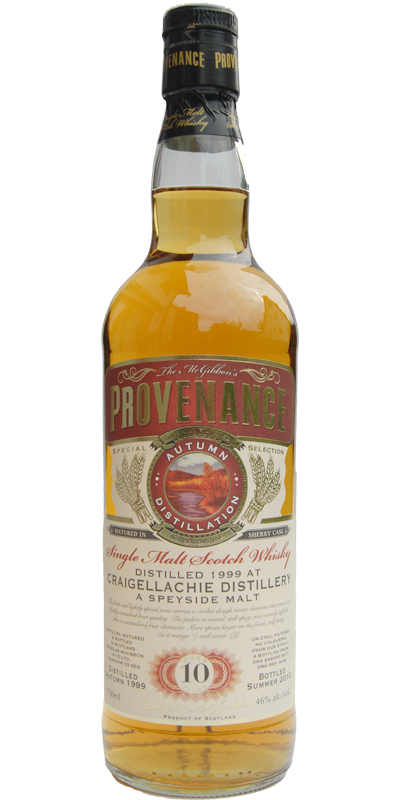 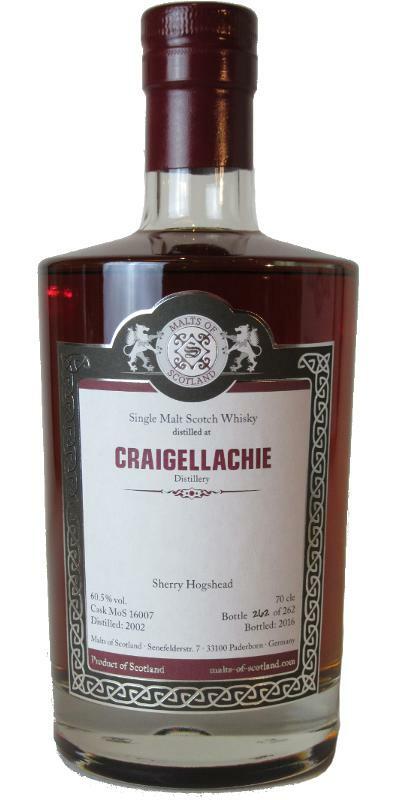 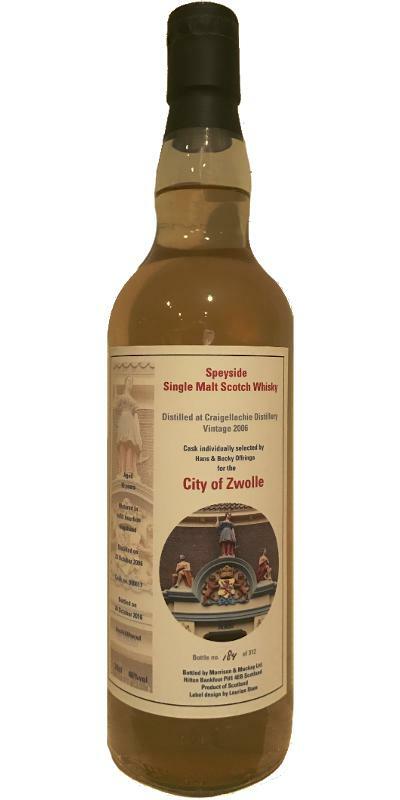 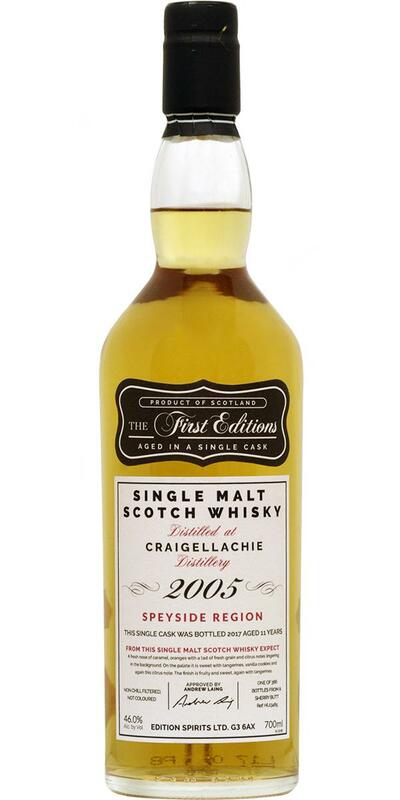 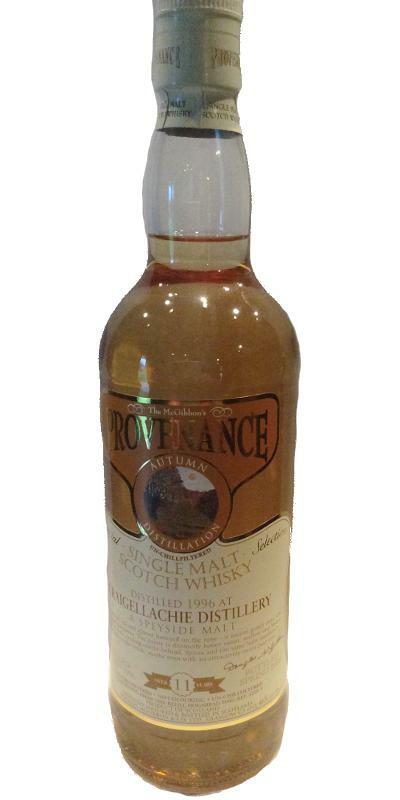 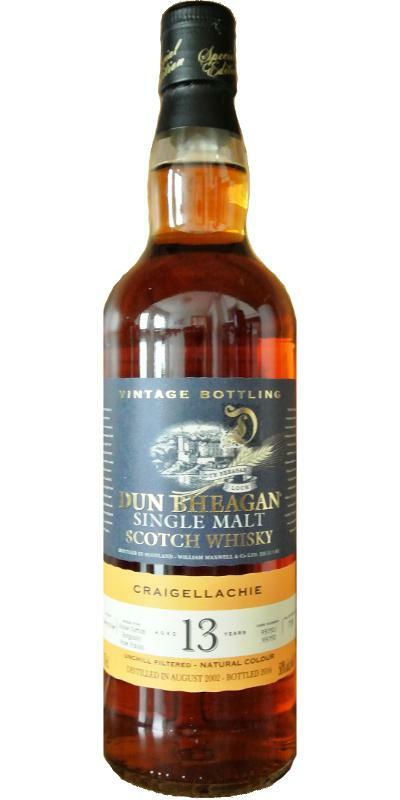 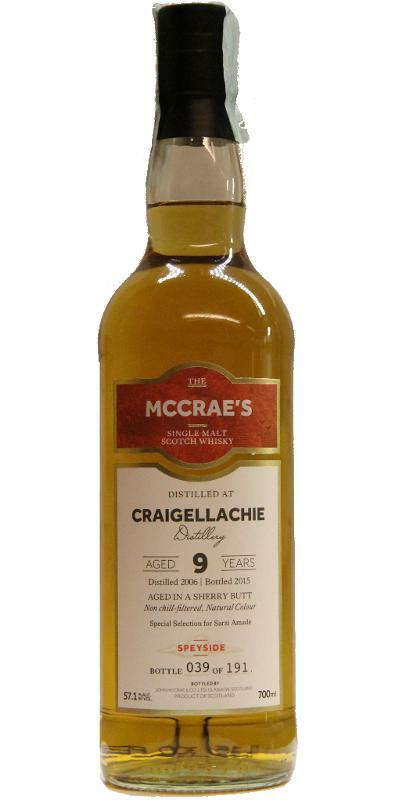 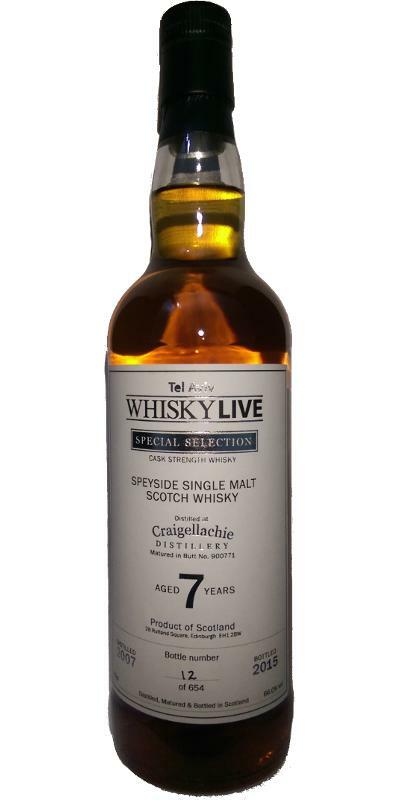 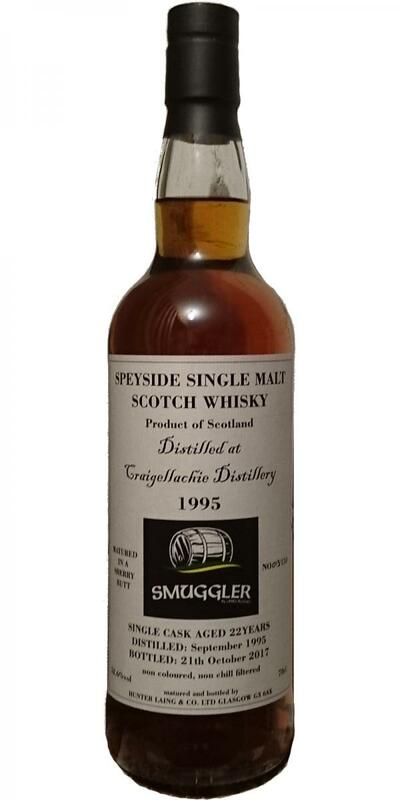 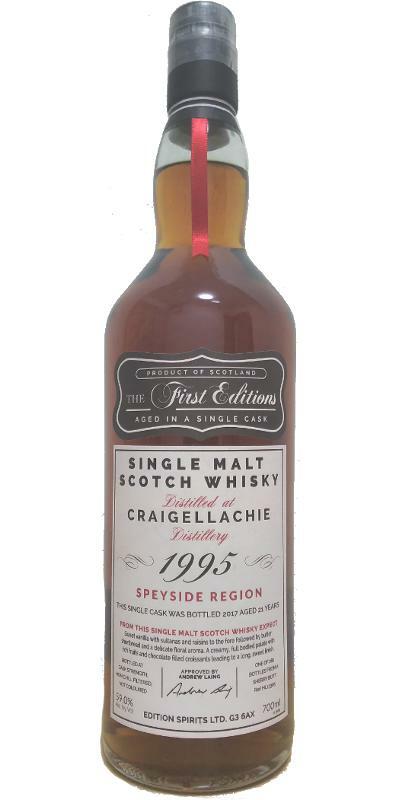 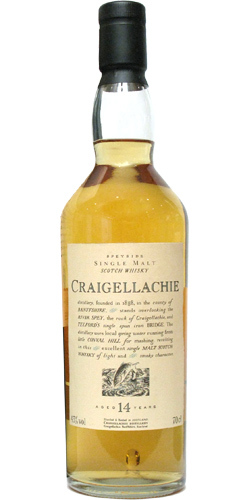 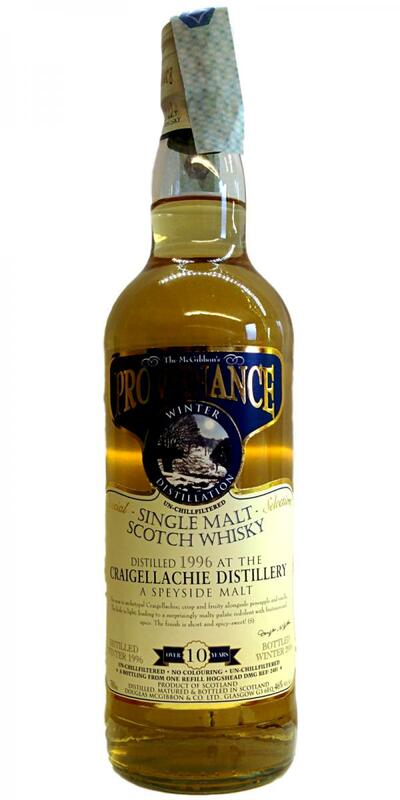 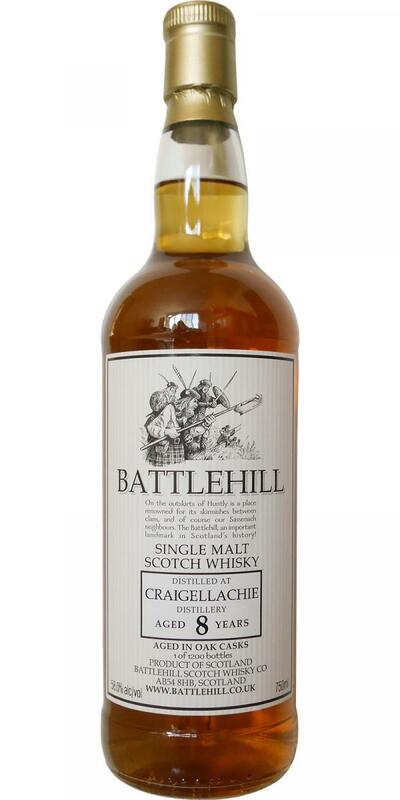 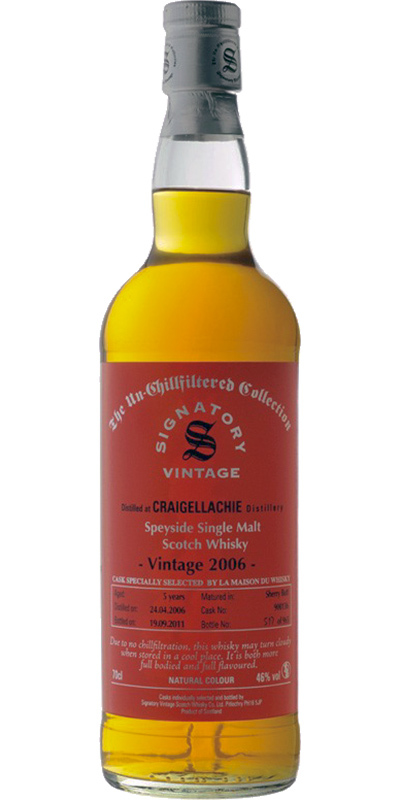 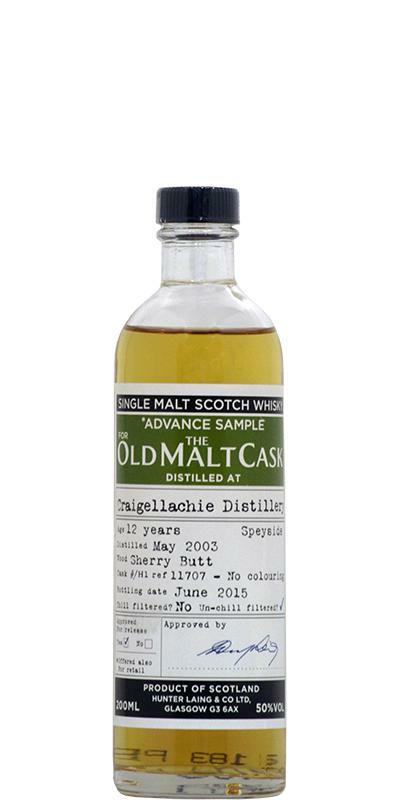 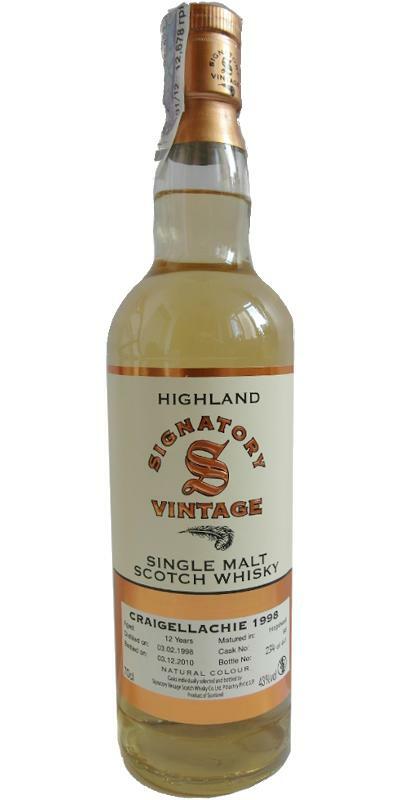 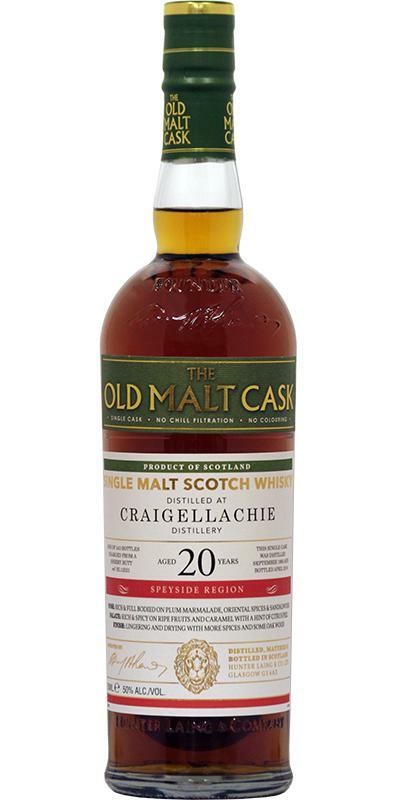 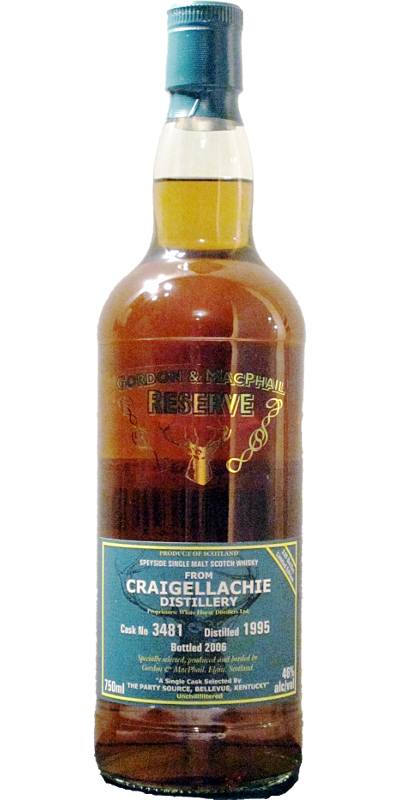 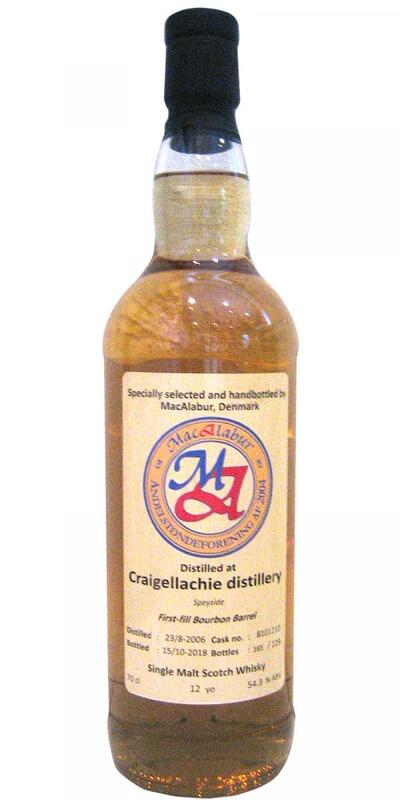 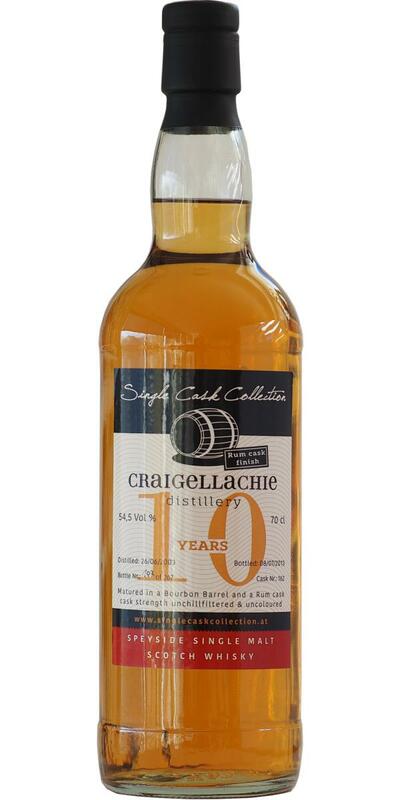 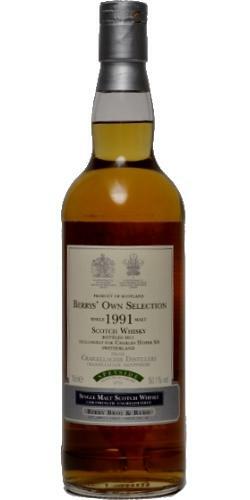 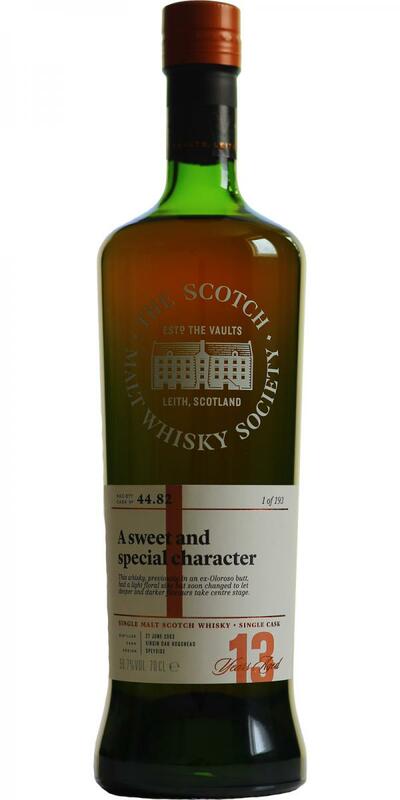 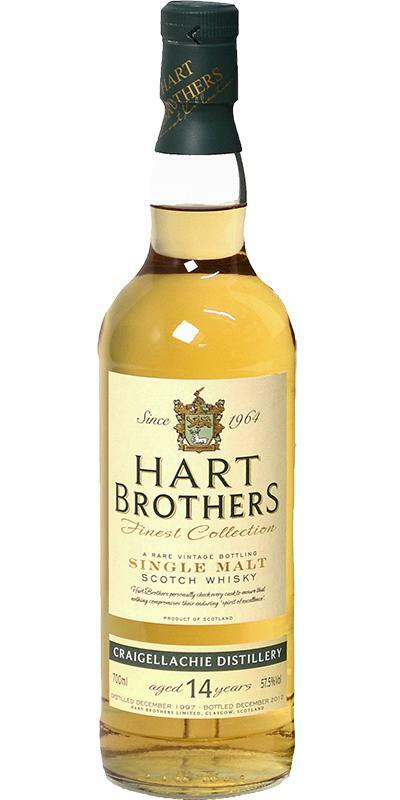 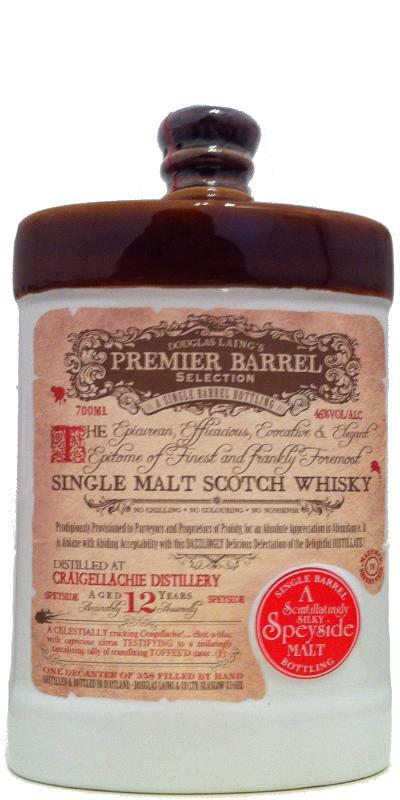 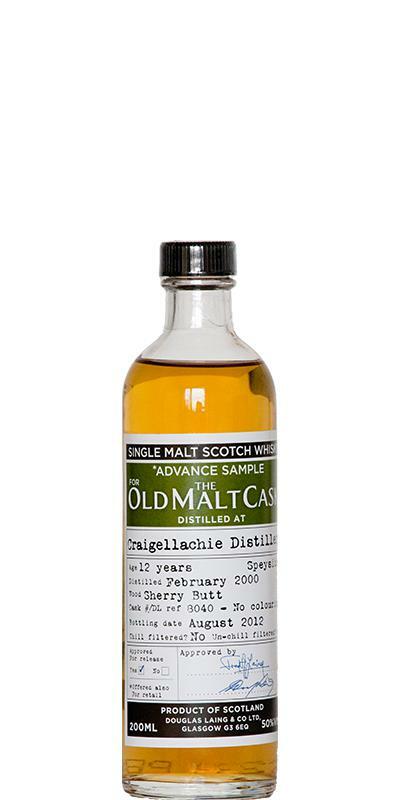 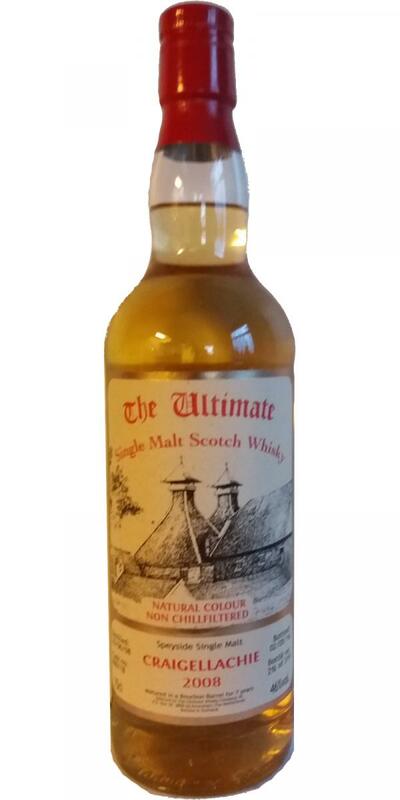 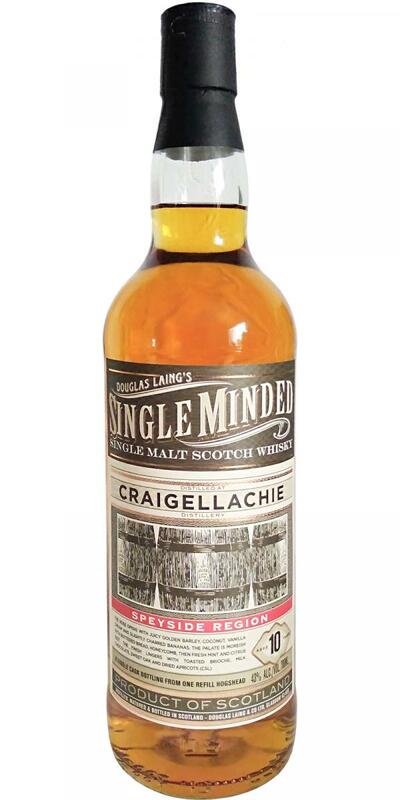 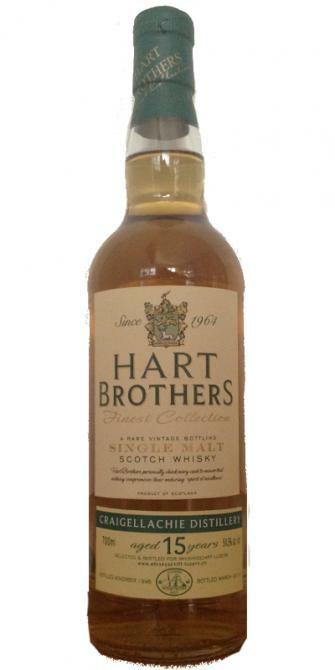 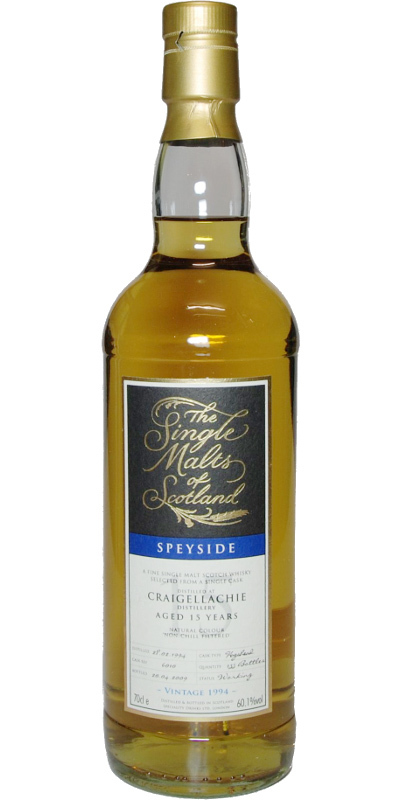 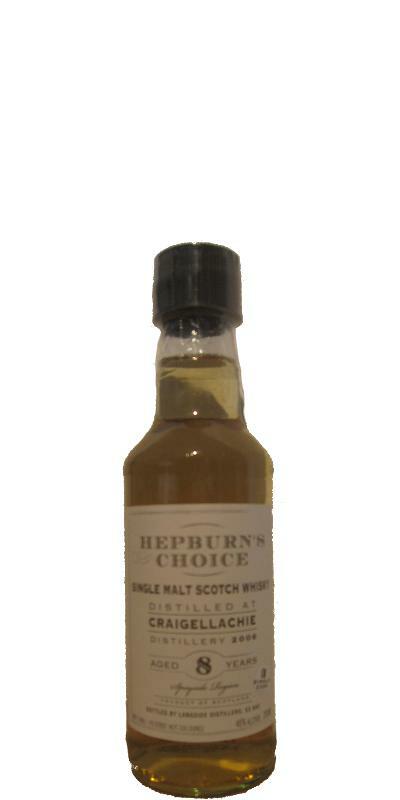 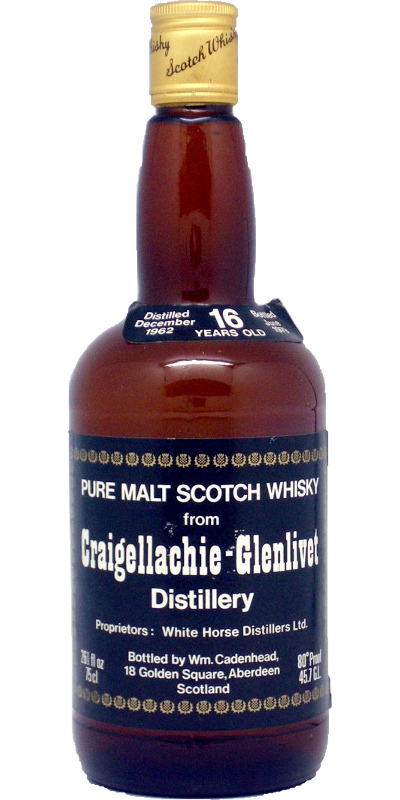 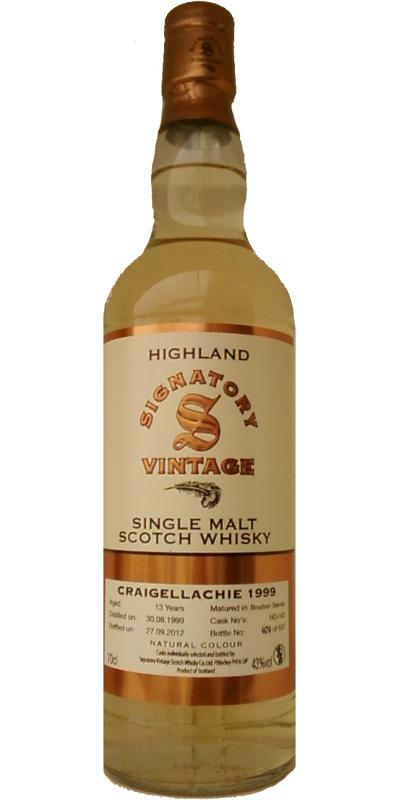 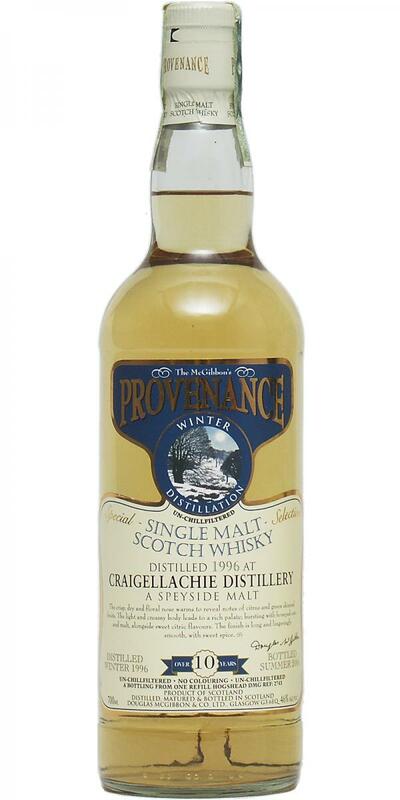 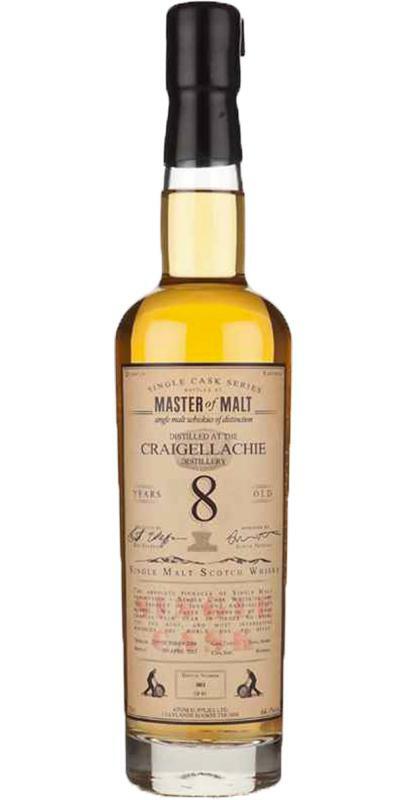 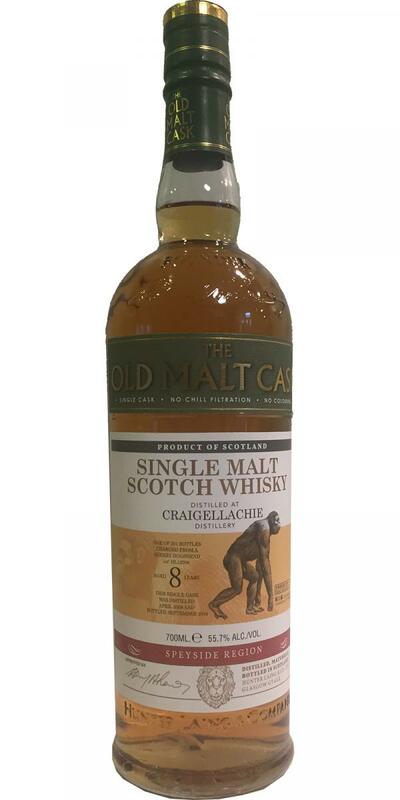 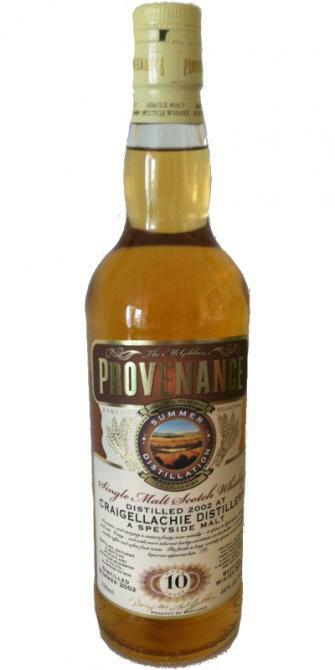 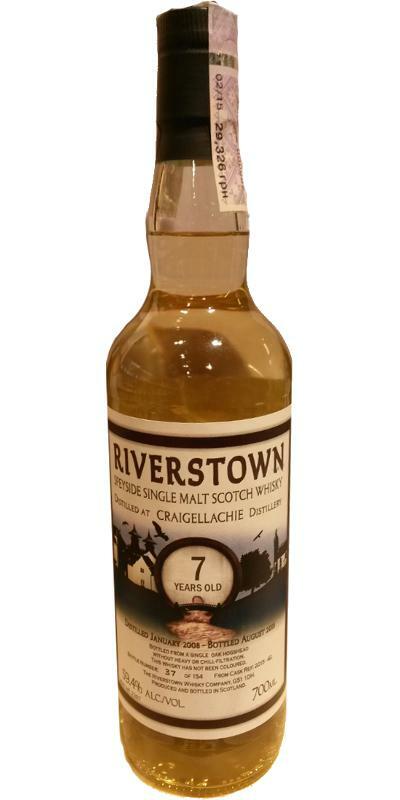 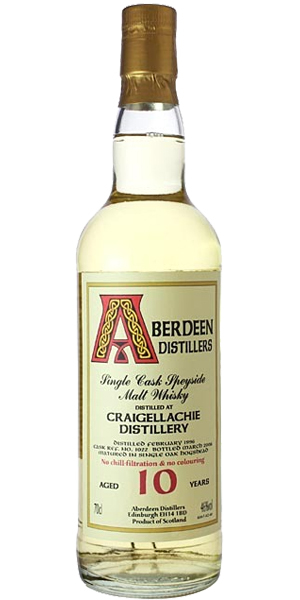 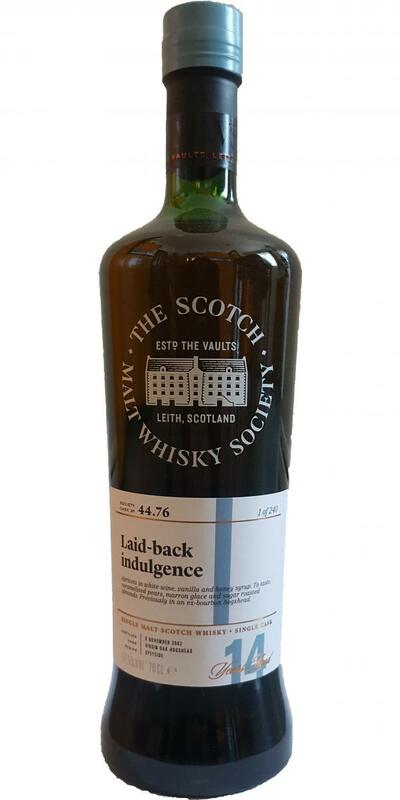 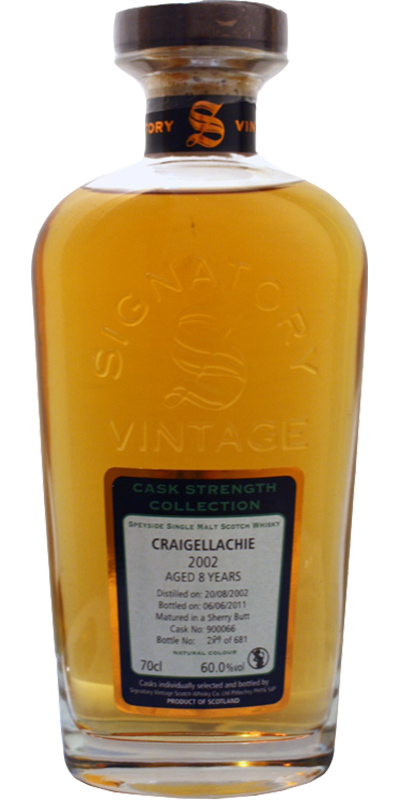 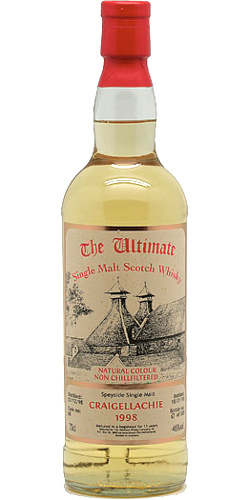 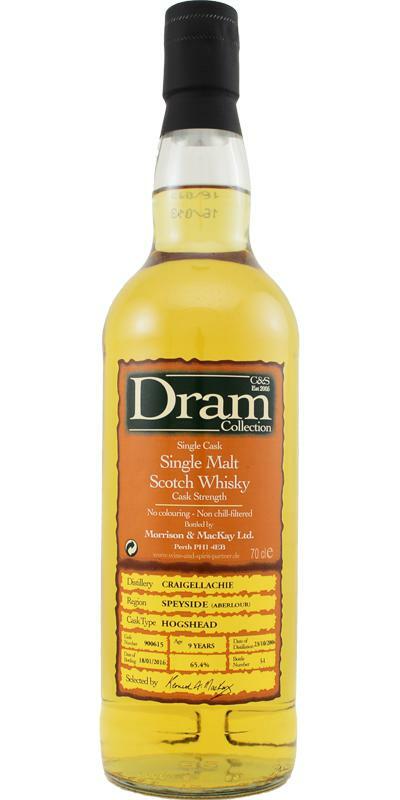 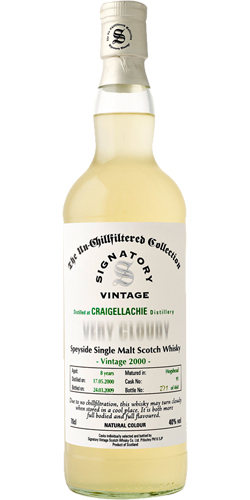 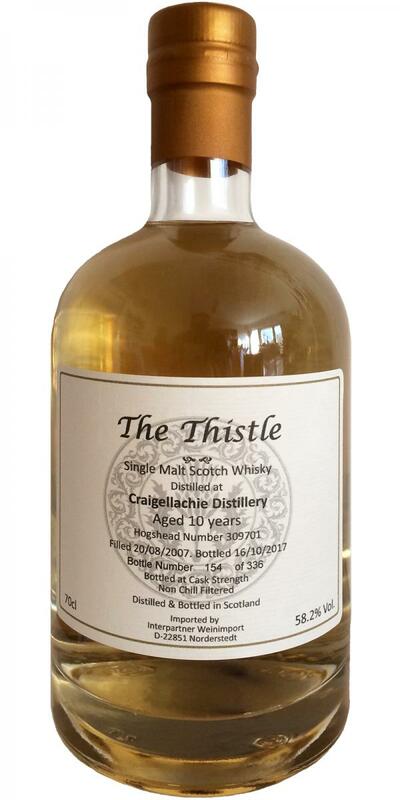 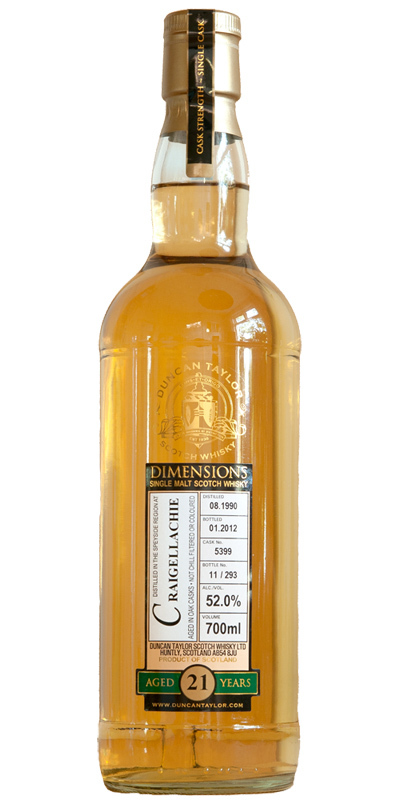 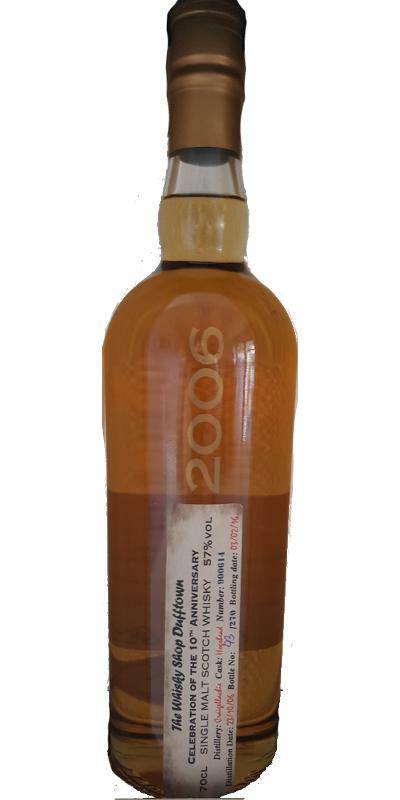 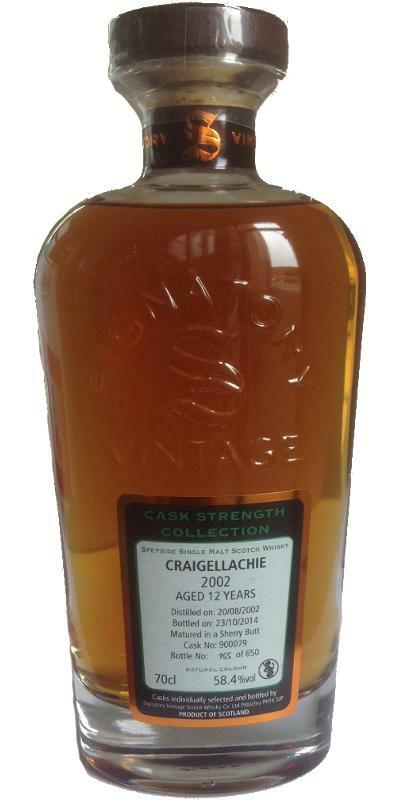 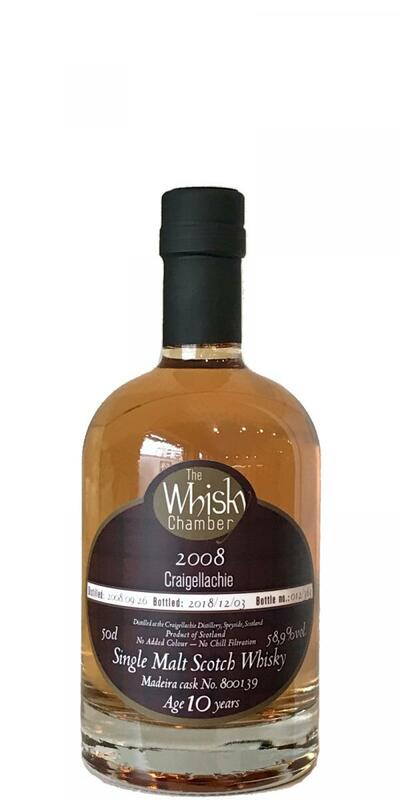 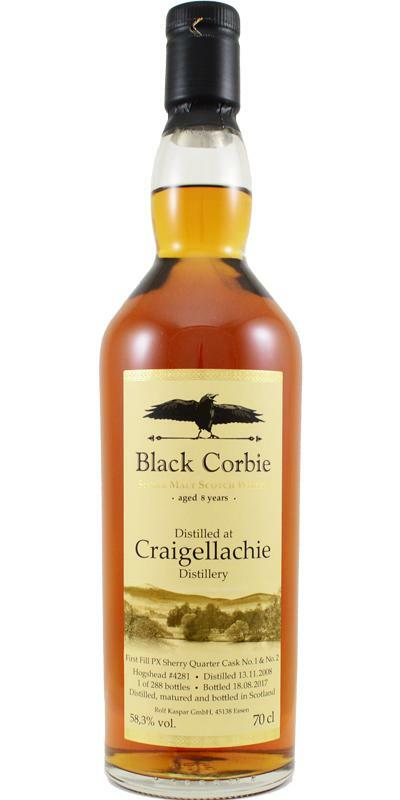 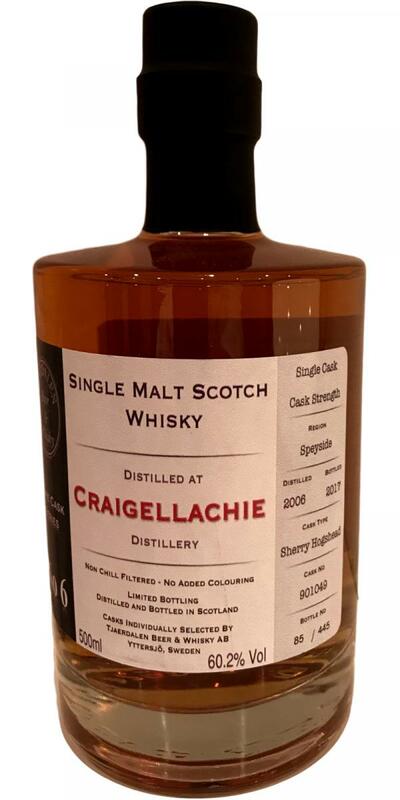 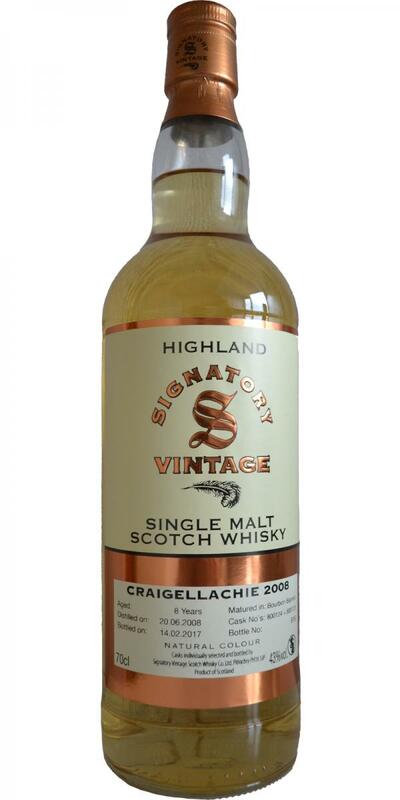 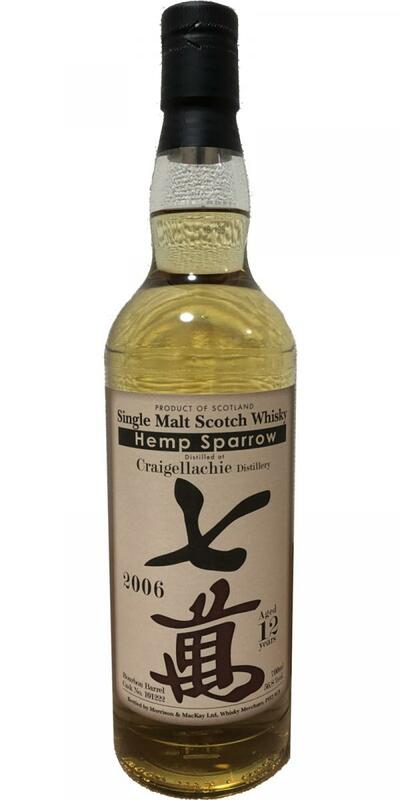 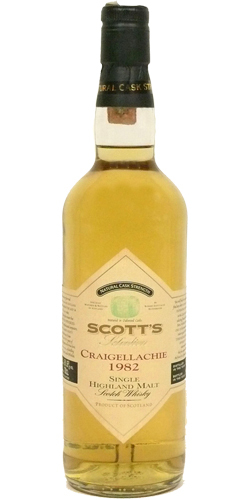 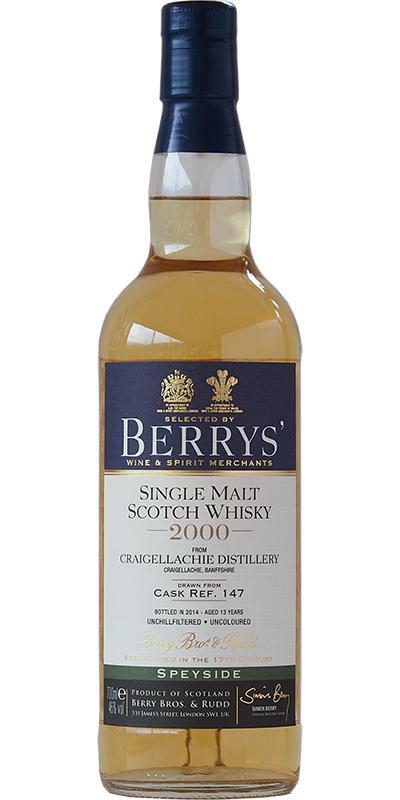 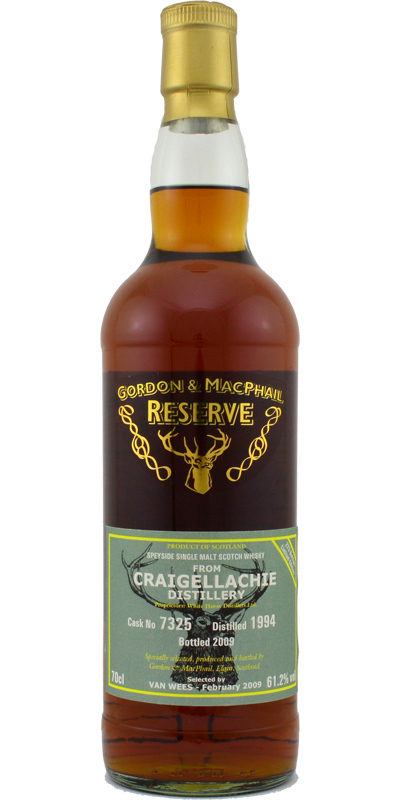 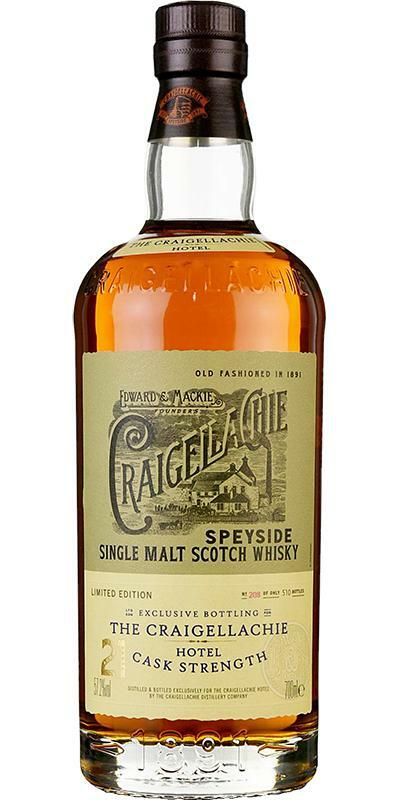 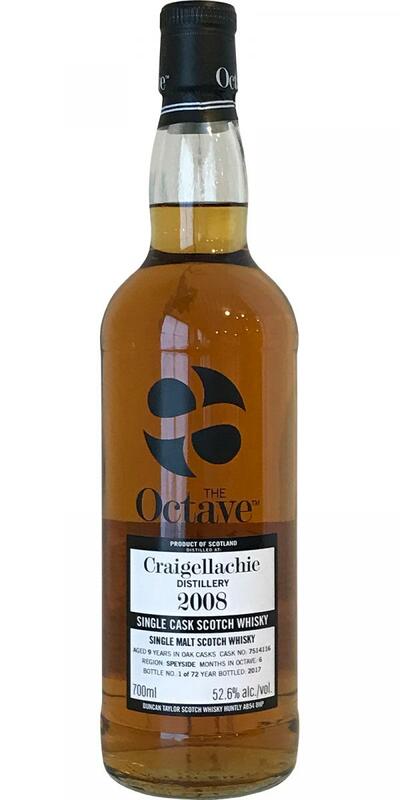 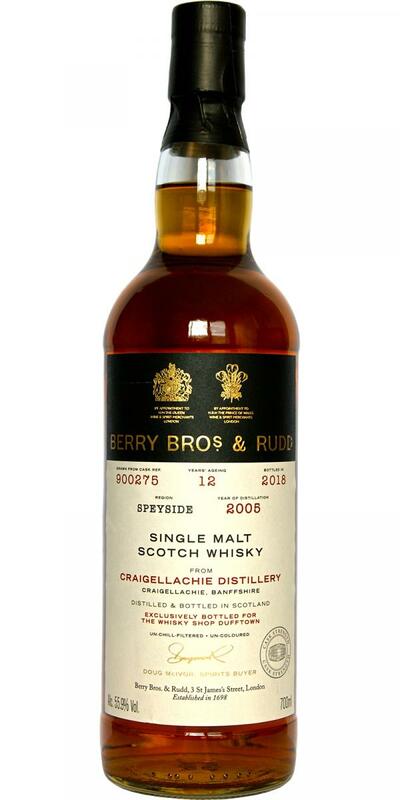 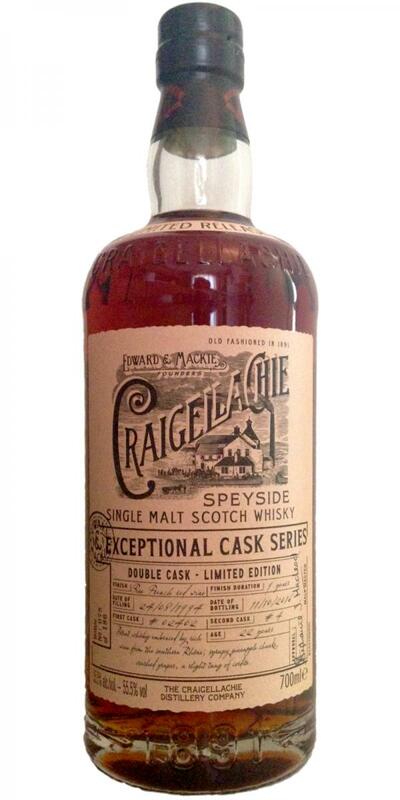 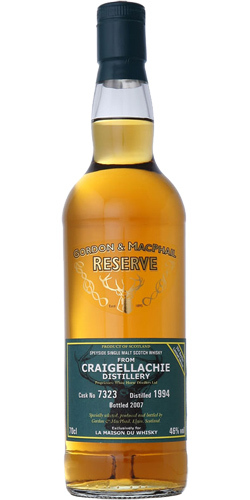 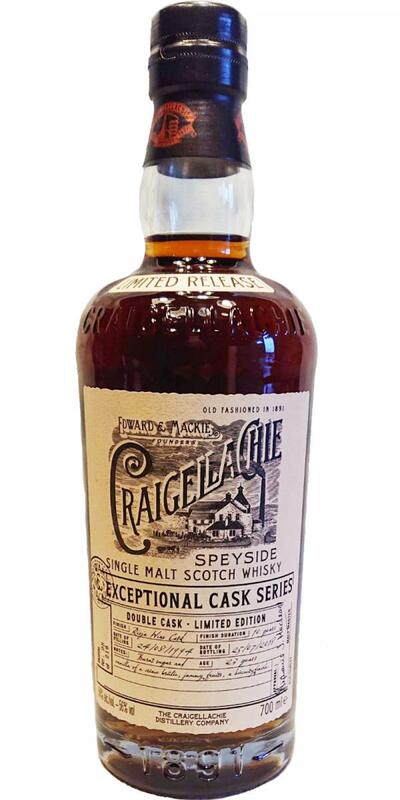 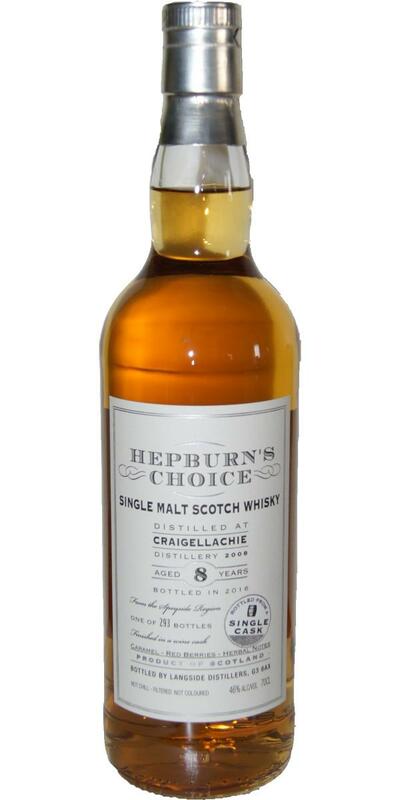 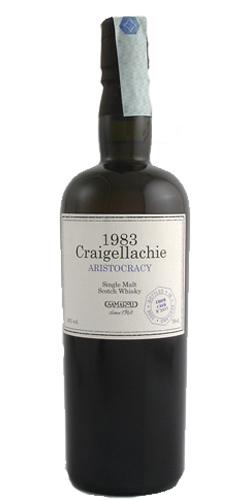 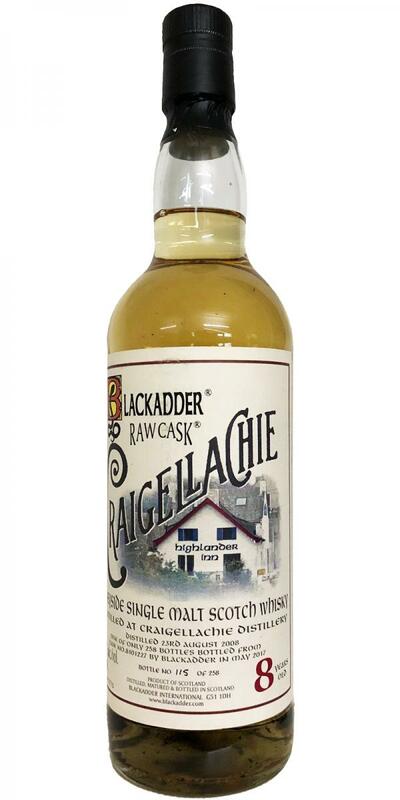 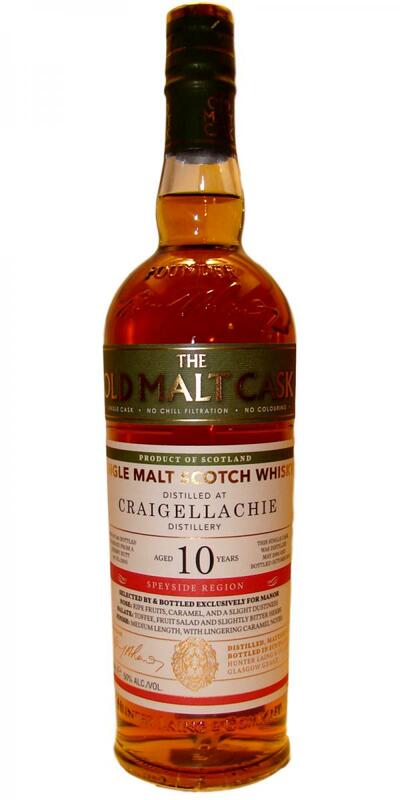 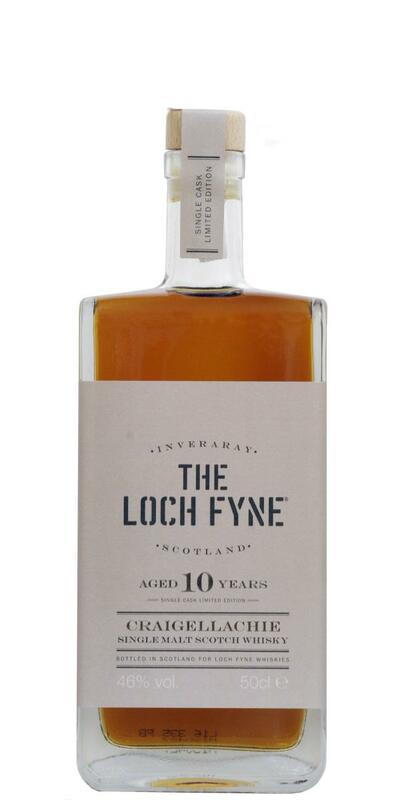 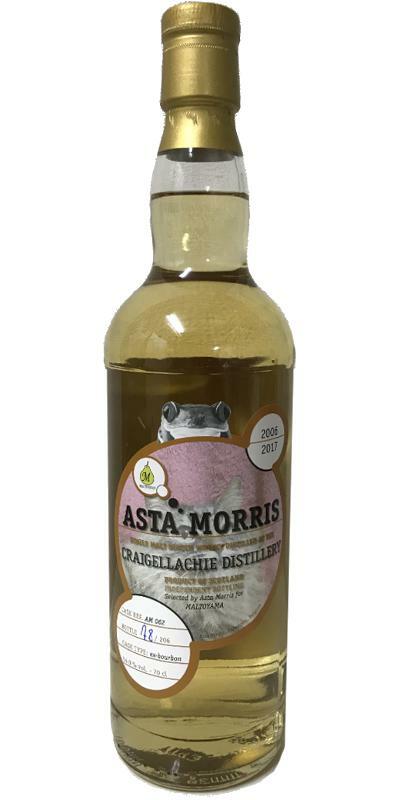 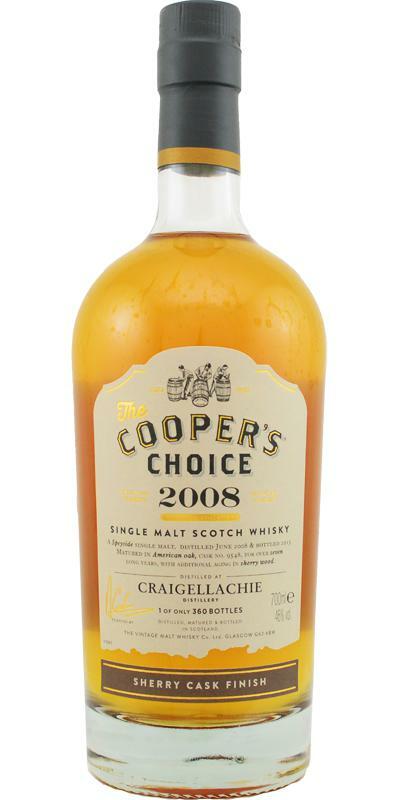 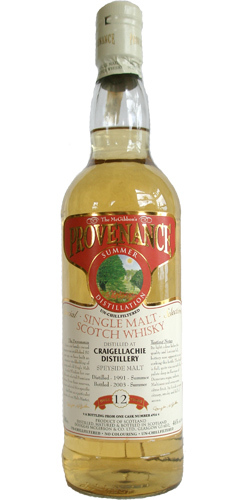 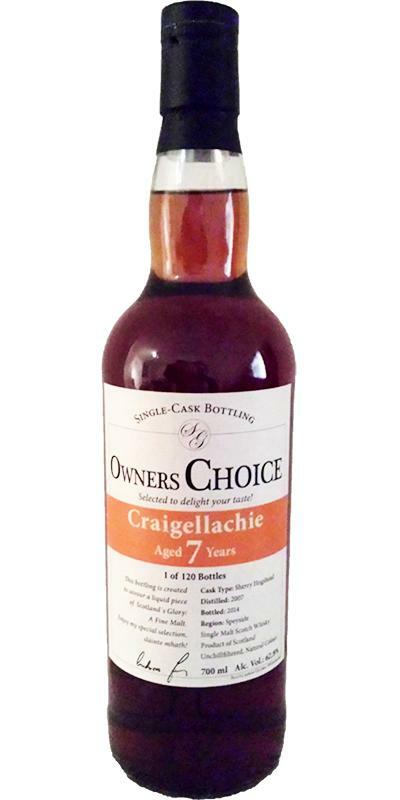 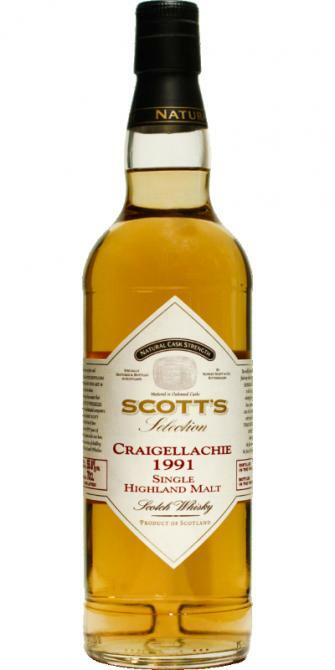 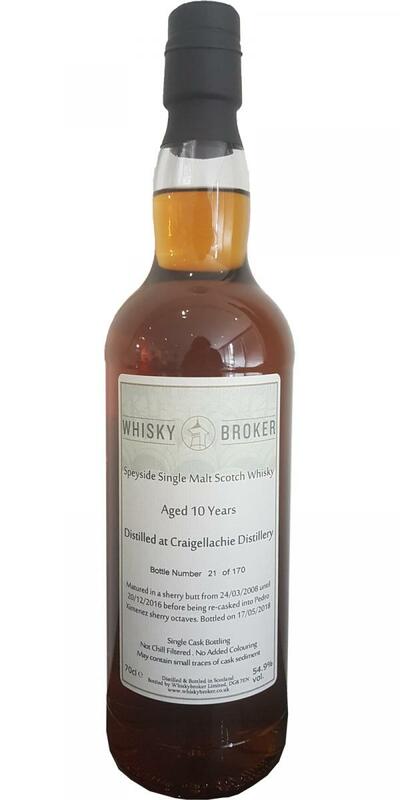 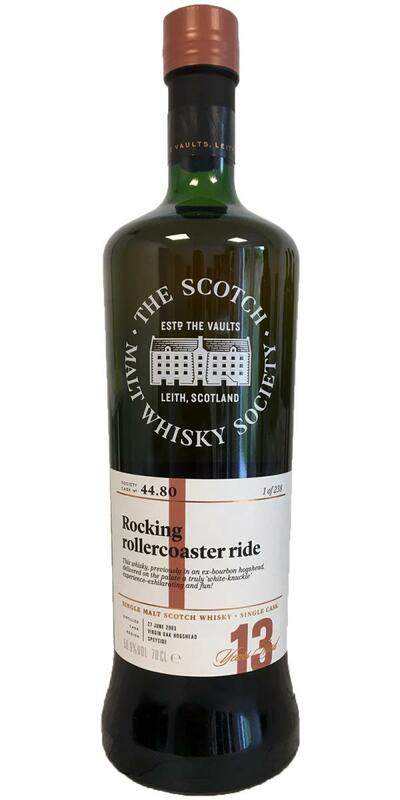 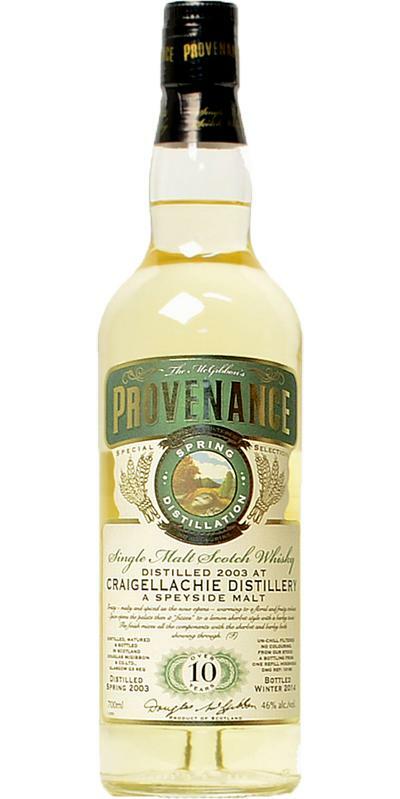 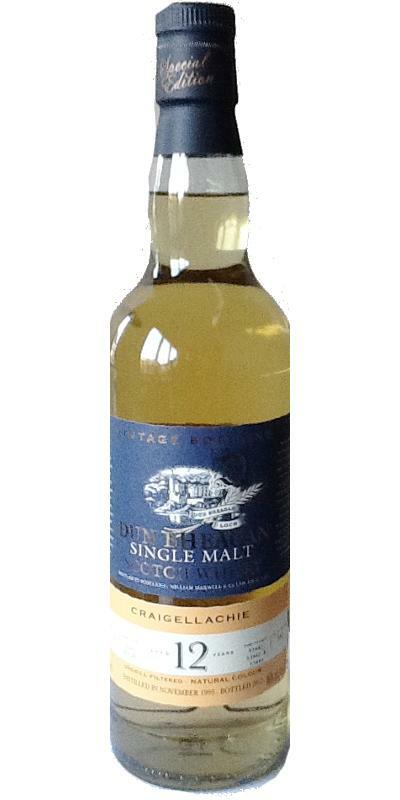 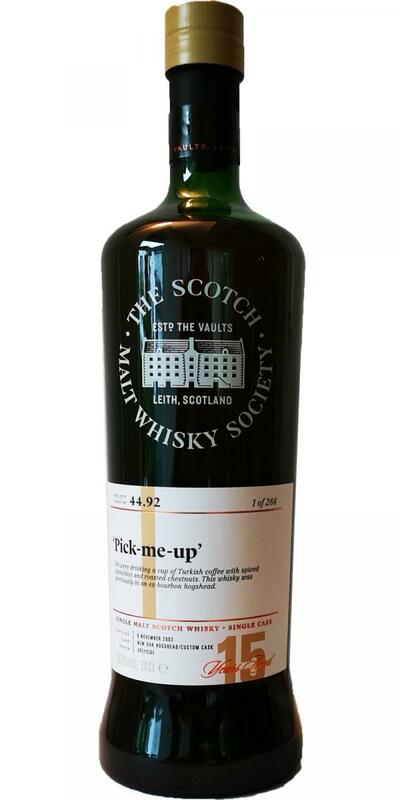 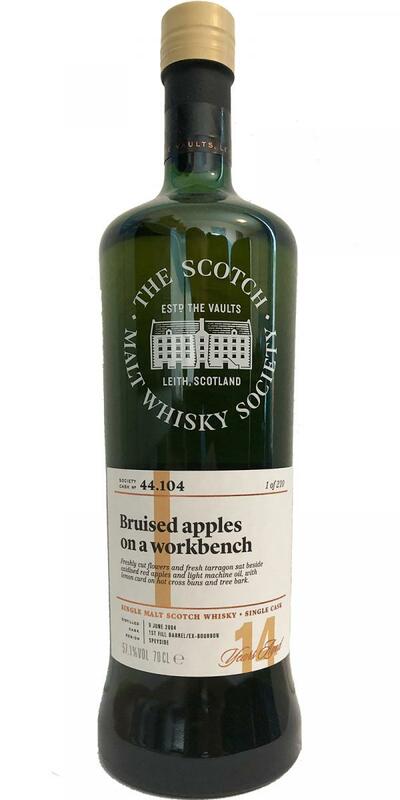 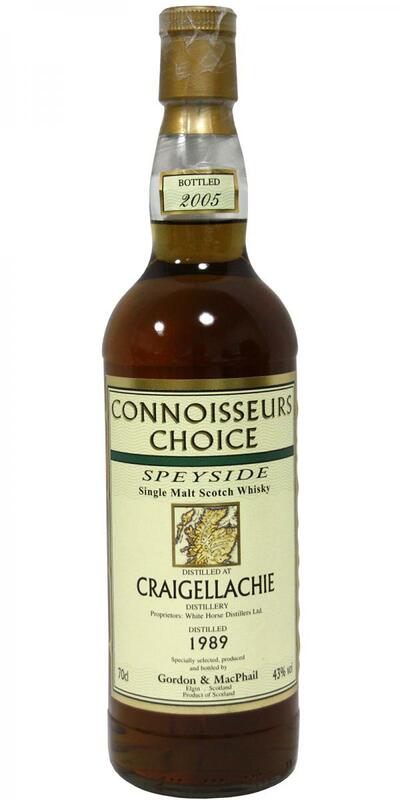 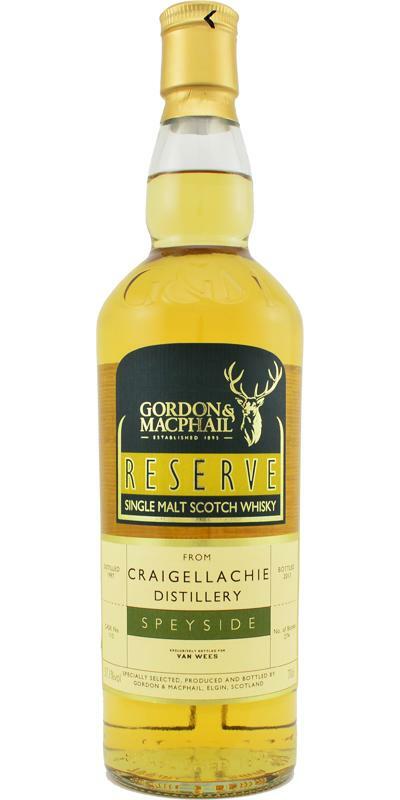 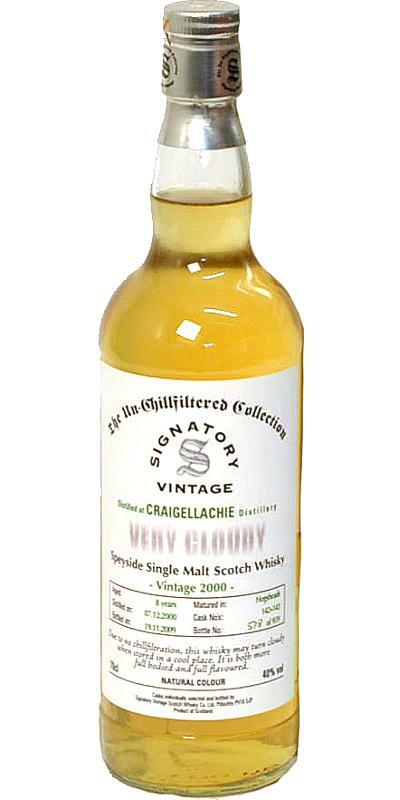 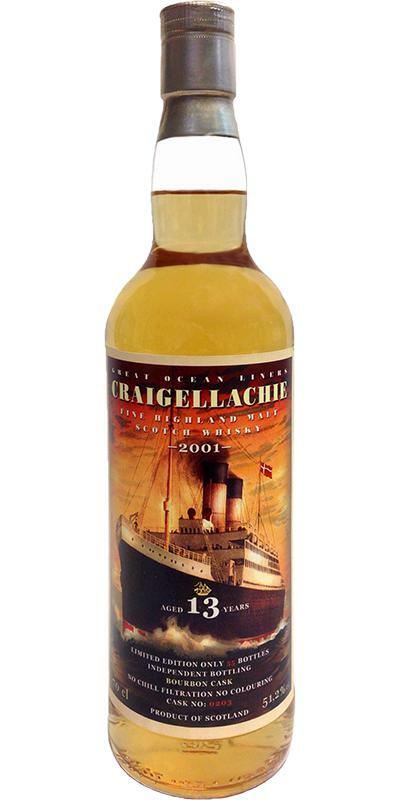 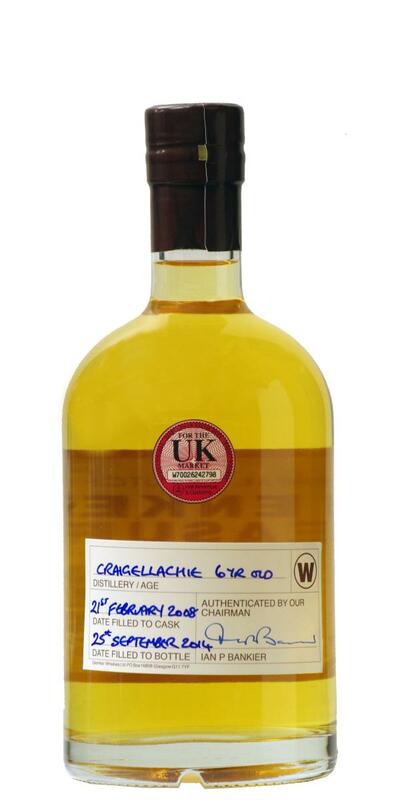 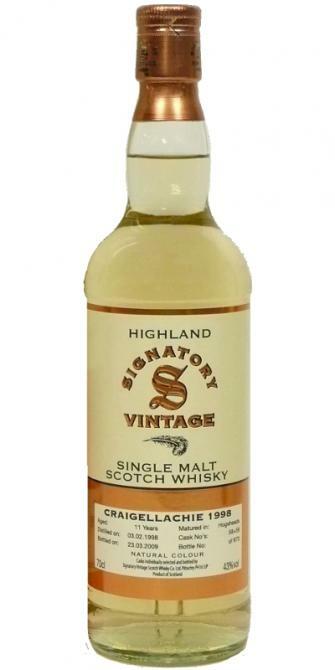 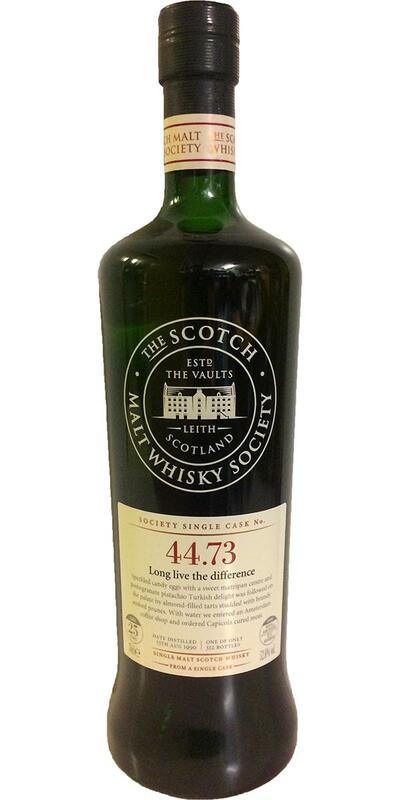 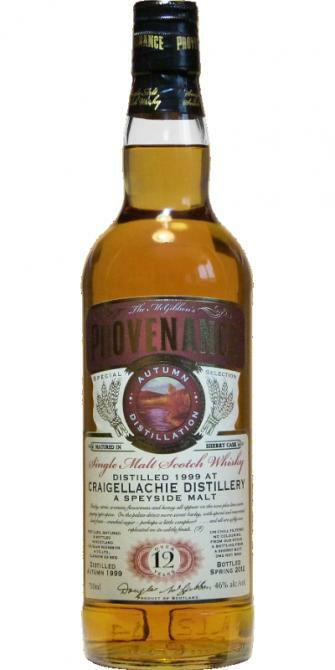 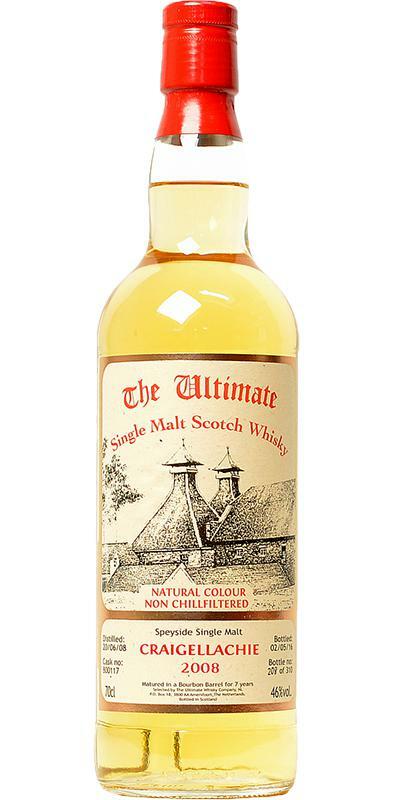 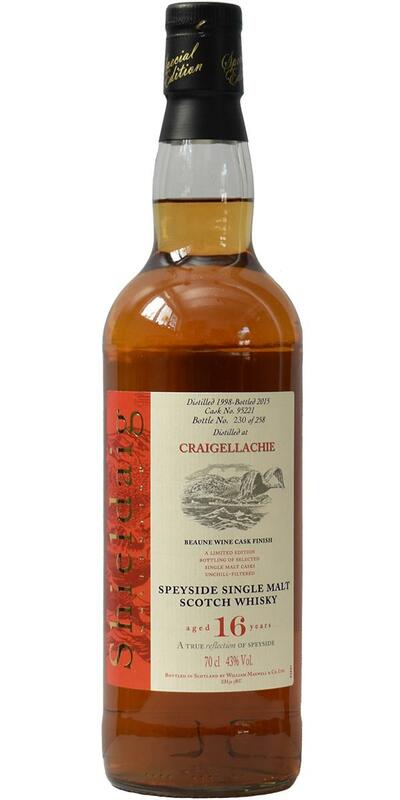 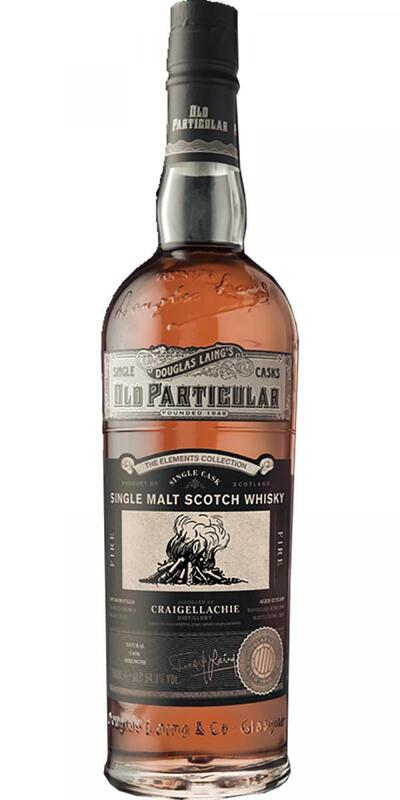 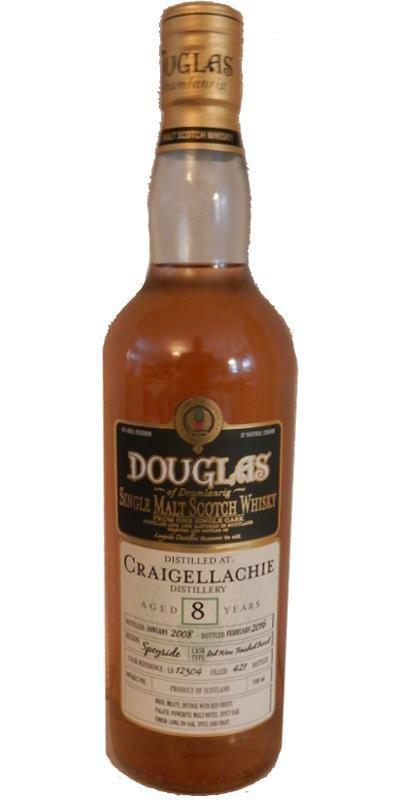 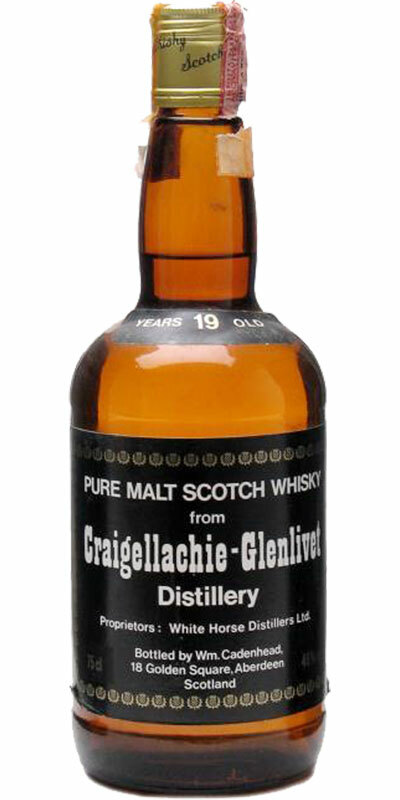 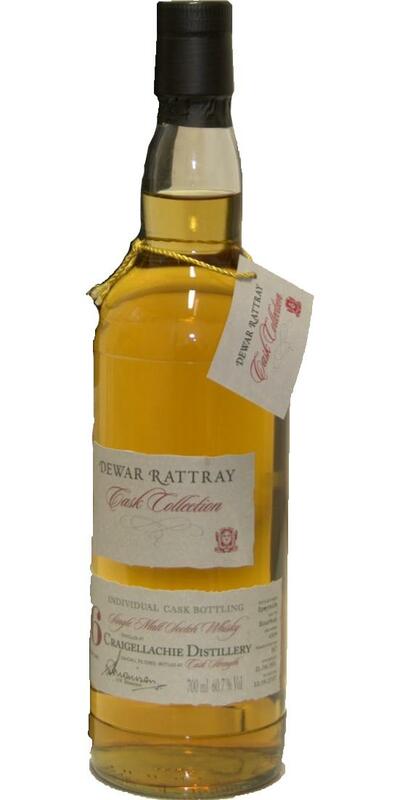 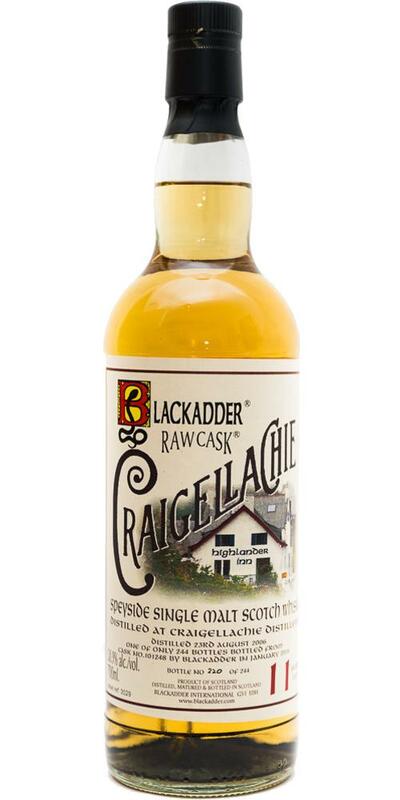 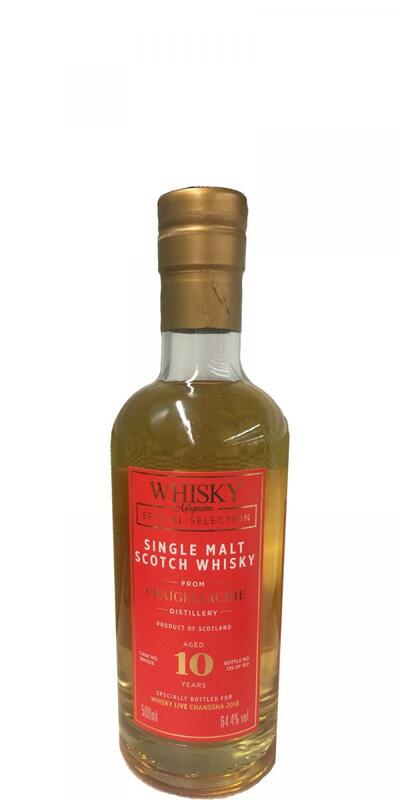 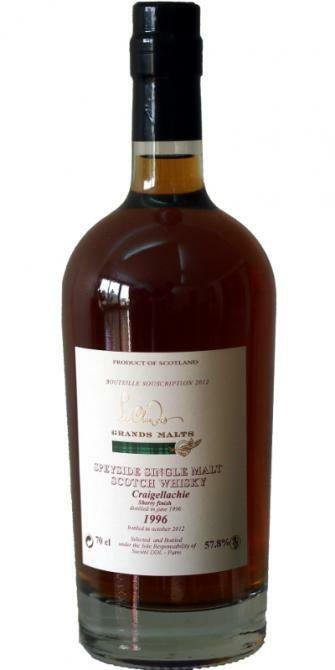 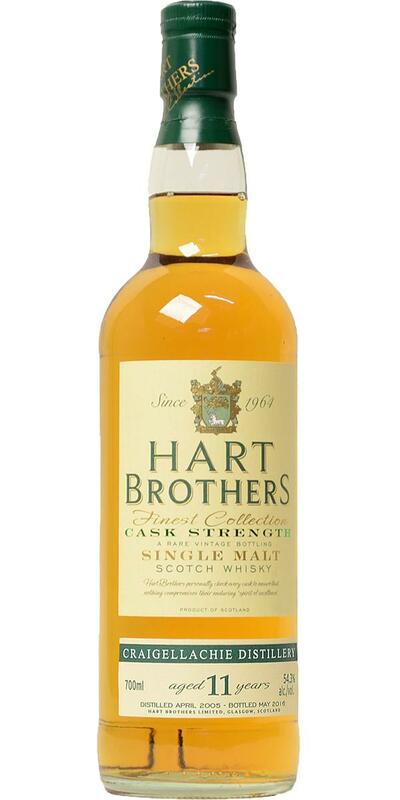 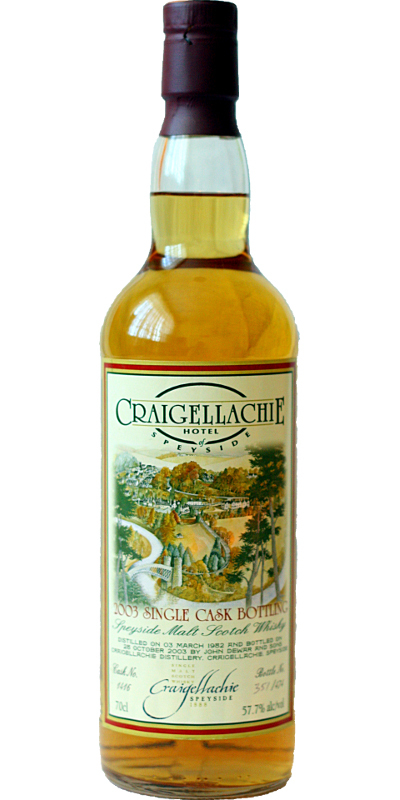 Craigellachie 2008 BSW 08 52.6 % Vol. 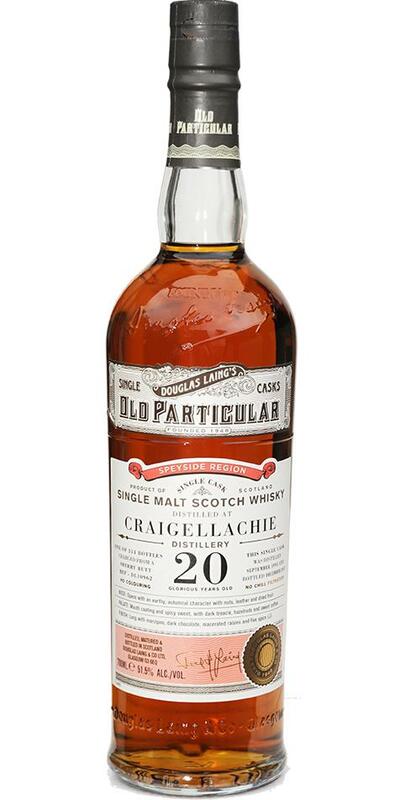 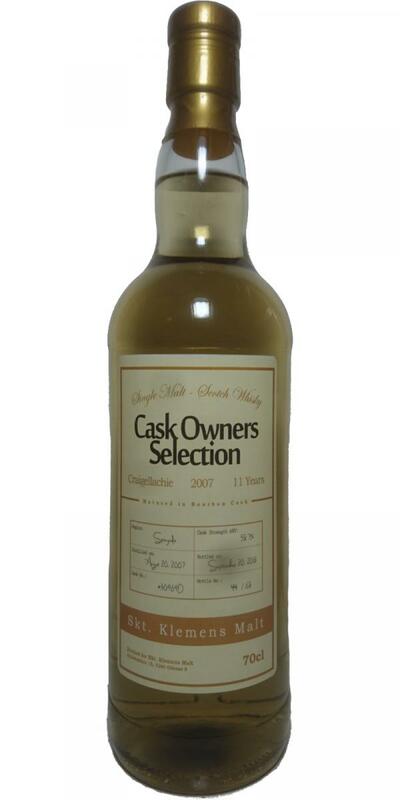 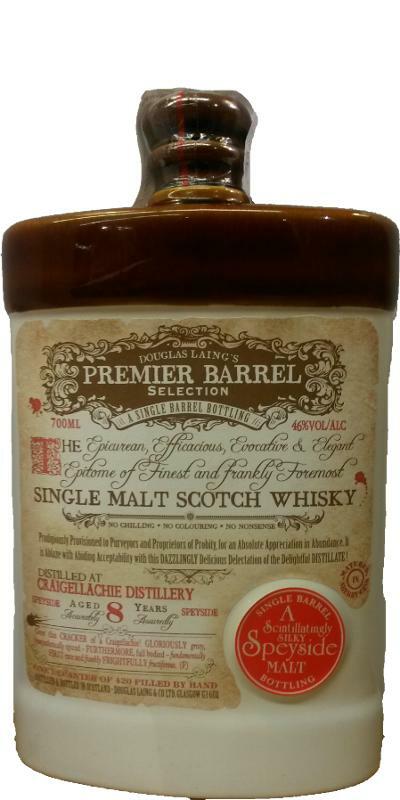 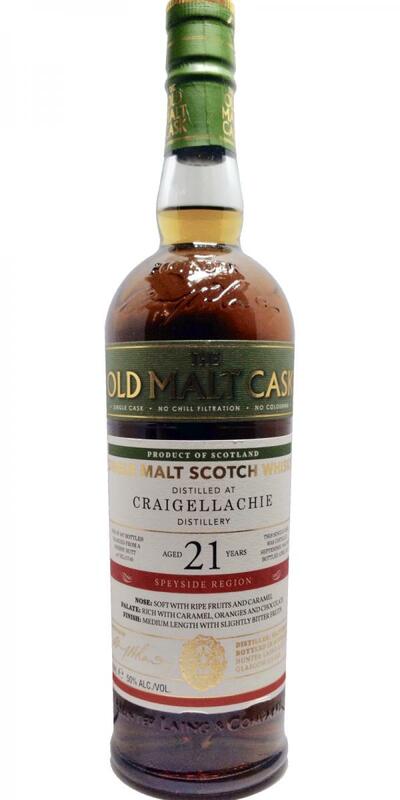 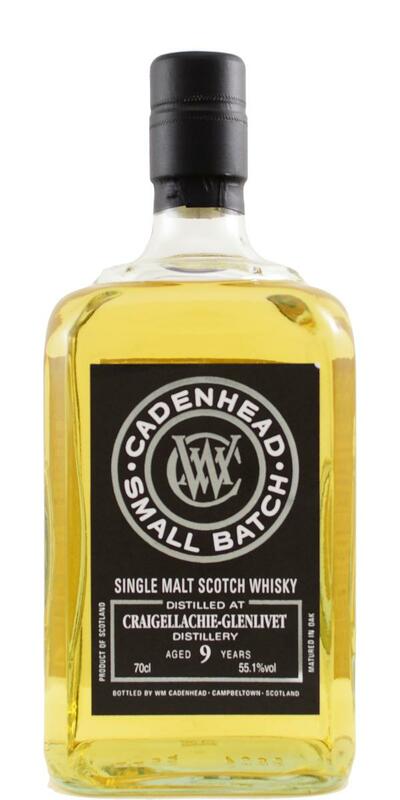 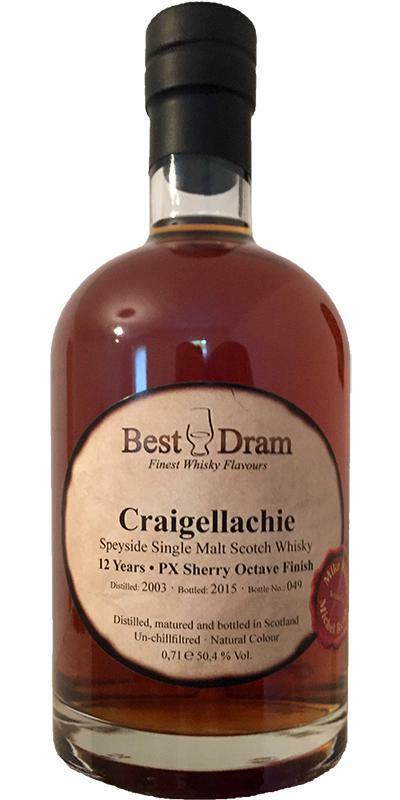 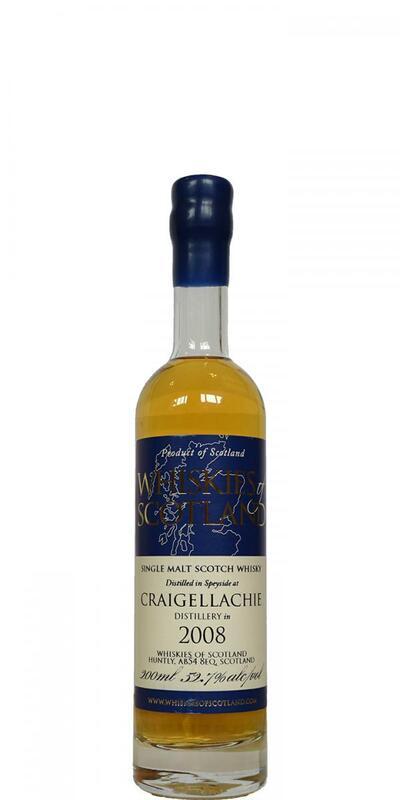 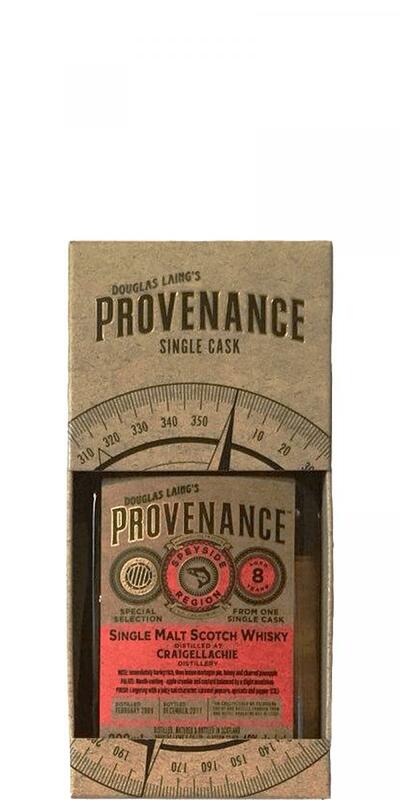 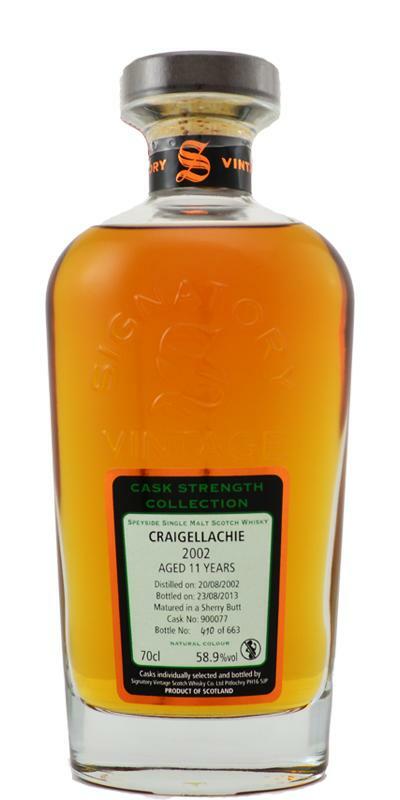 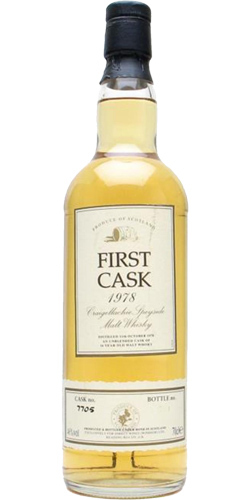 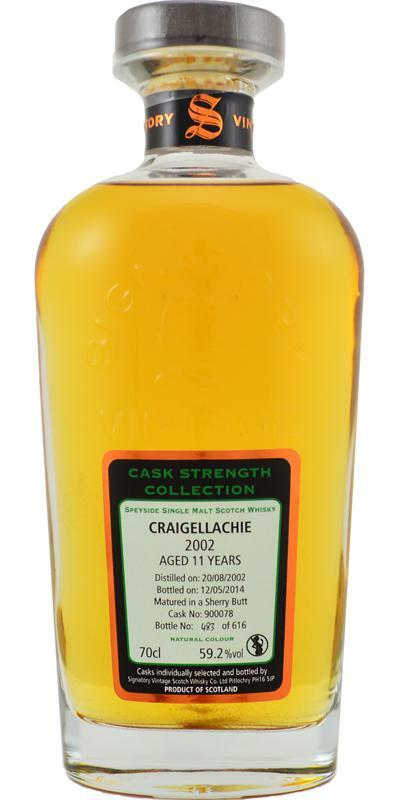 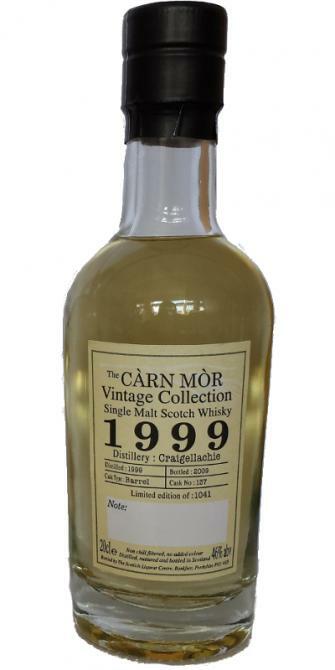 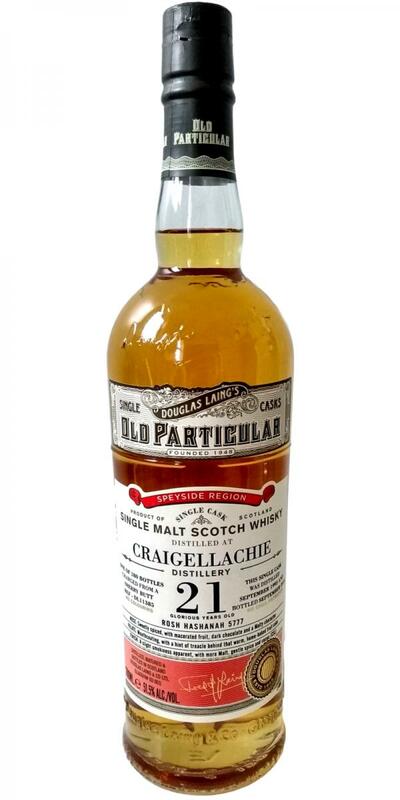 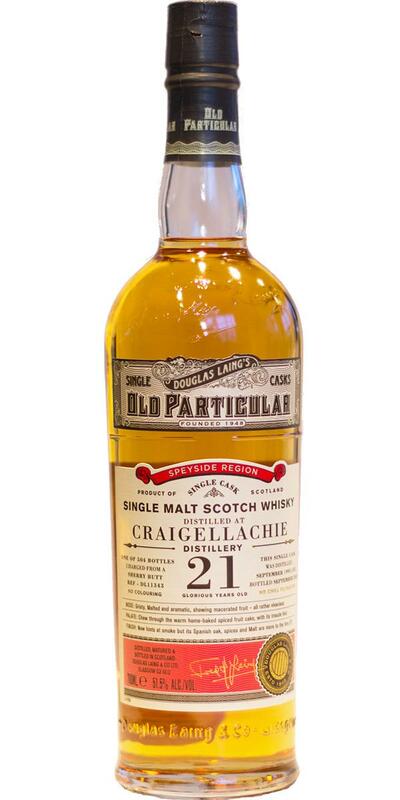 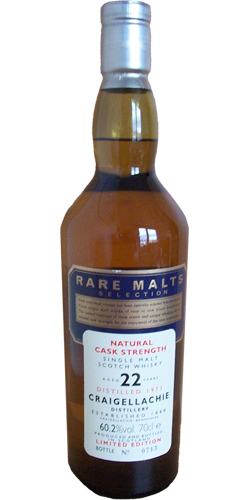 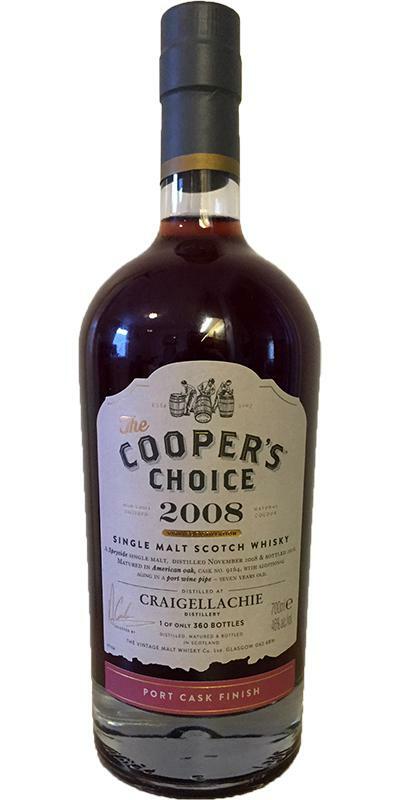 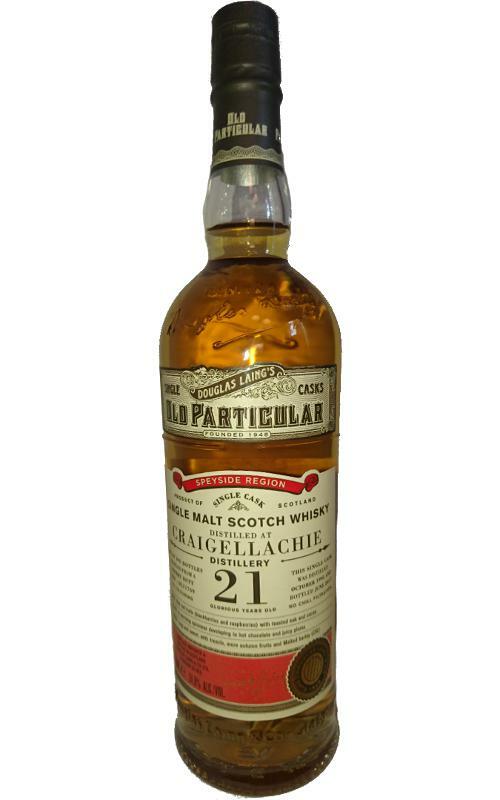 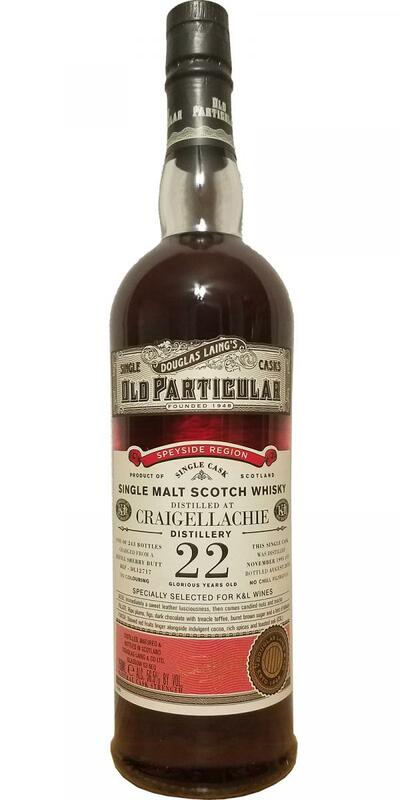 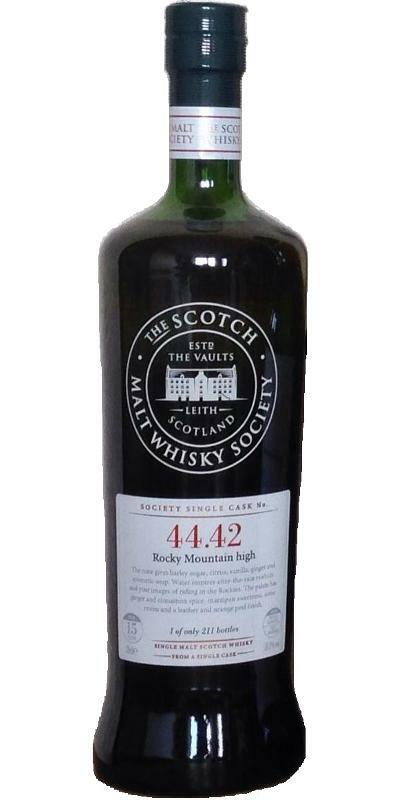 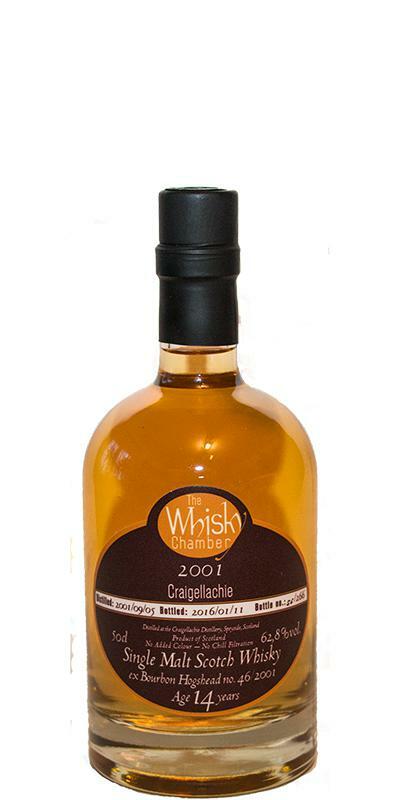 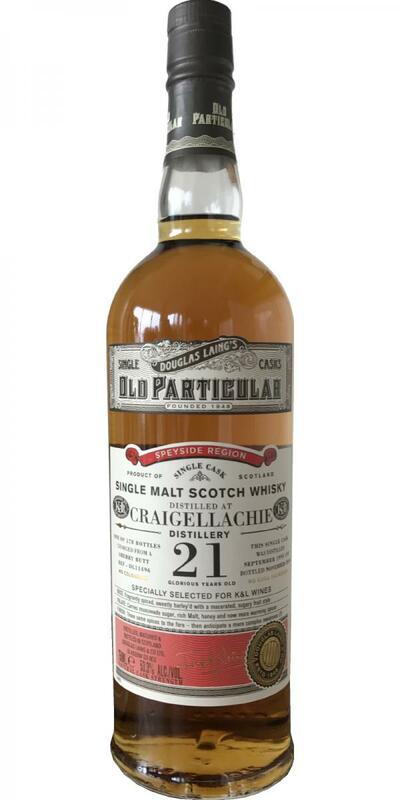 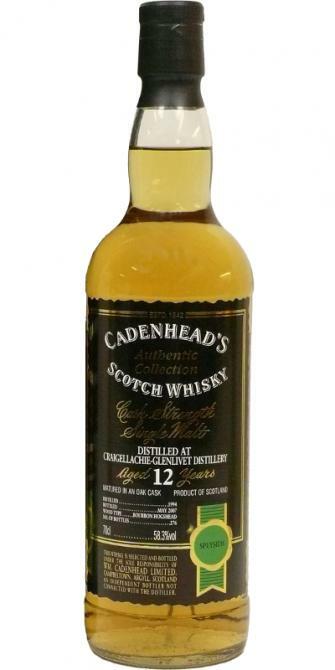 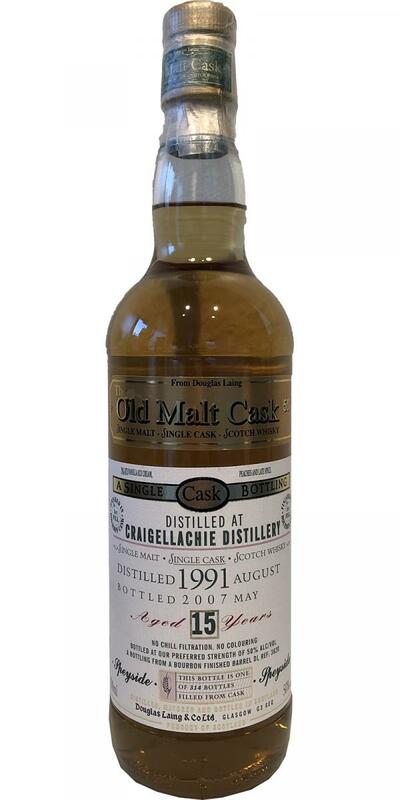 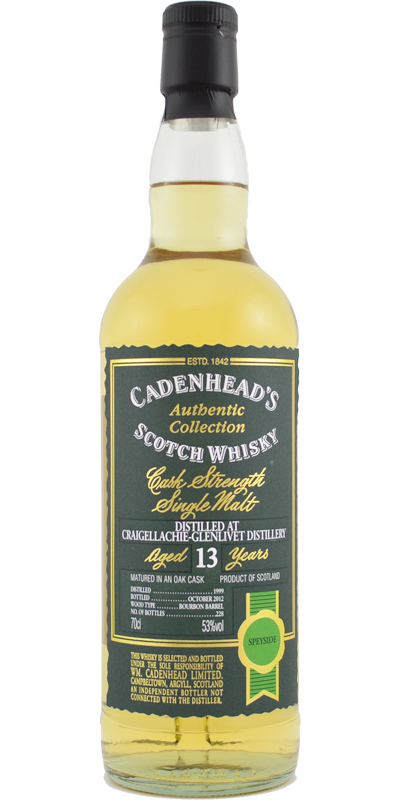 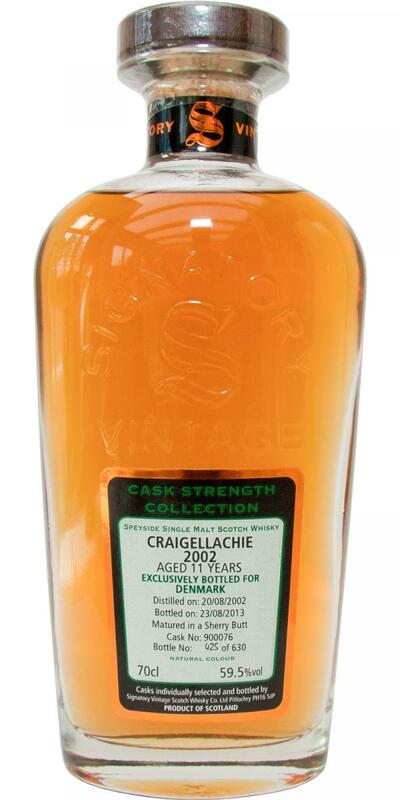 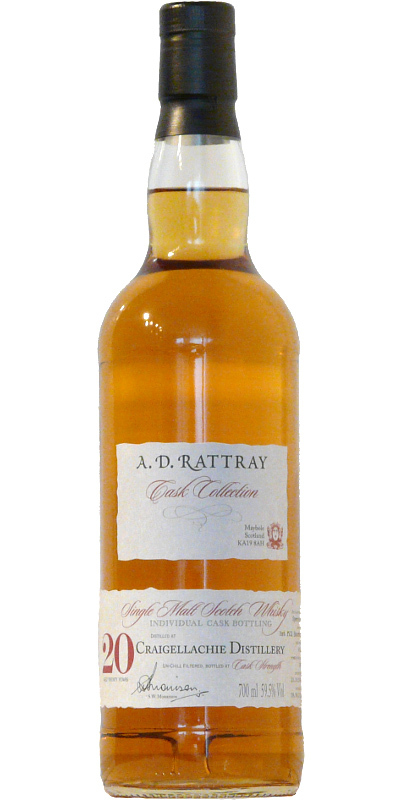 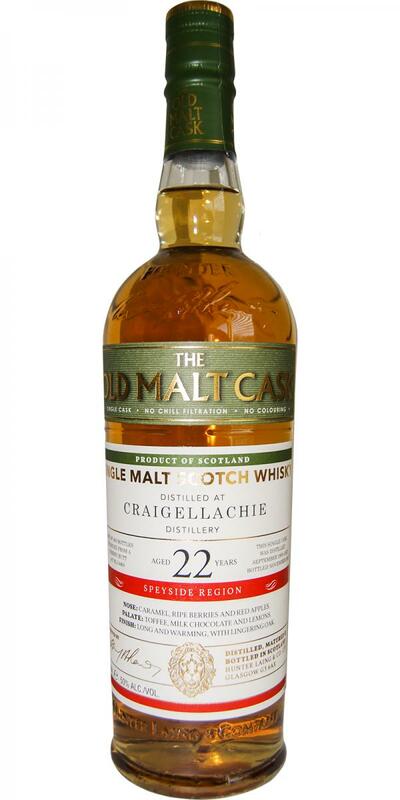 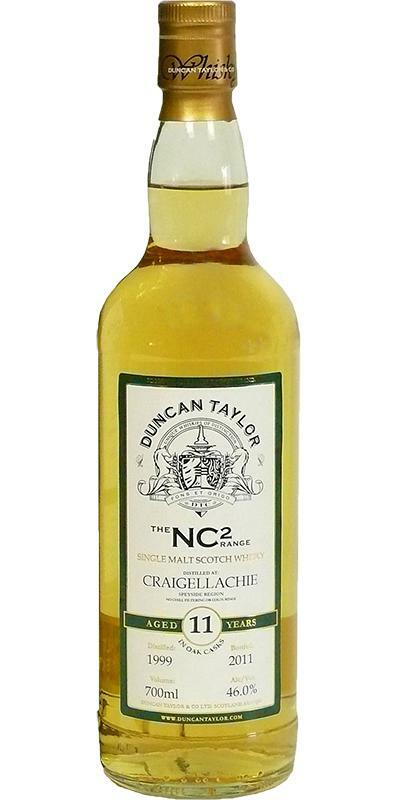 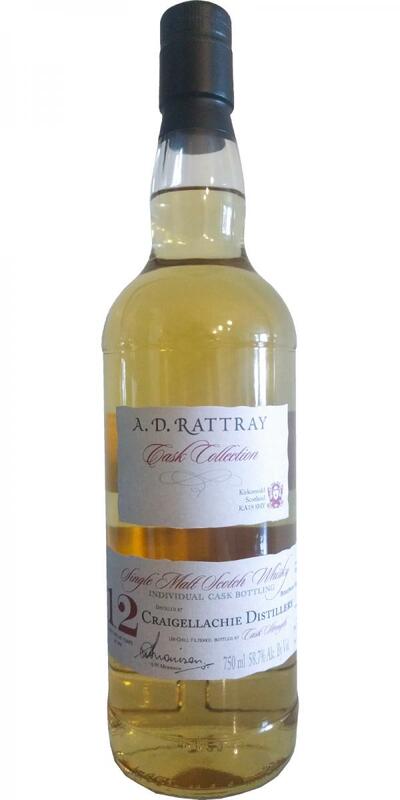 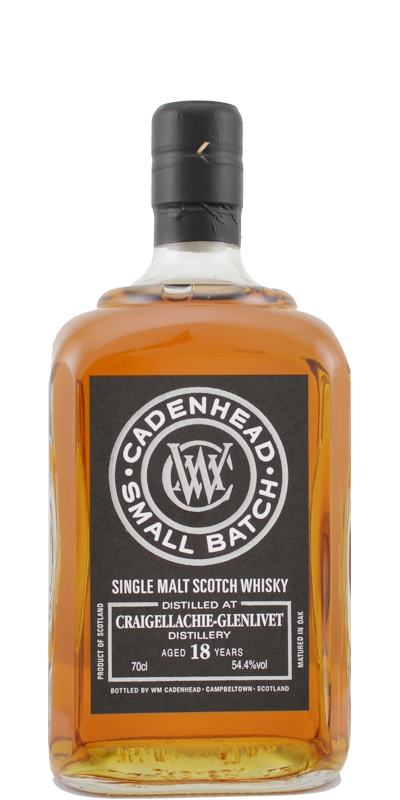 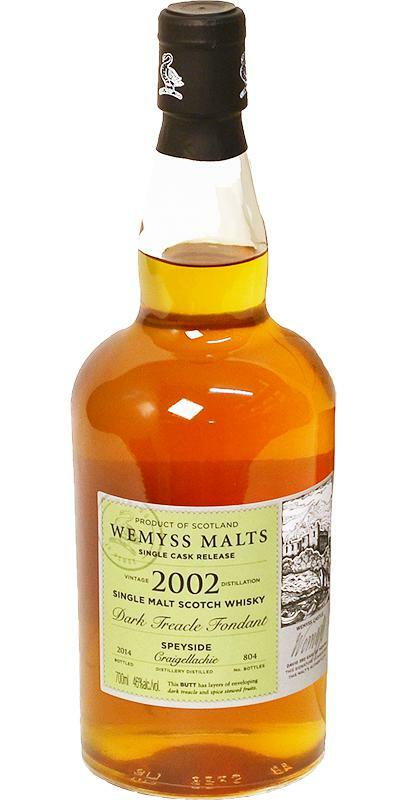 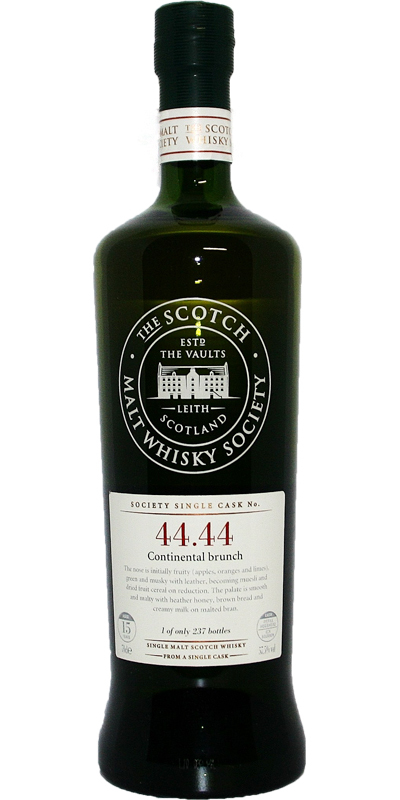 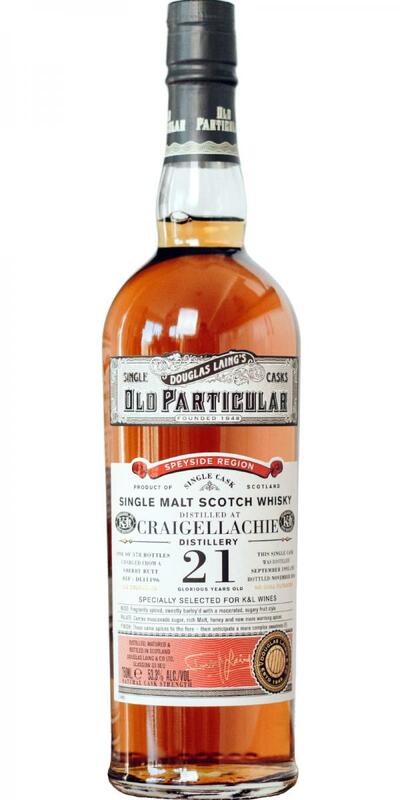 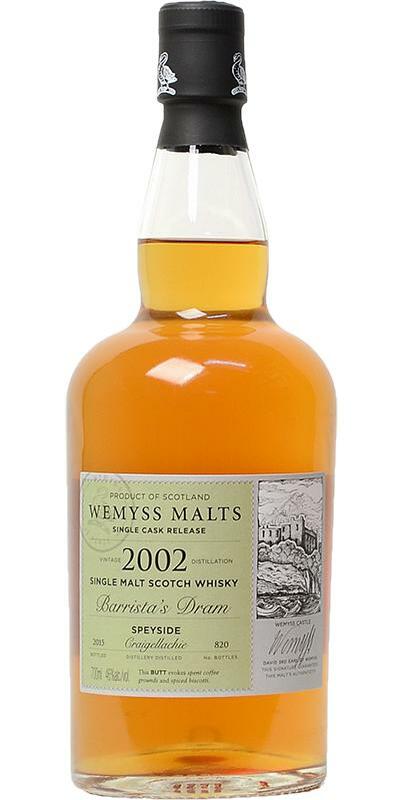 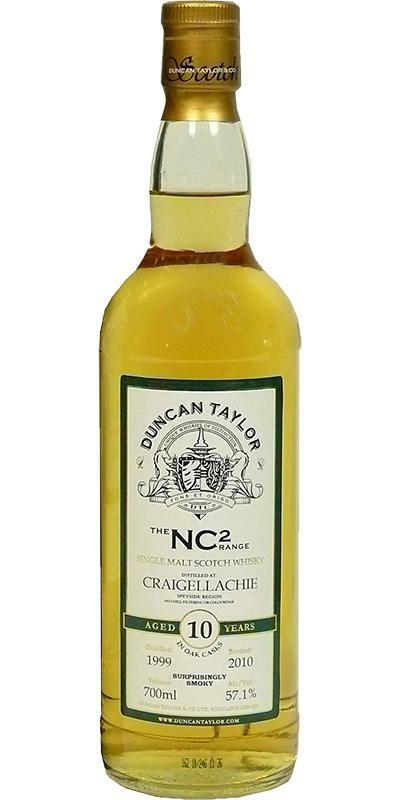 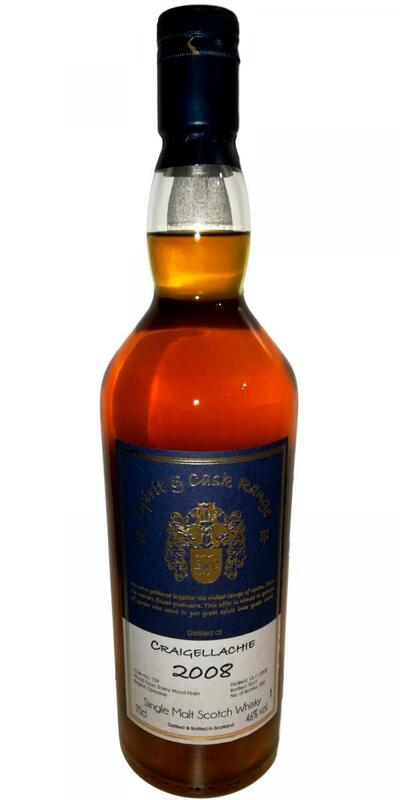 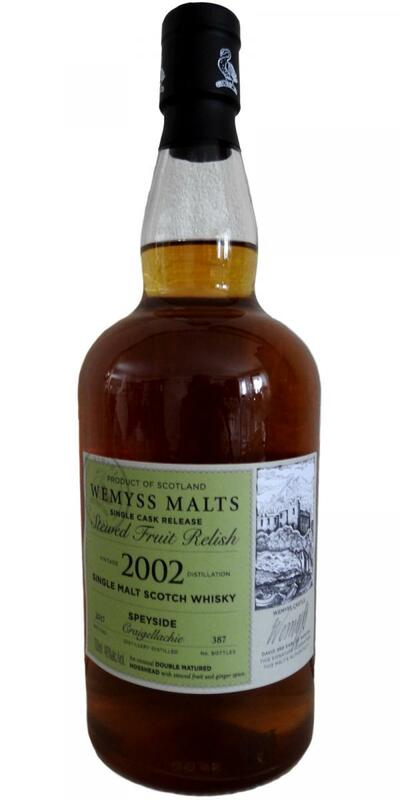 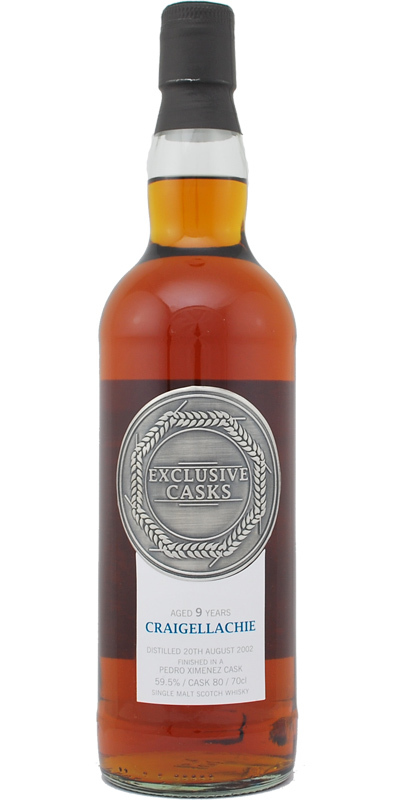 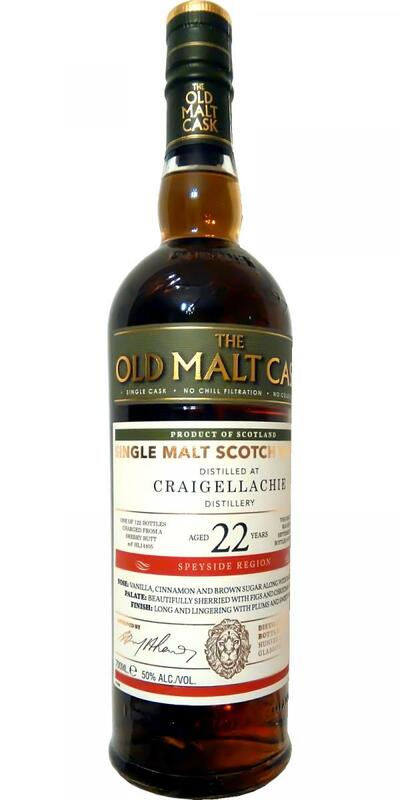 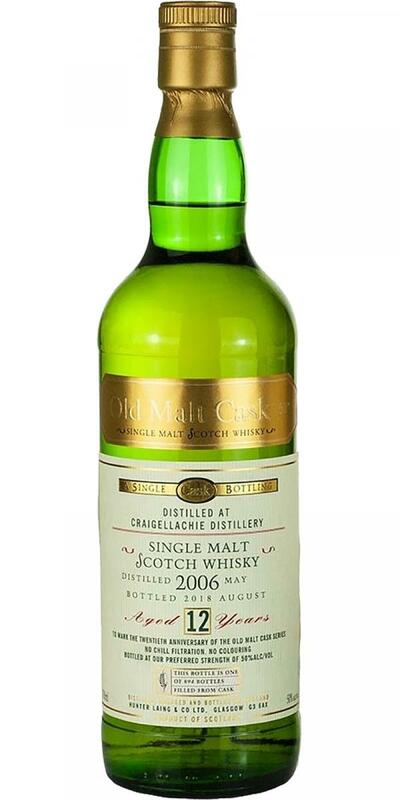 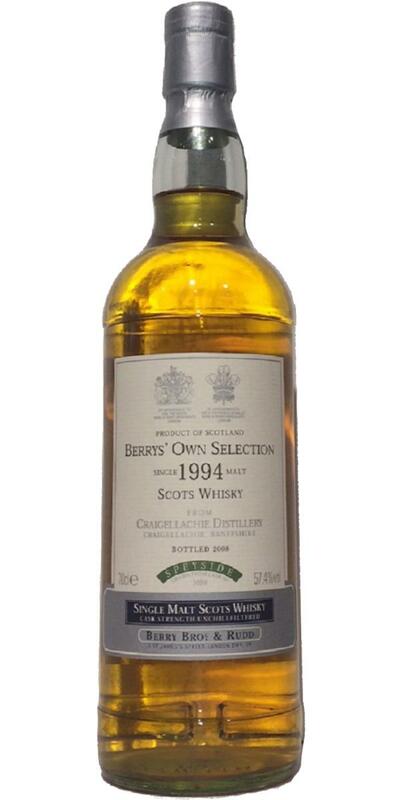 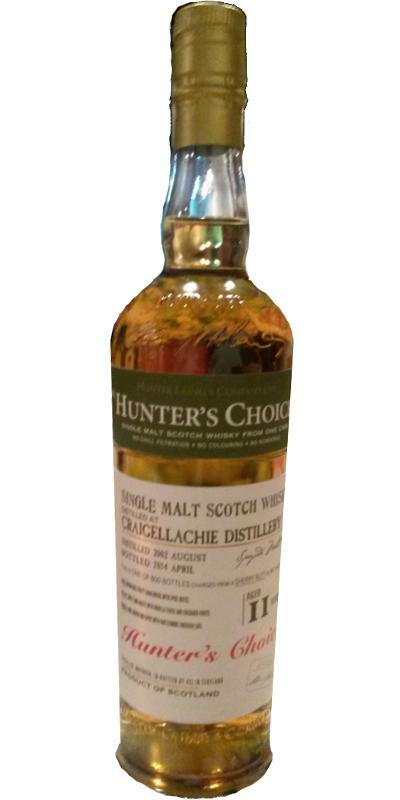 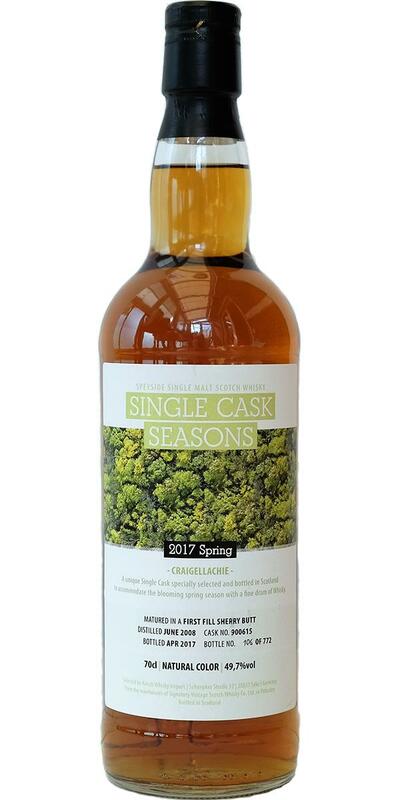 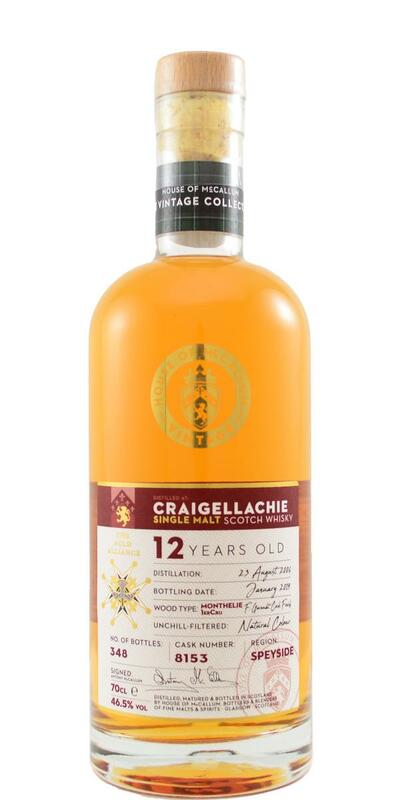 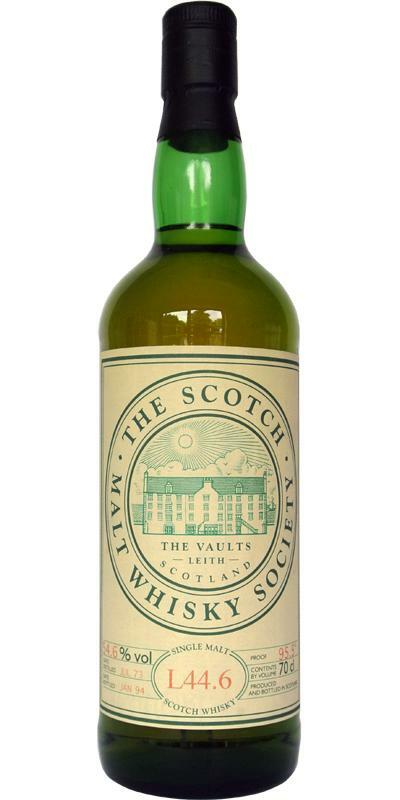 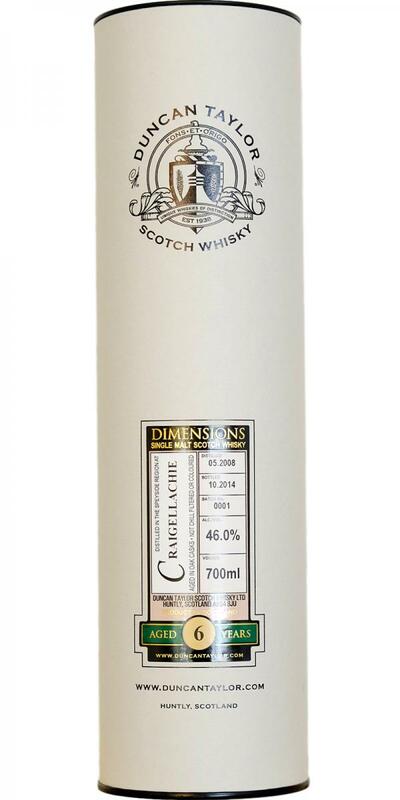 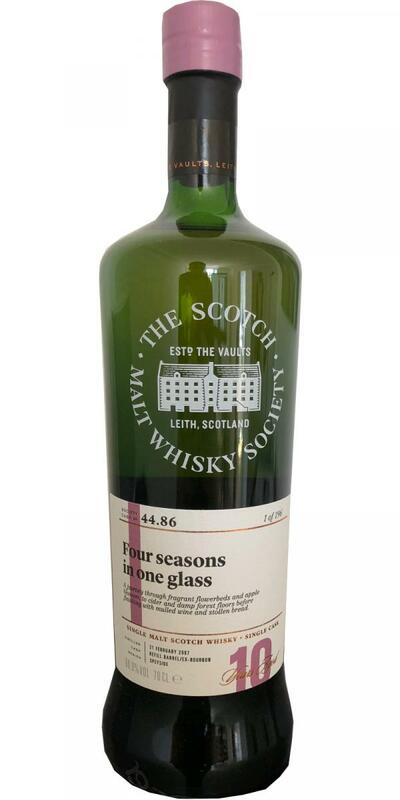 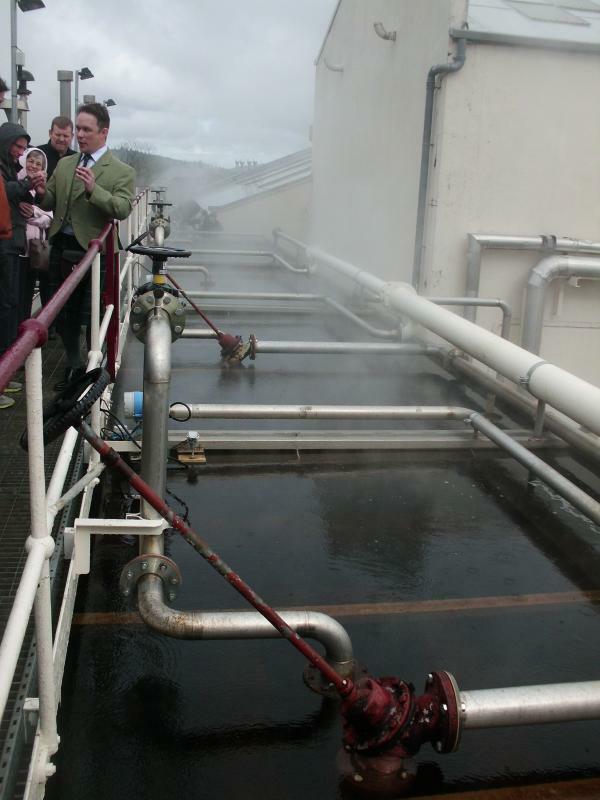 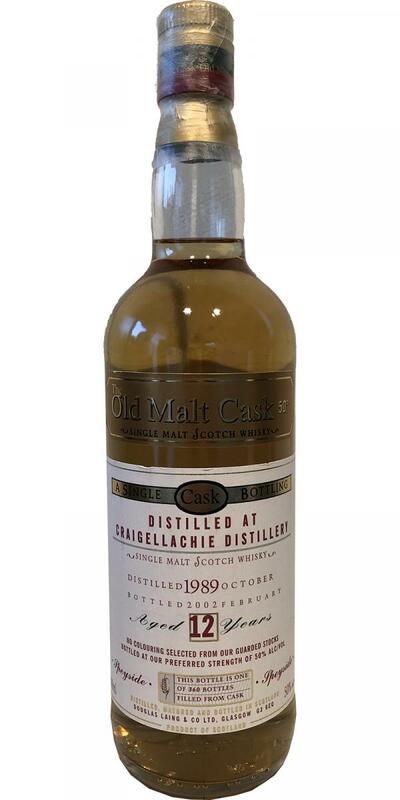 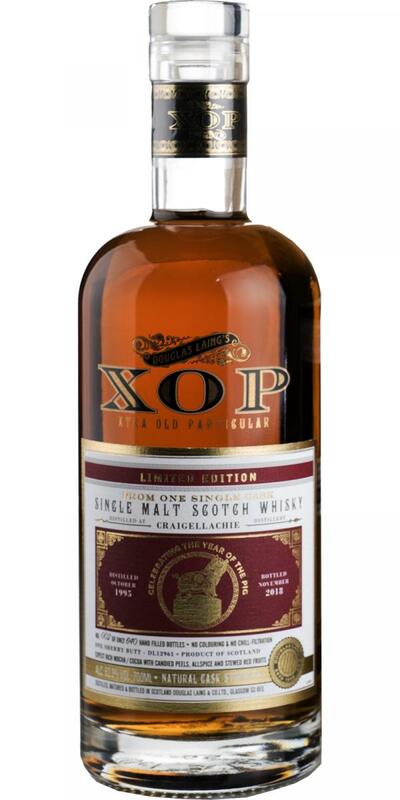 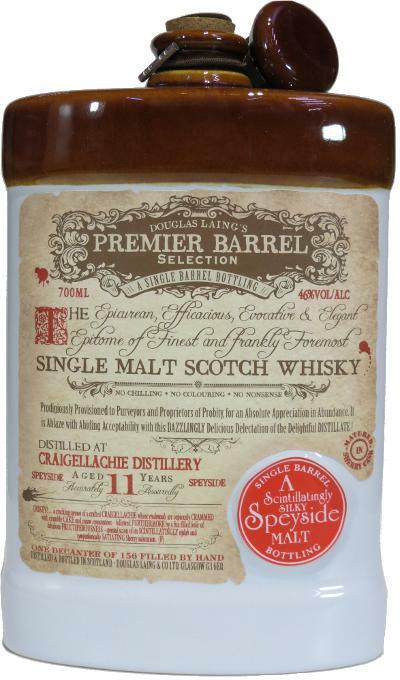 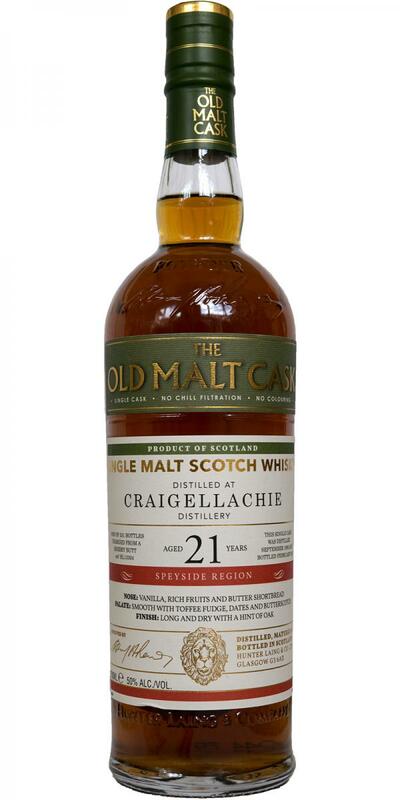 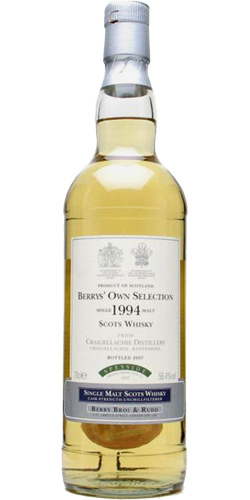 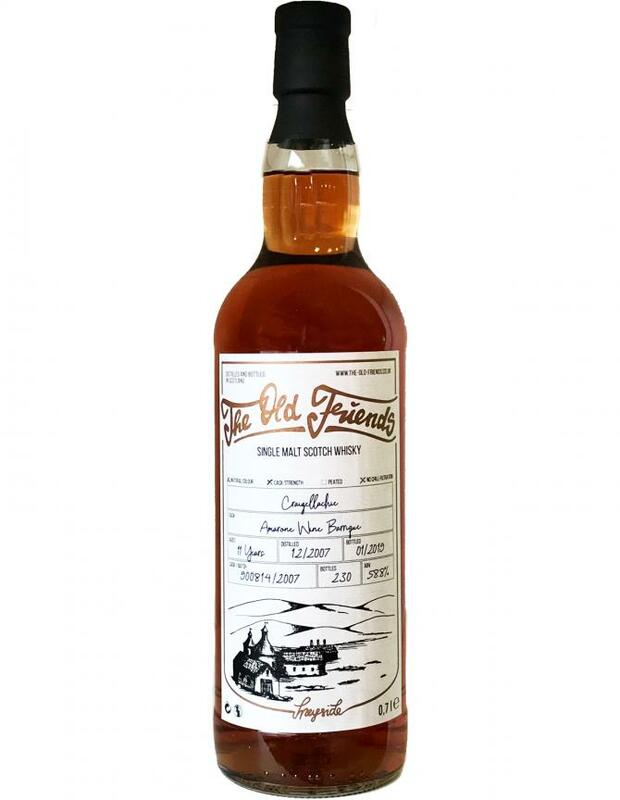 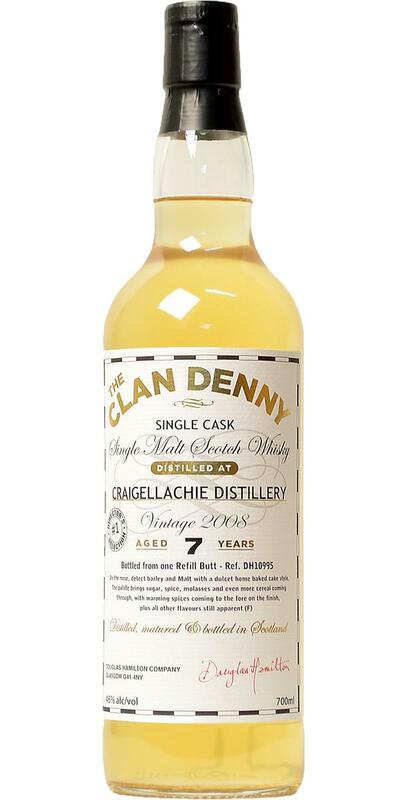 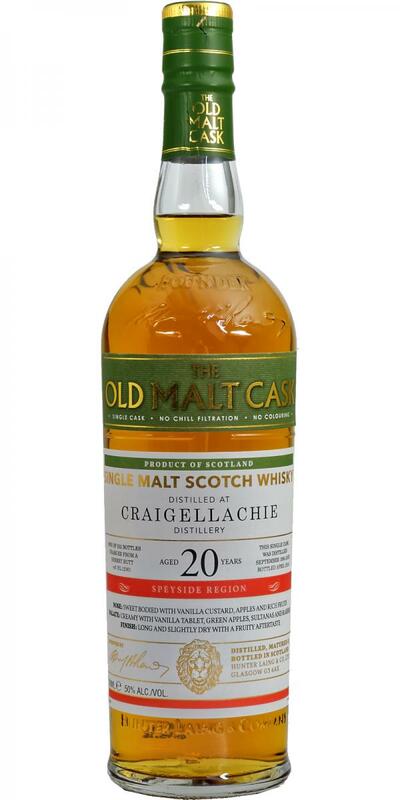 Craigellachie 2003 CWC Exclusive Casks 12 51.2 % Vol. 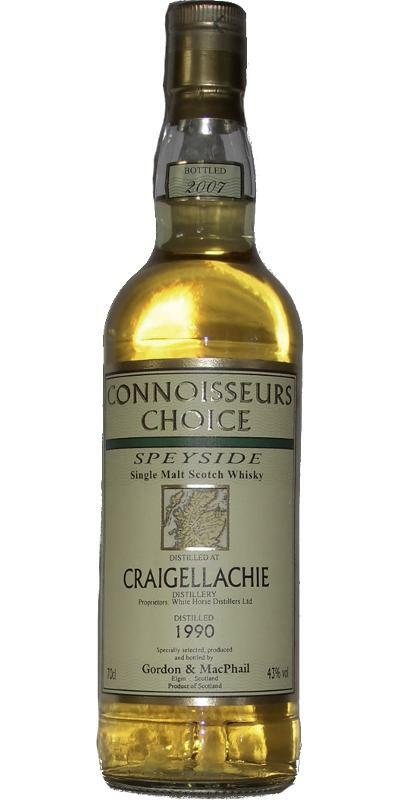 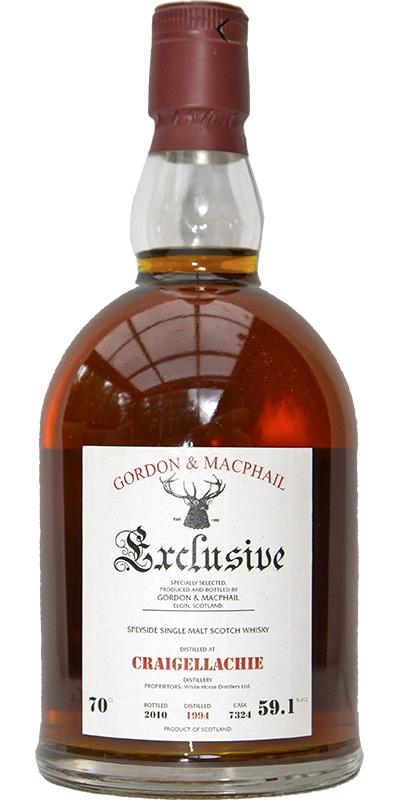 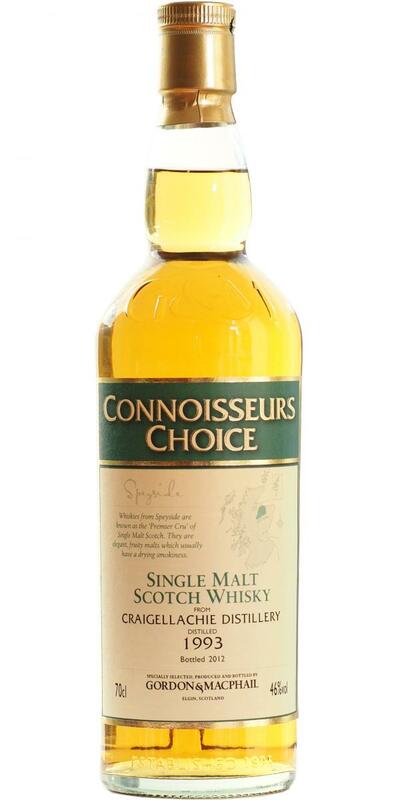 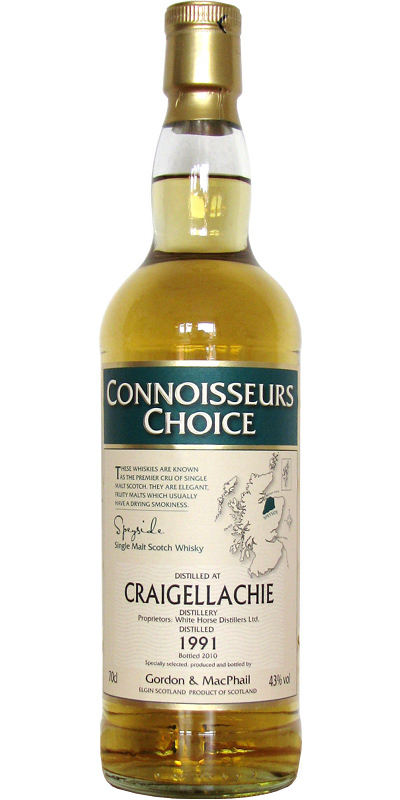 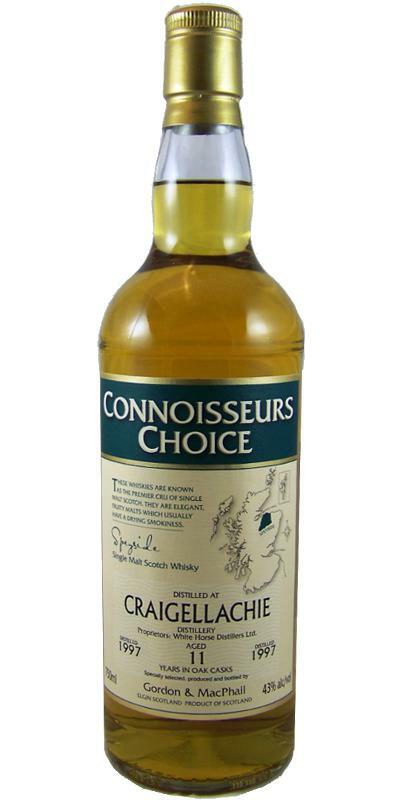 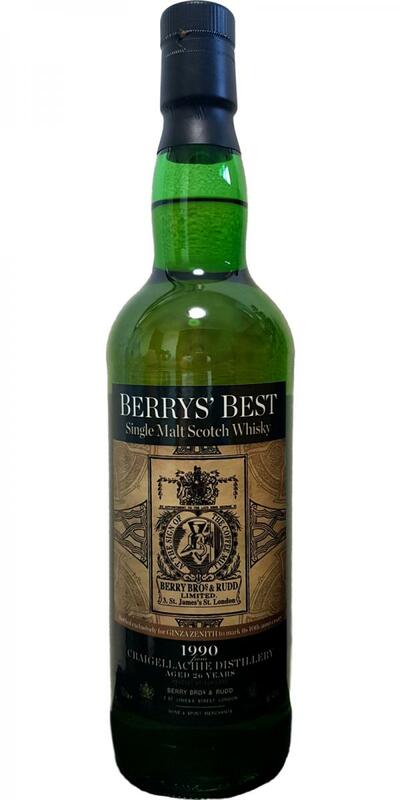 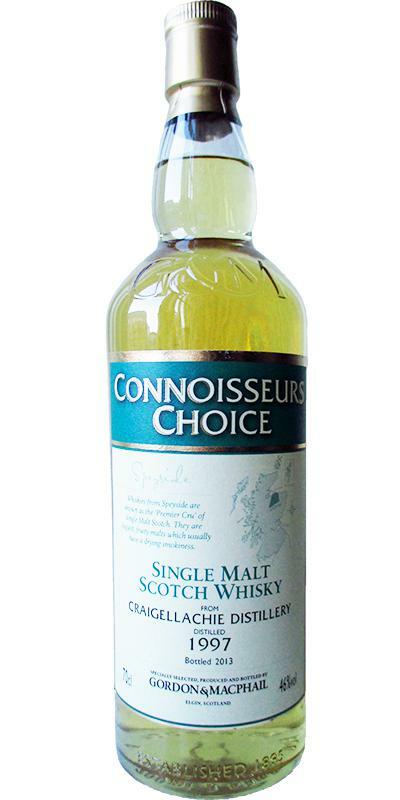 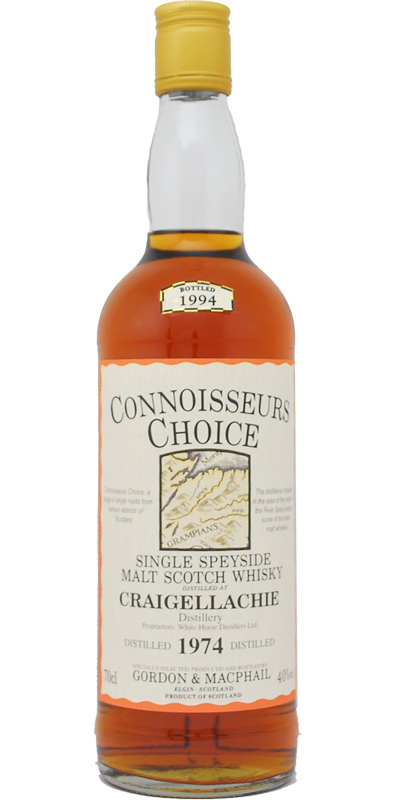 Craigellachie 1971 GM Connoisseurs Choice 13 40.0 % Vol. 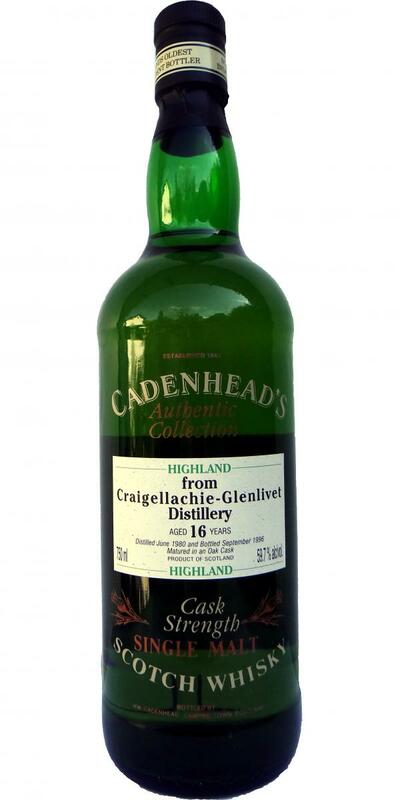 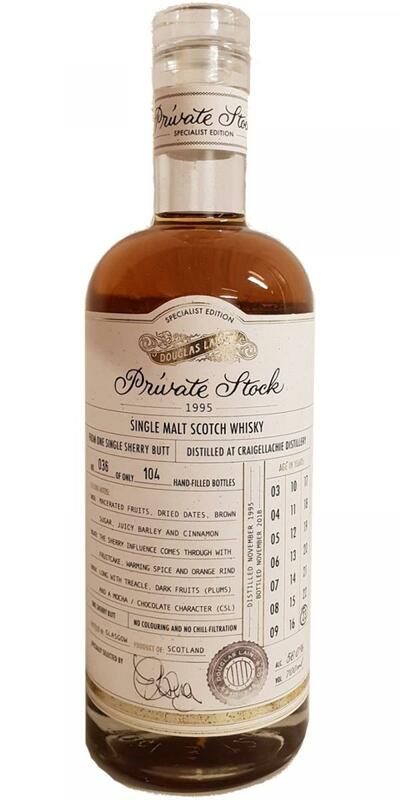 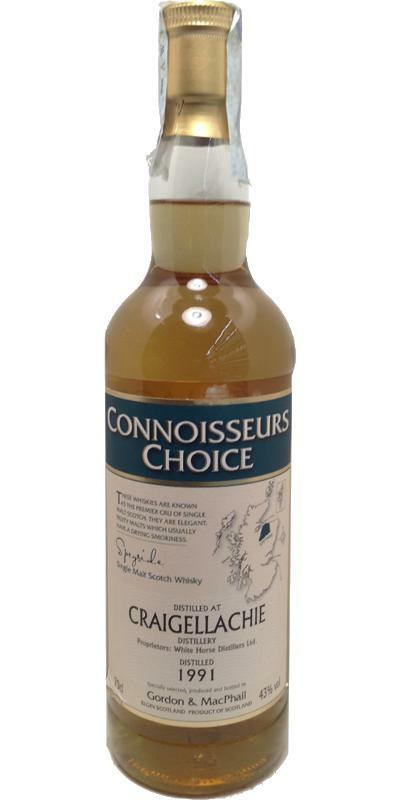 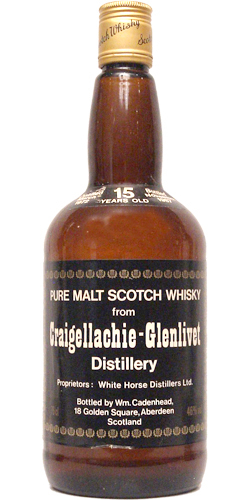 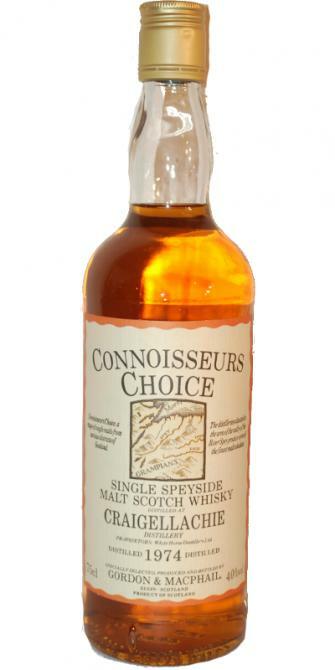 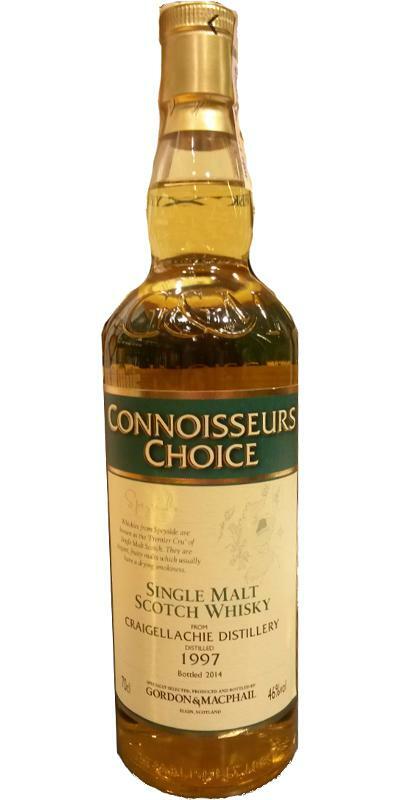 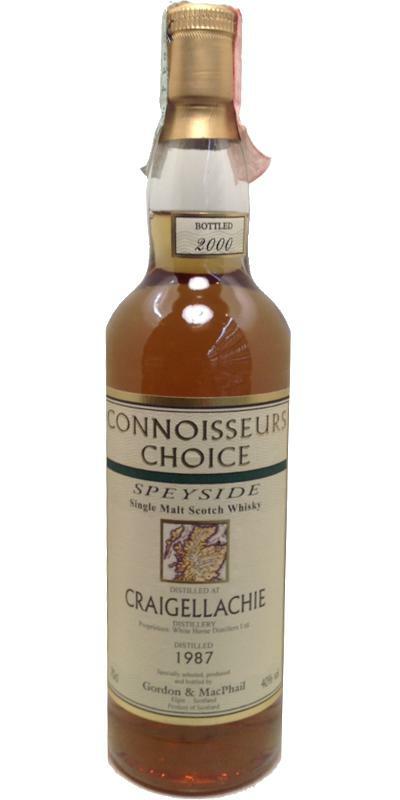 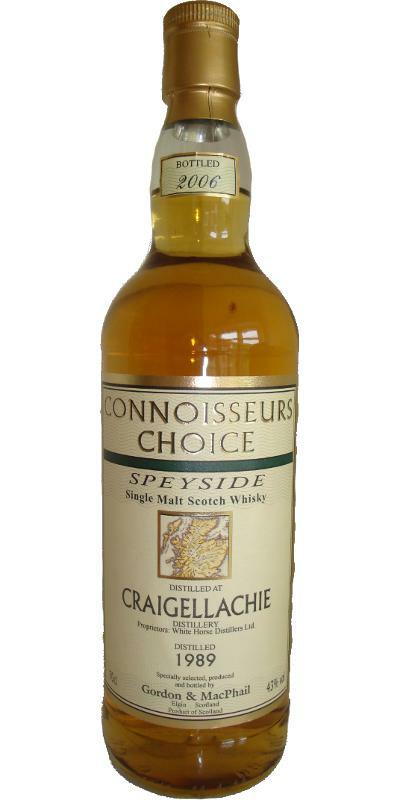 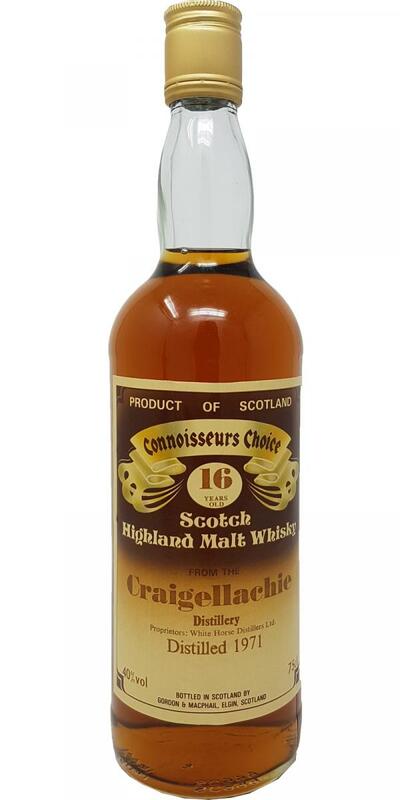 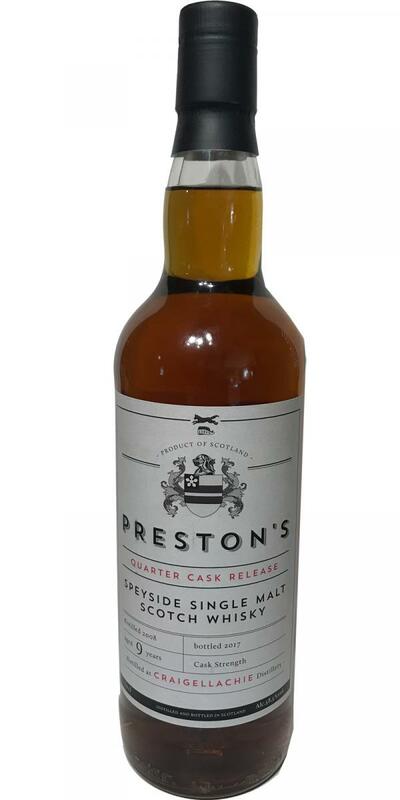 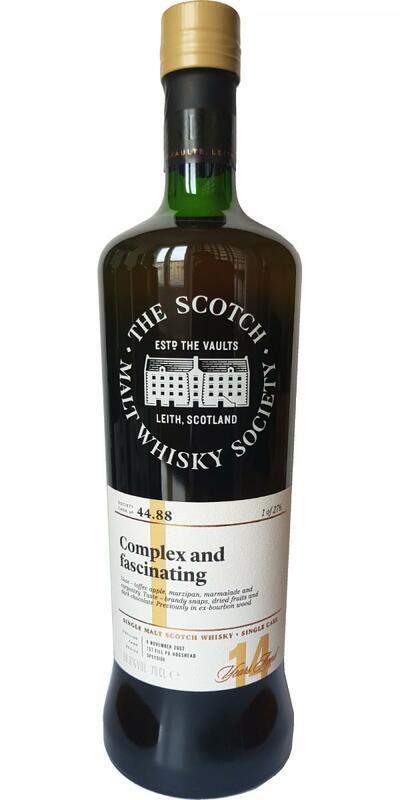 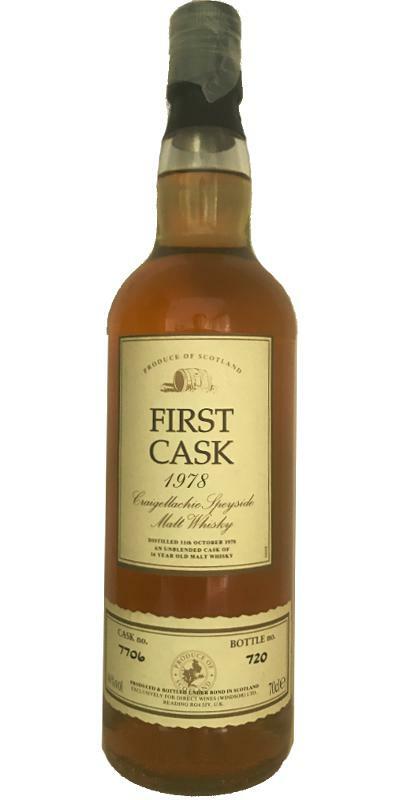 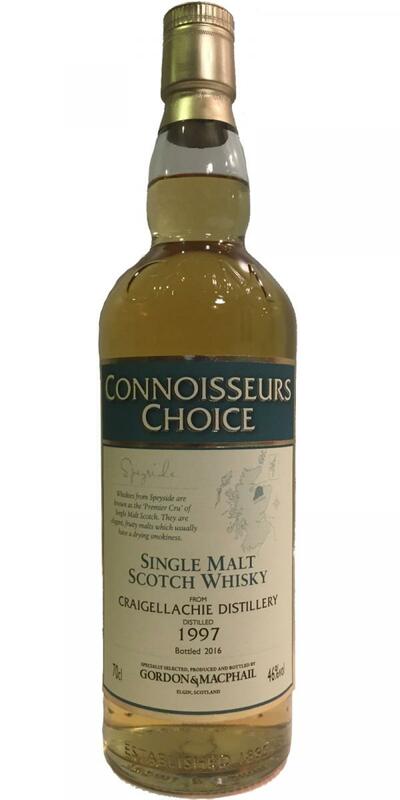 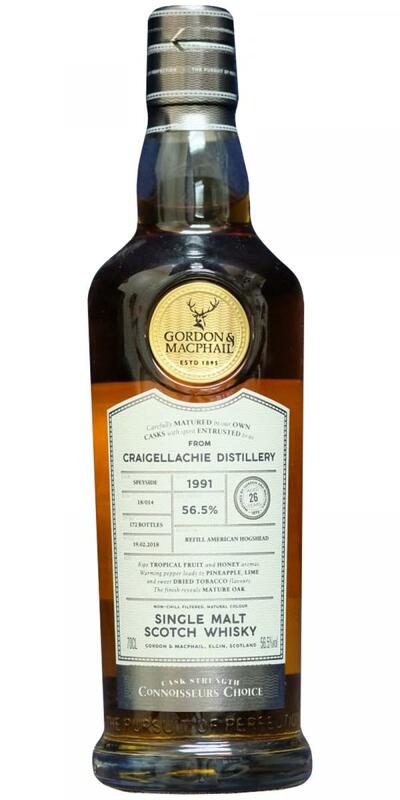 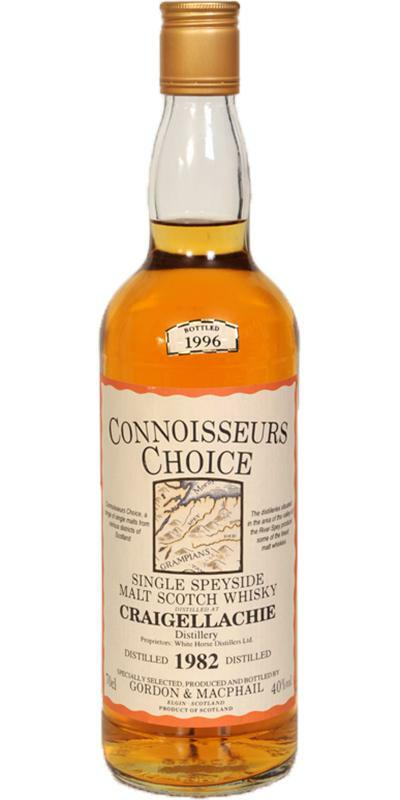 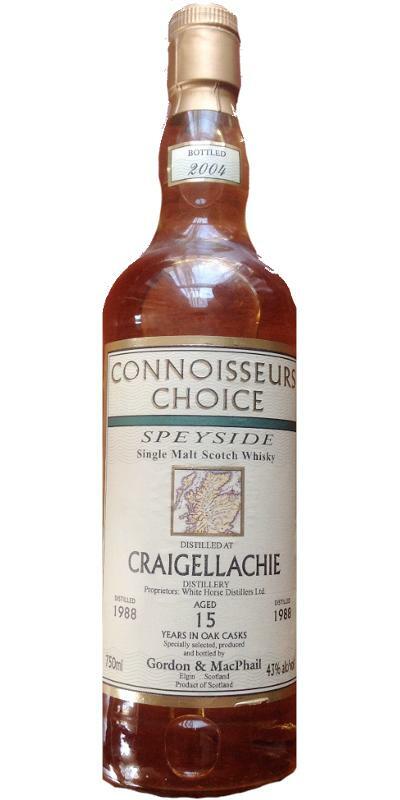 Craigellachie 1974 GM Connoisseurs Choice 15 40.0 % Vol. 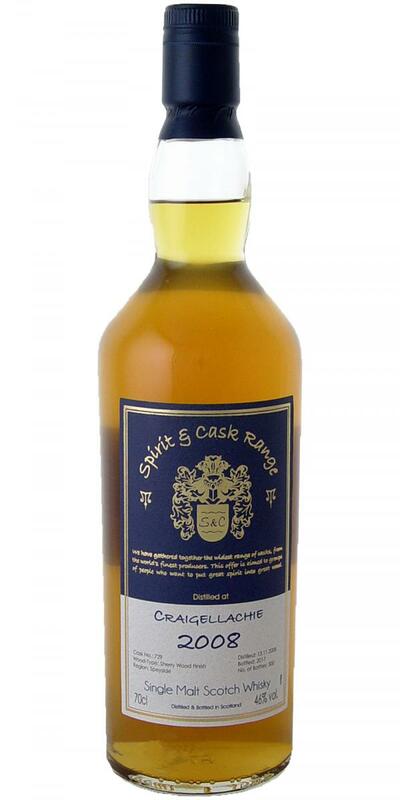 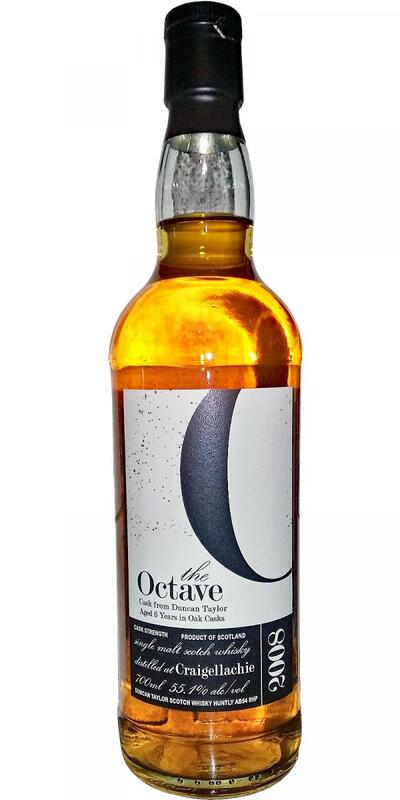 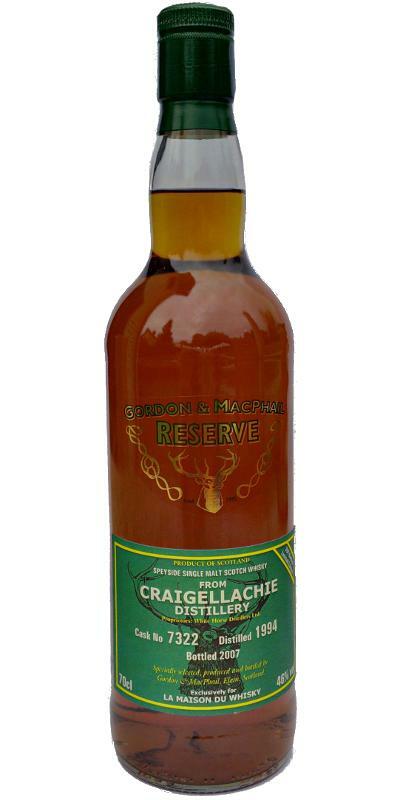 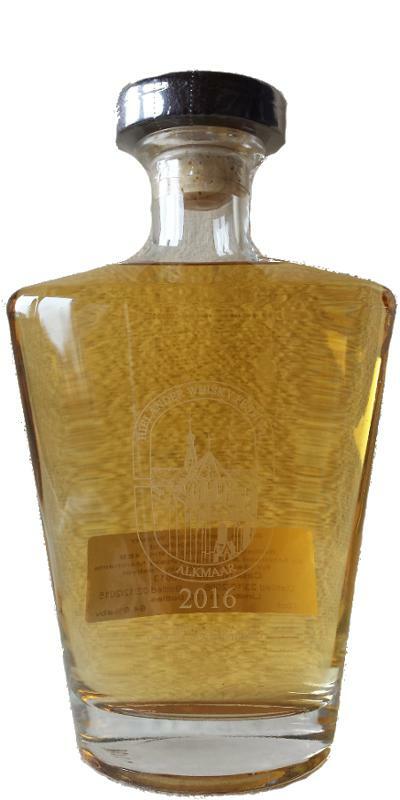 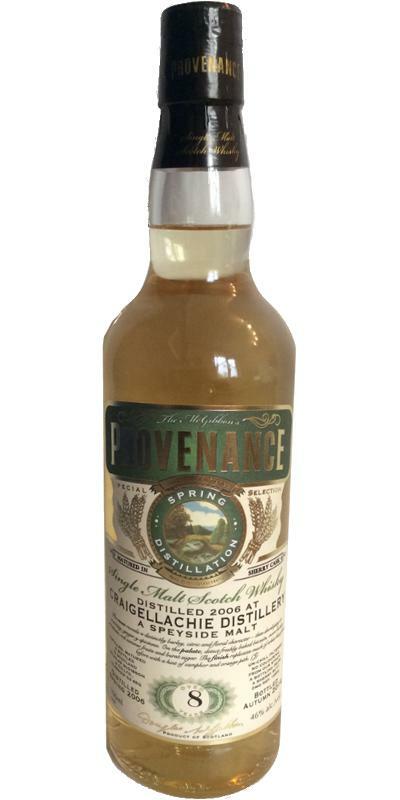 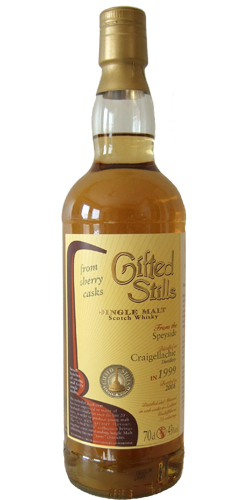 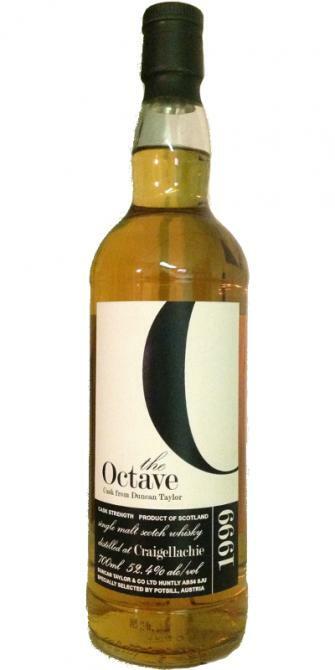 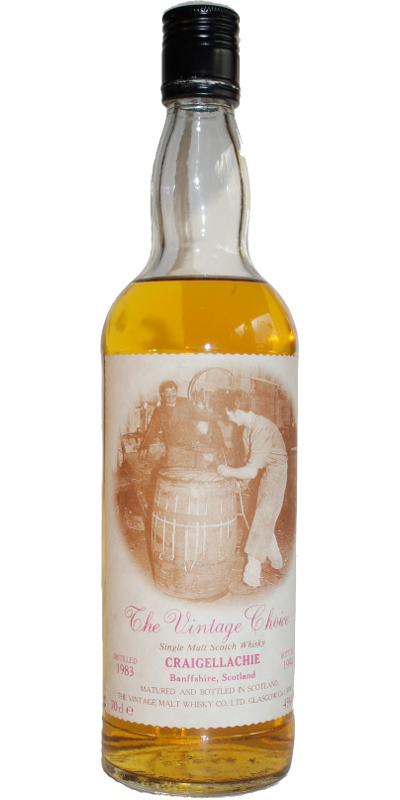 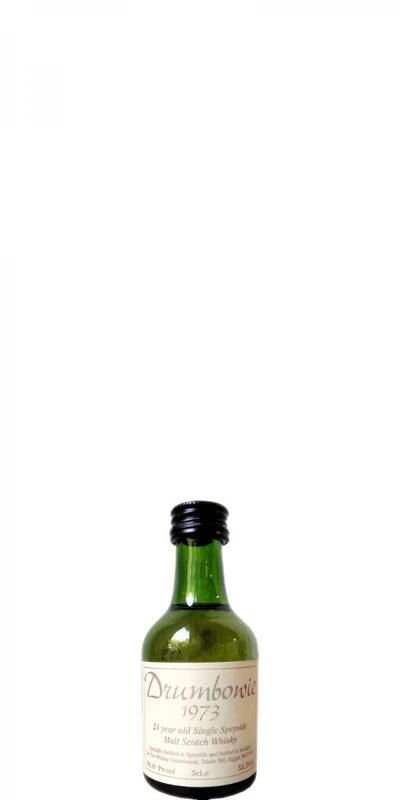 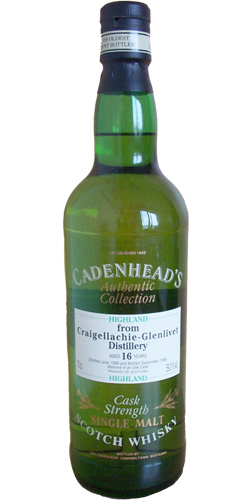 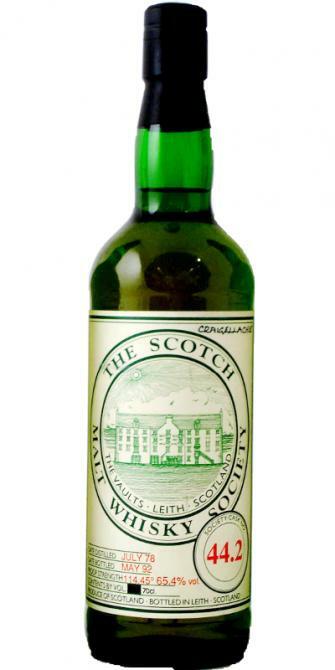 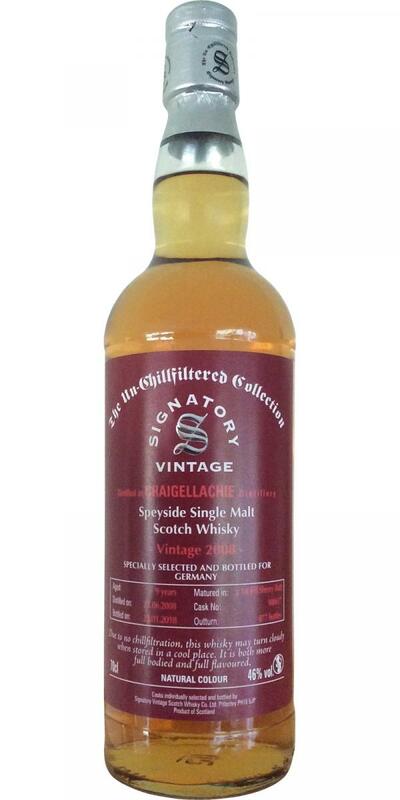 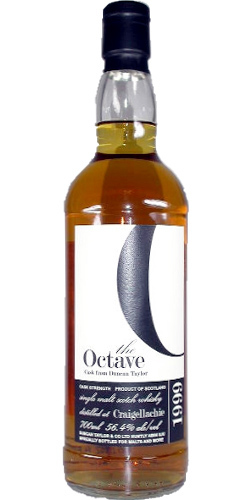 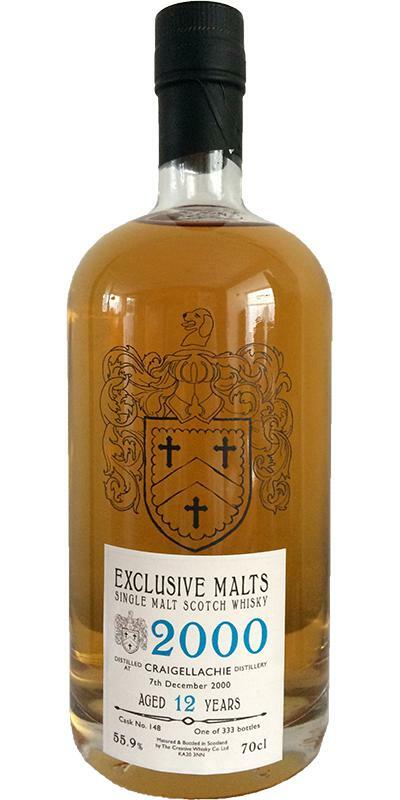 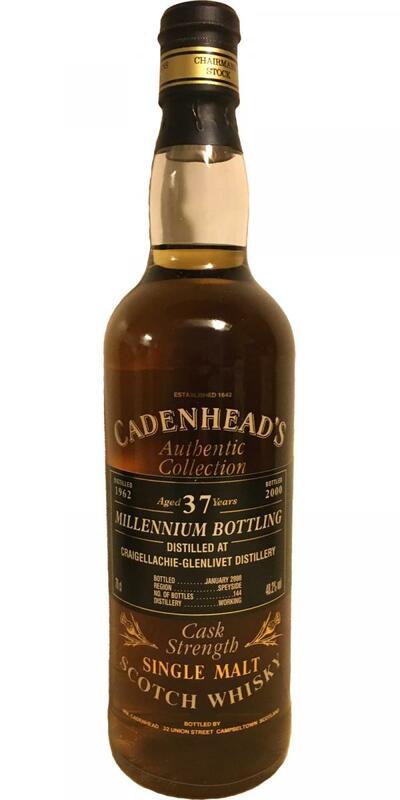 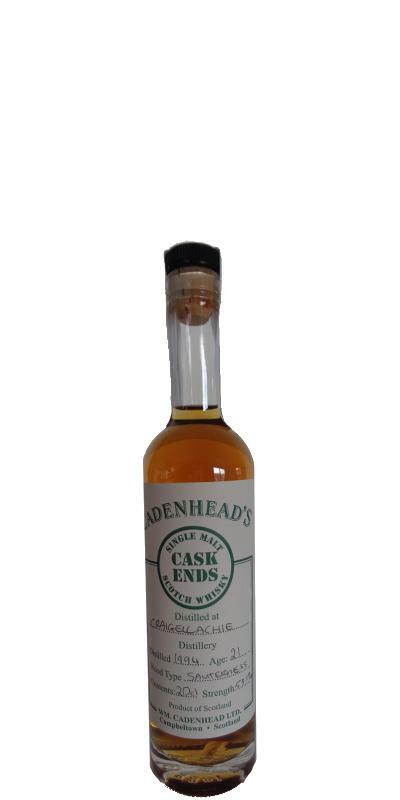 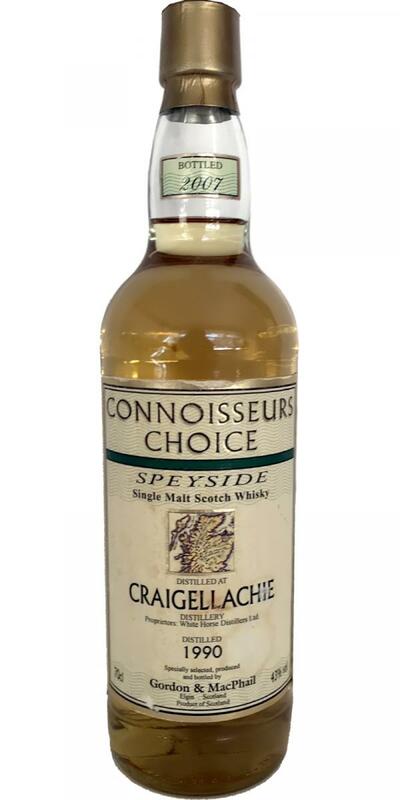 Craigellachie 1974 GM Spirit of Scotland 40.0 % Vol. 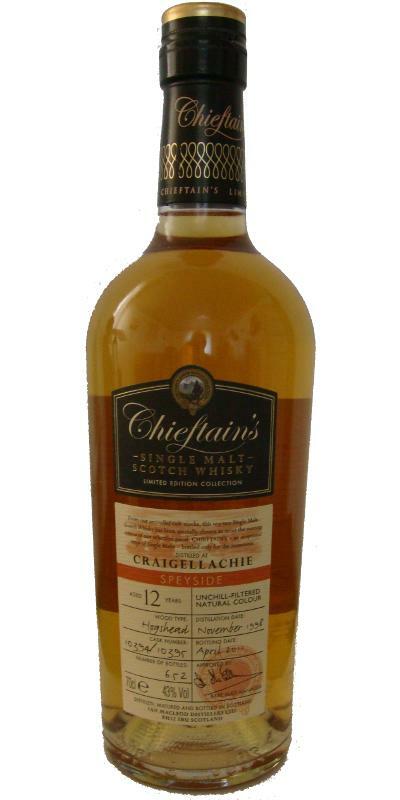 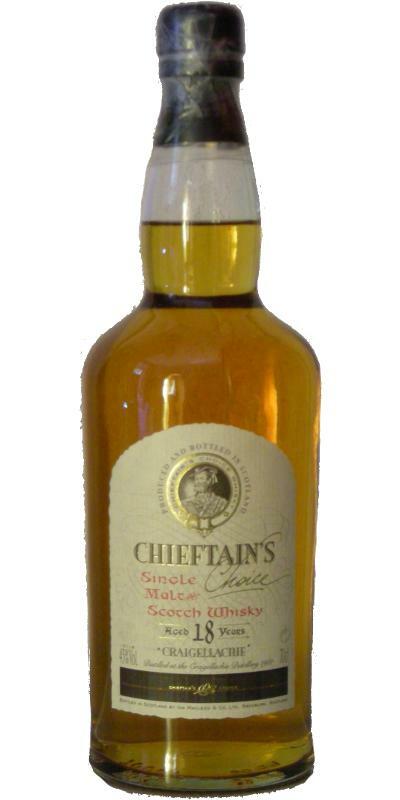 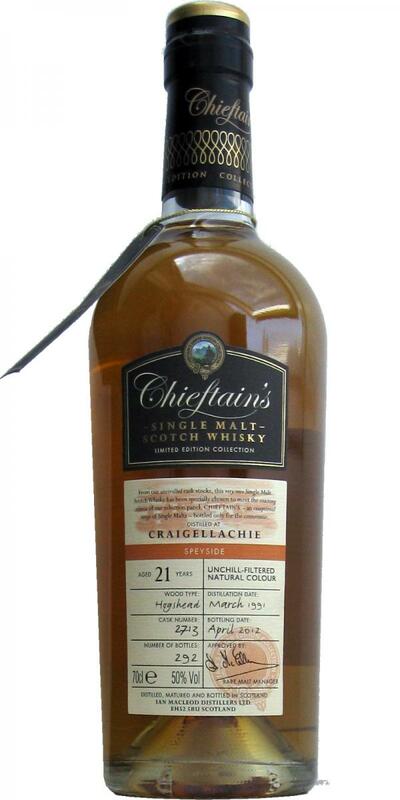 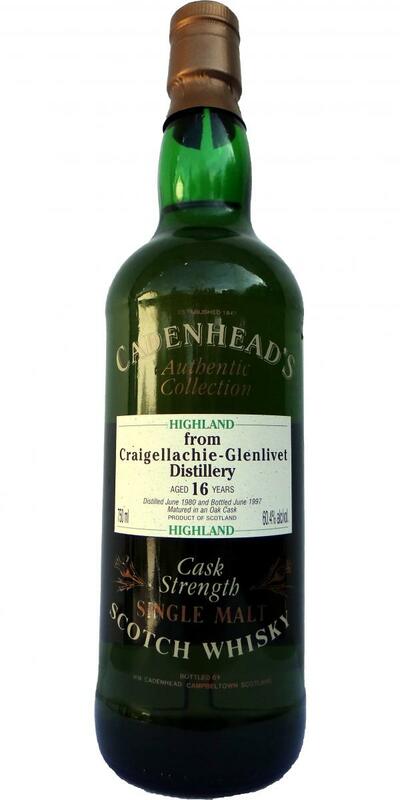 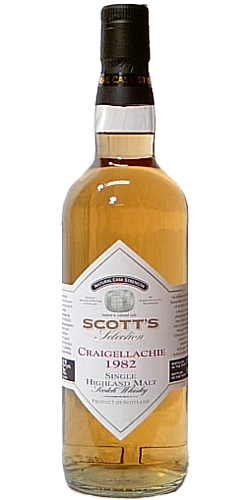 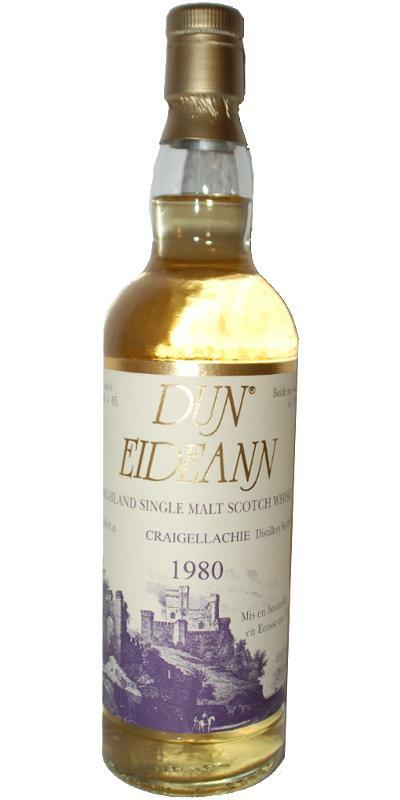 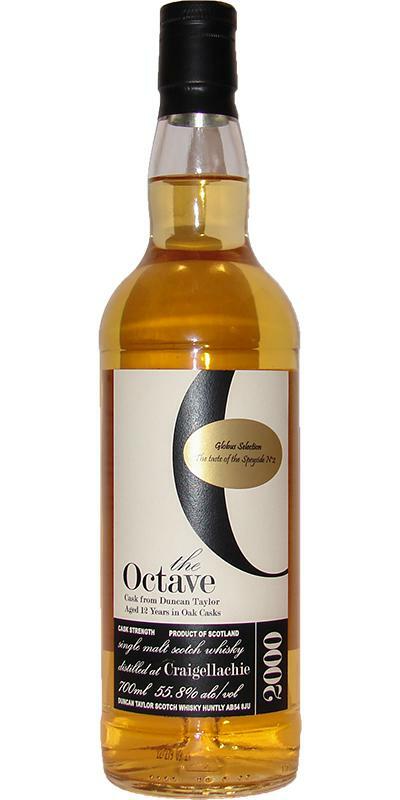 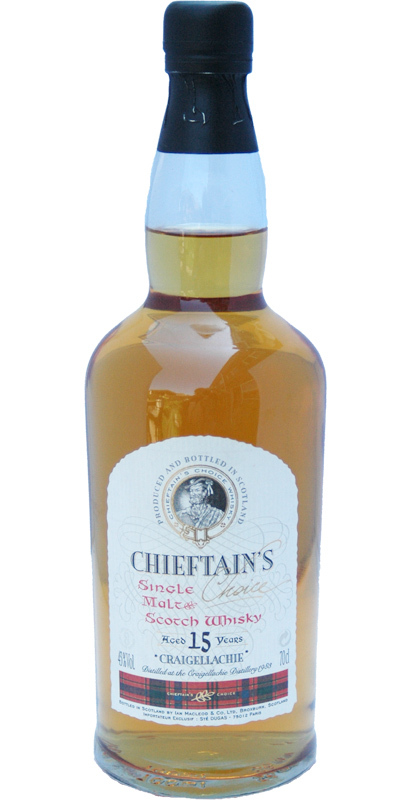 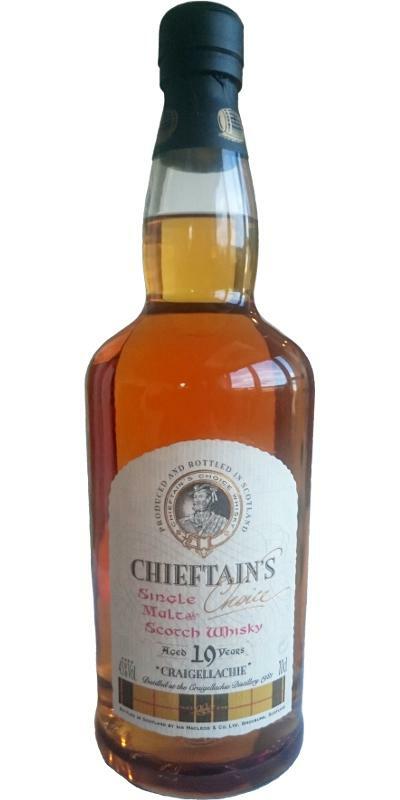 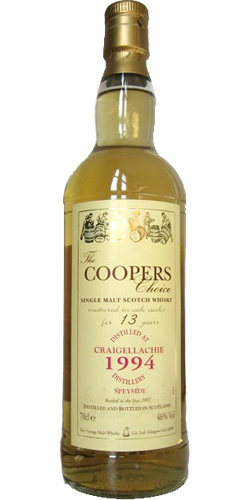 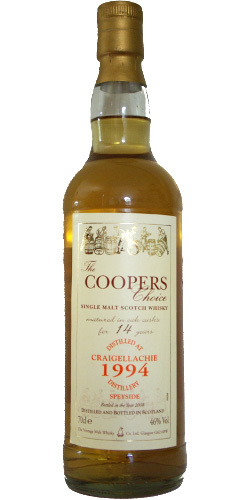 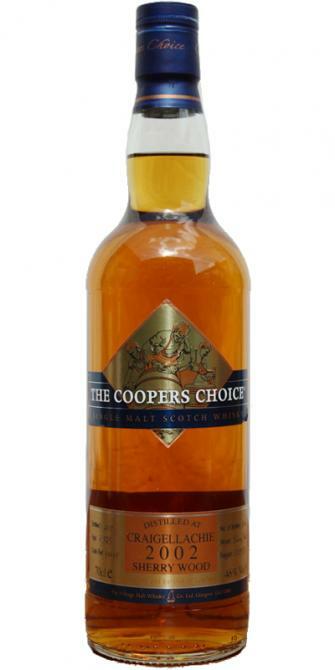 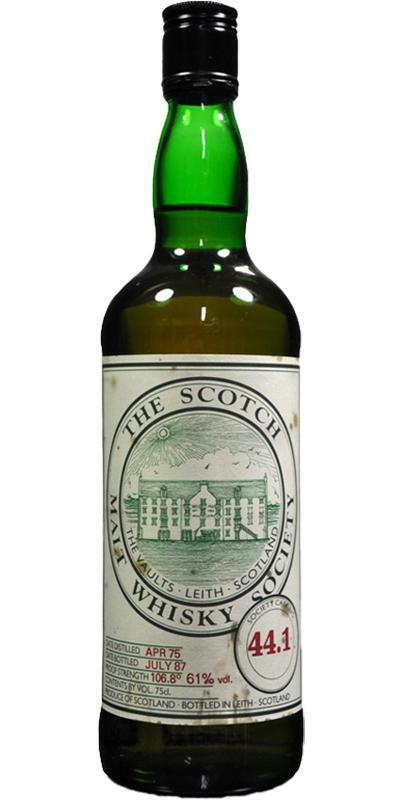 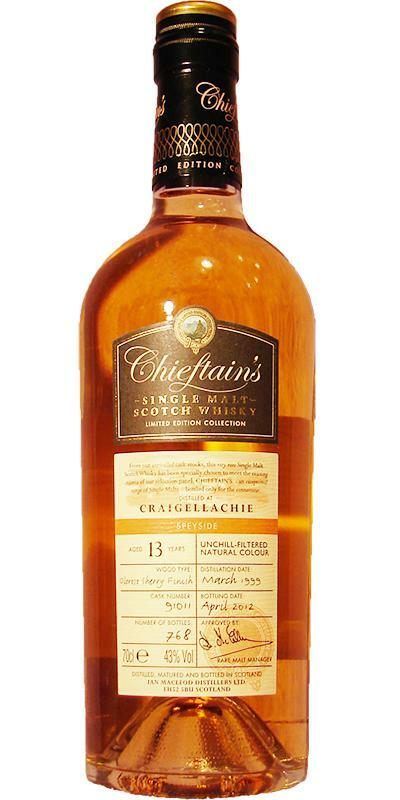 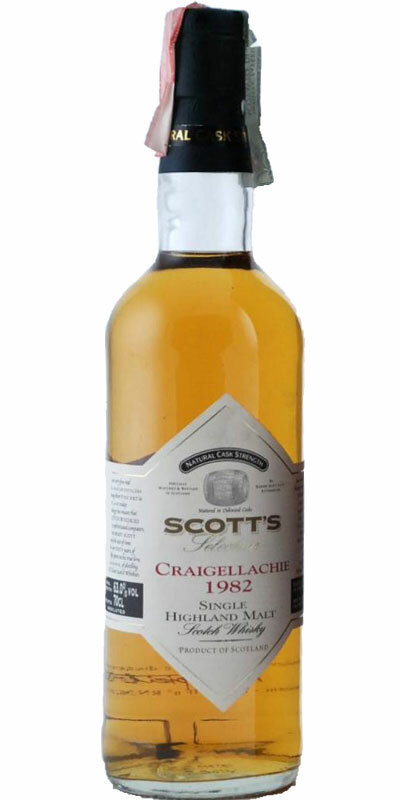 Craigellachie 1981 IM Chieftain's Choice 19 43.0 % Vol. 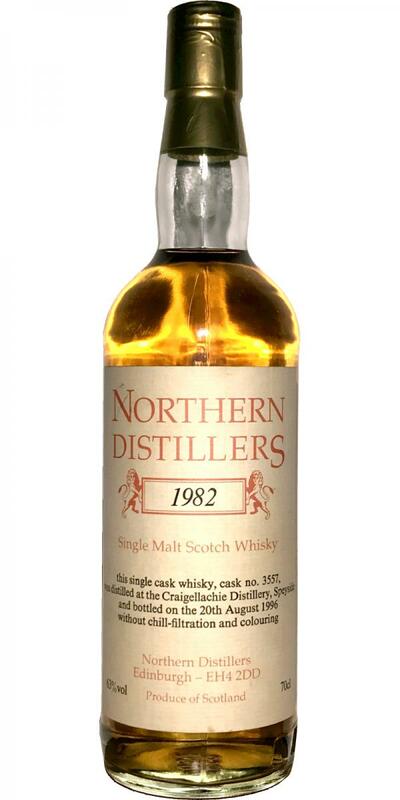 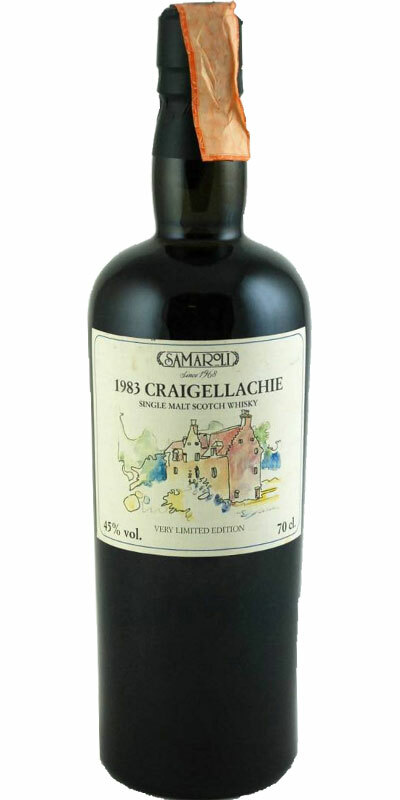 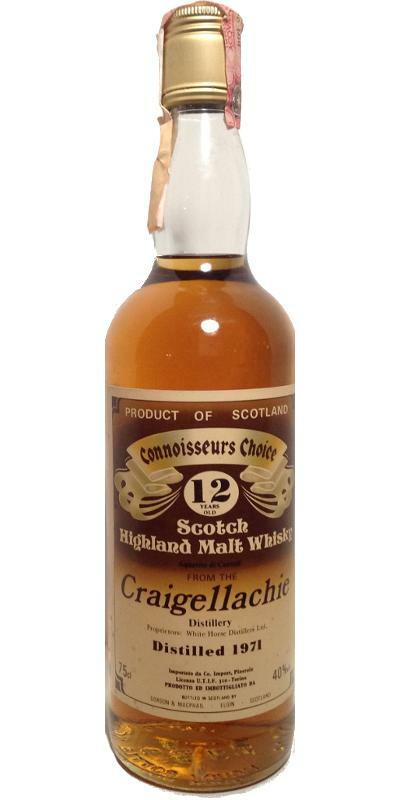 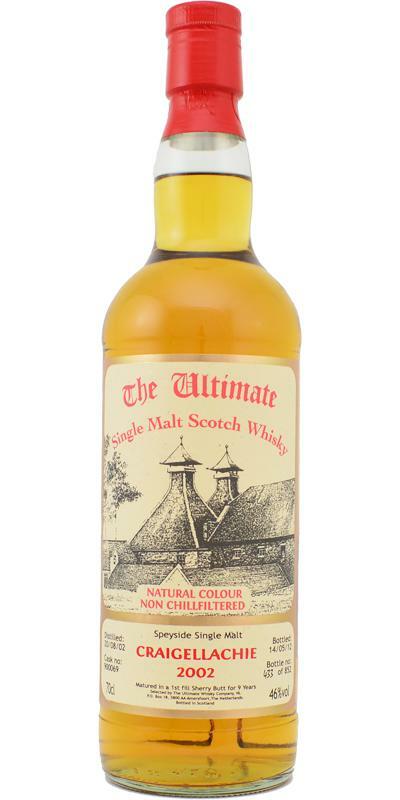 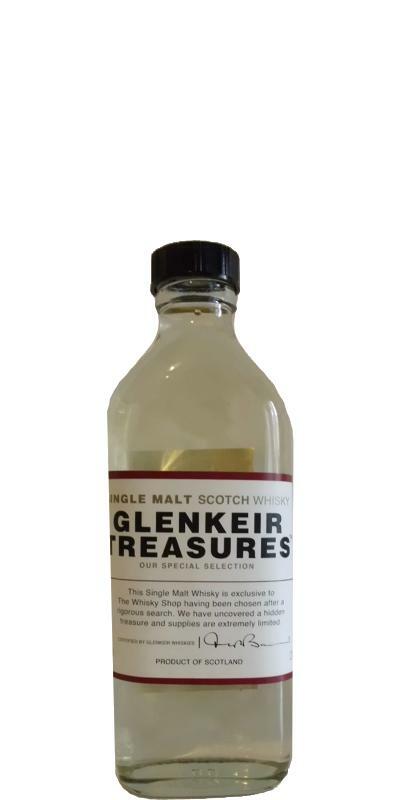 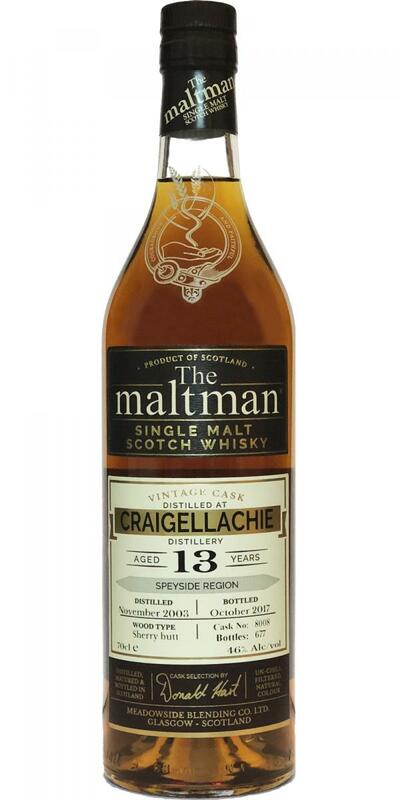 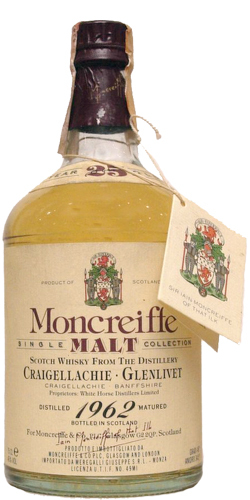 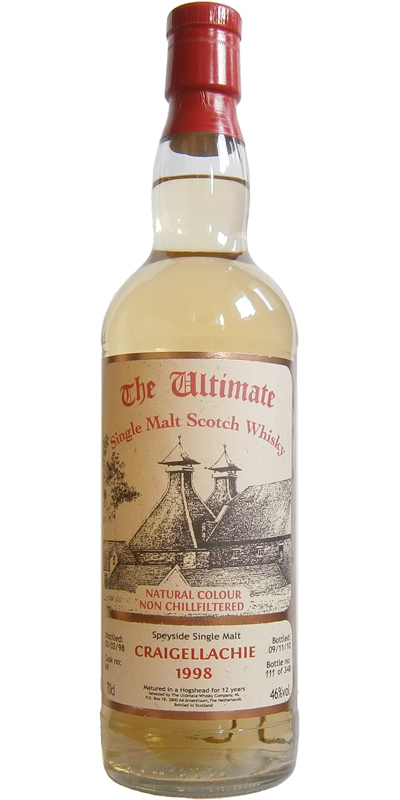 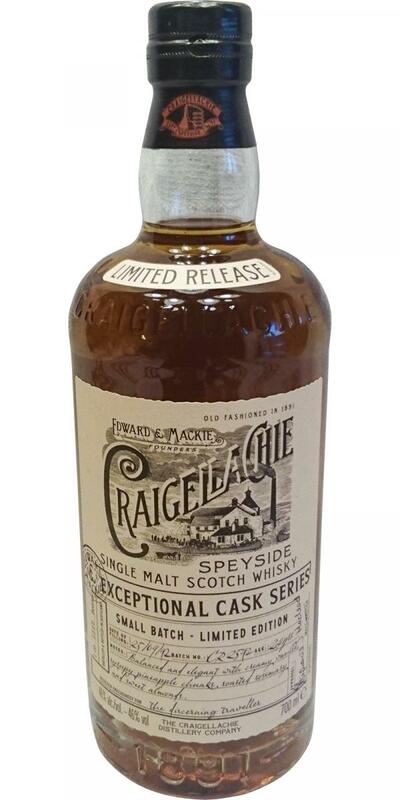 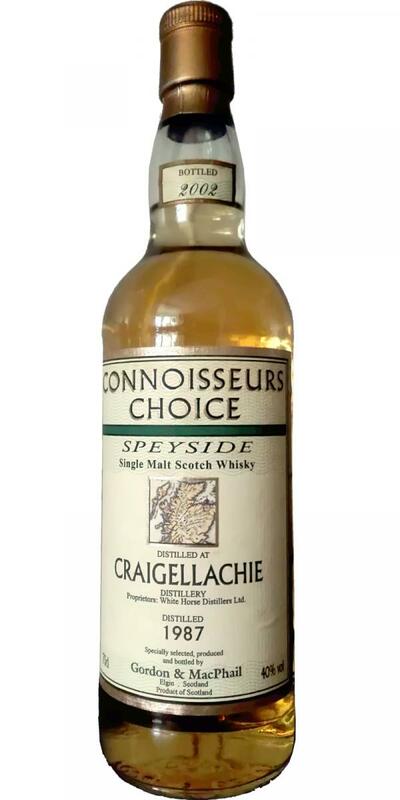 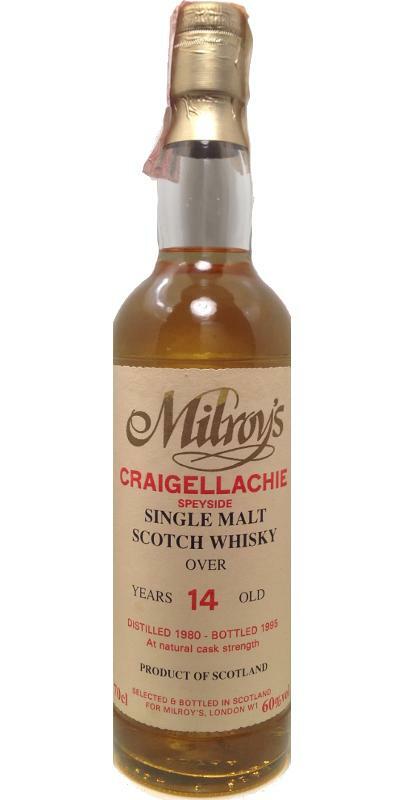 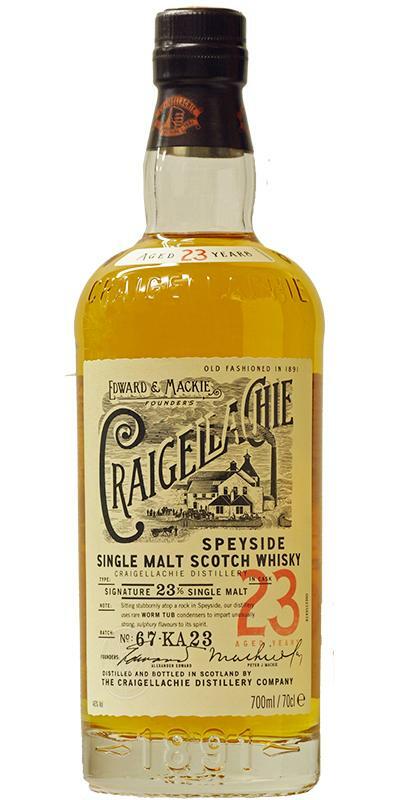 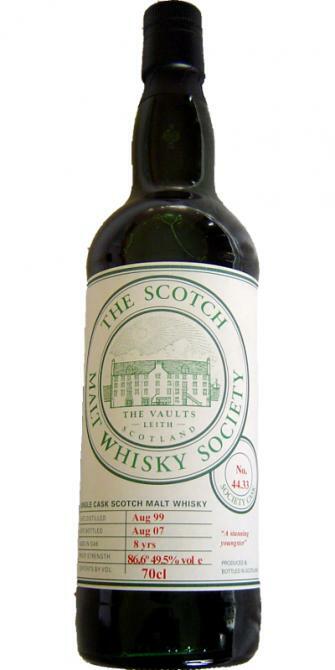 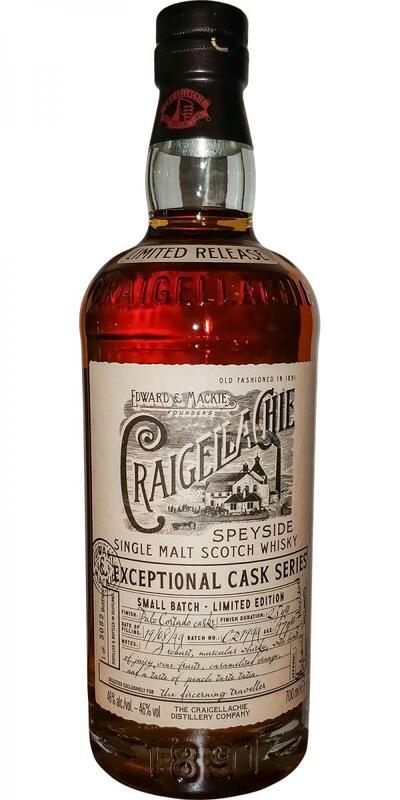 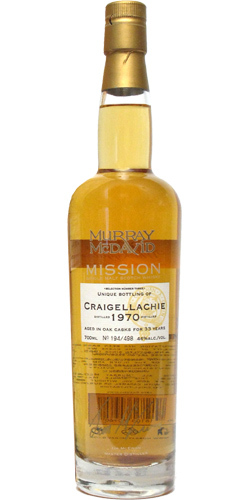 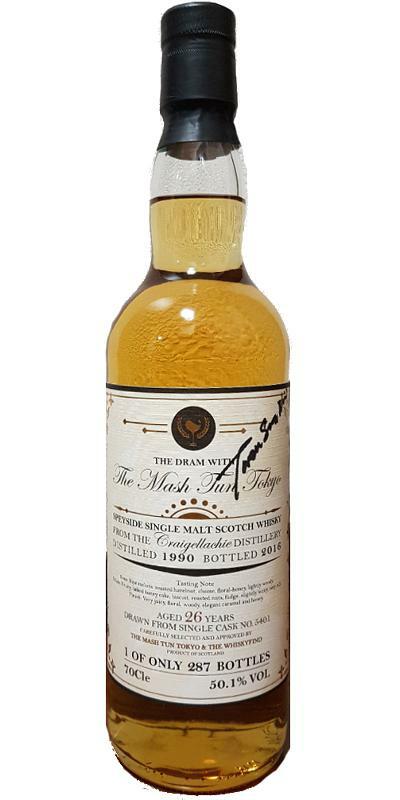 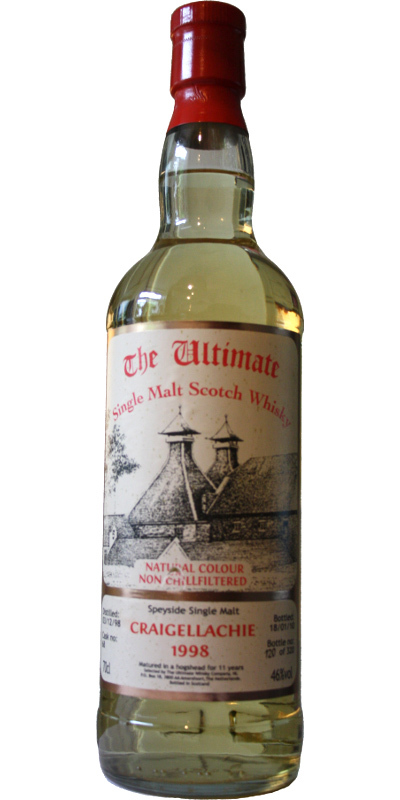 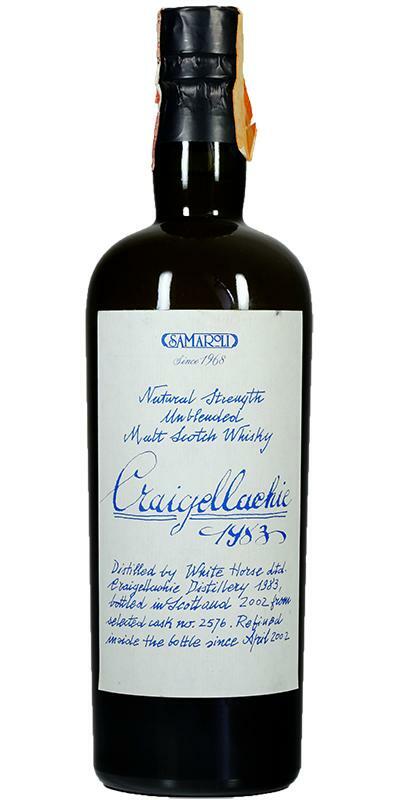 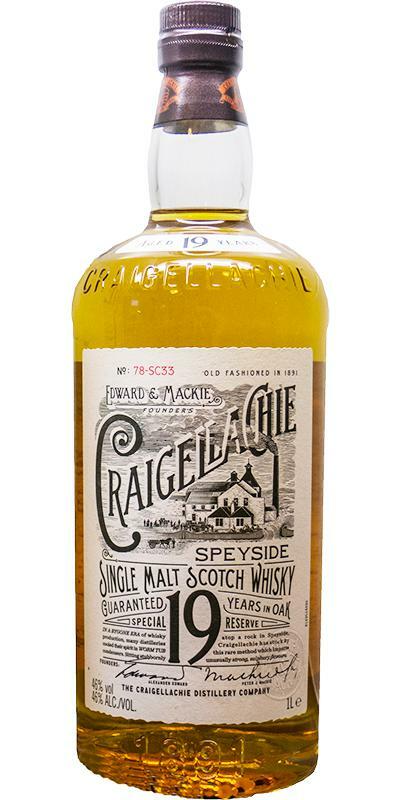 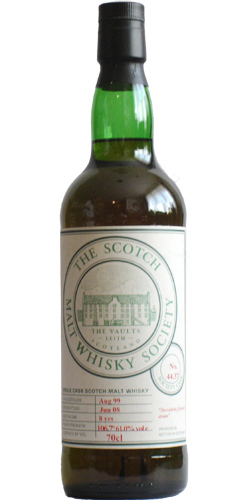 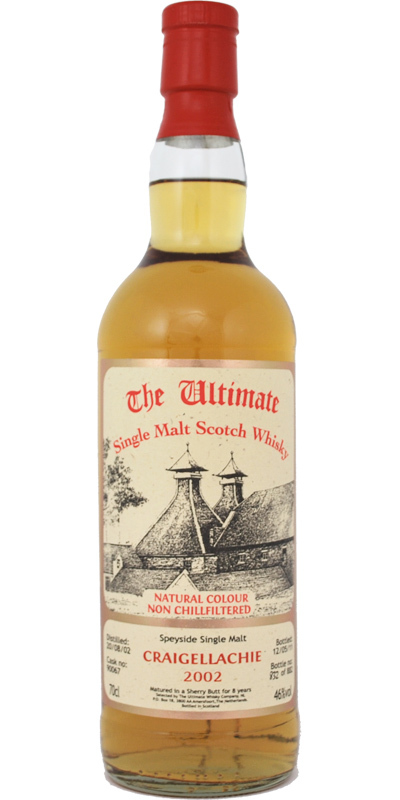 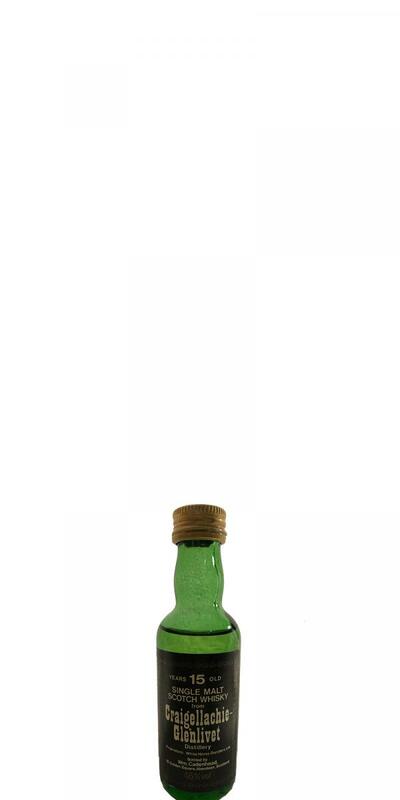 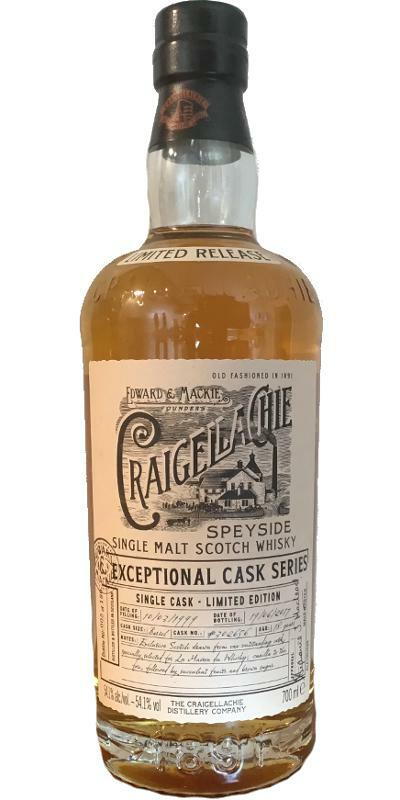 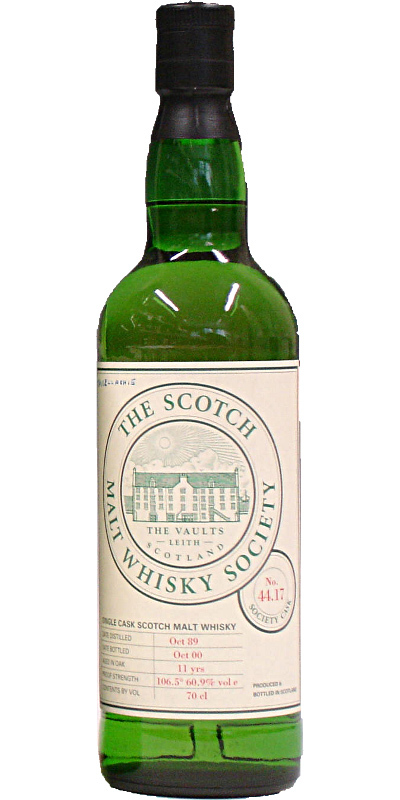 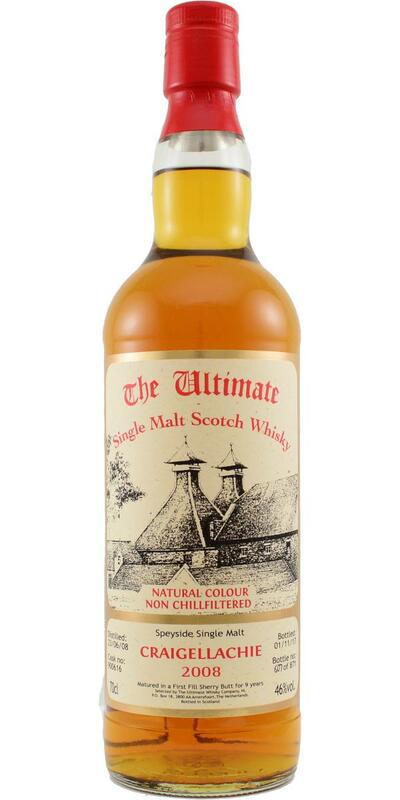 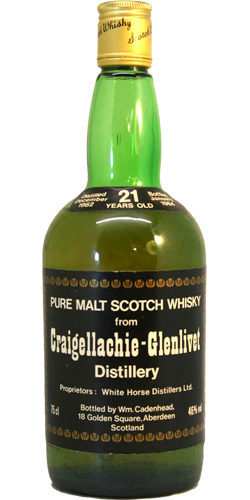 Craigellachie 1976 JM Fine Malt Selection - Miniature 12 65.5 % Vol. 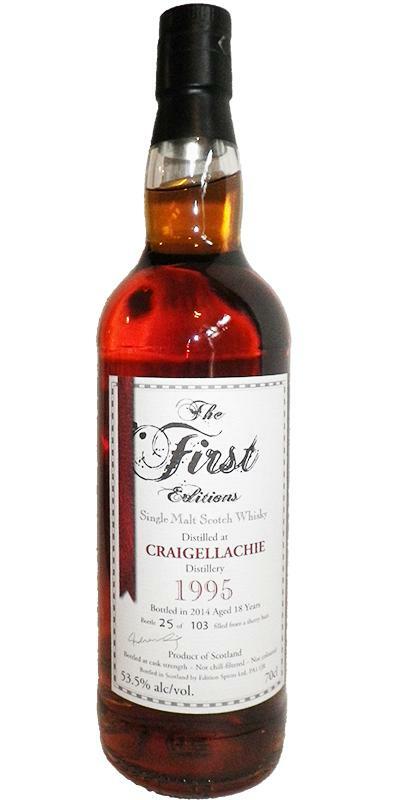 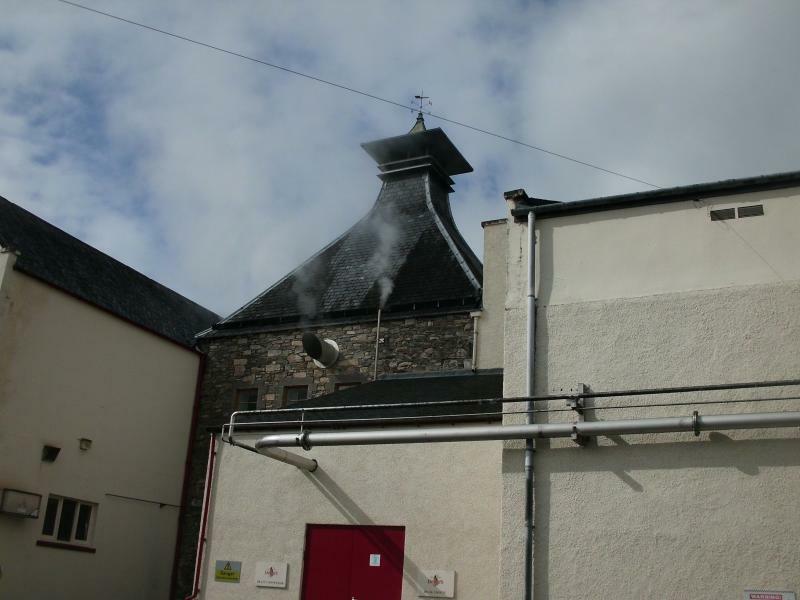 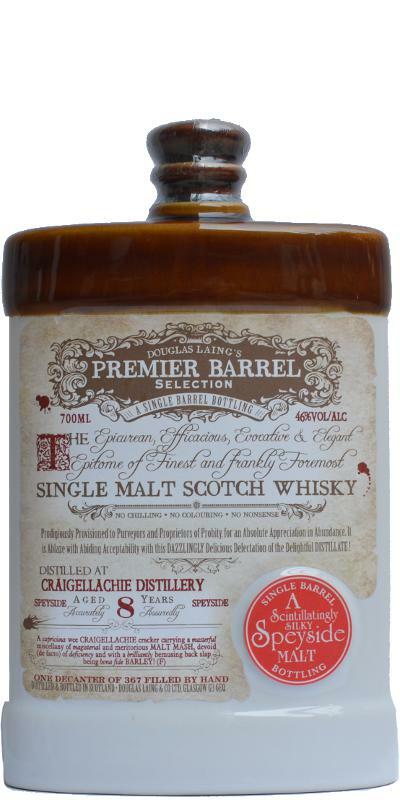 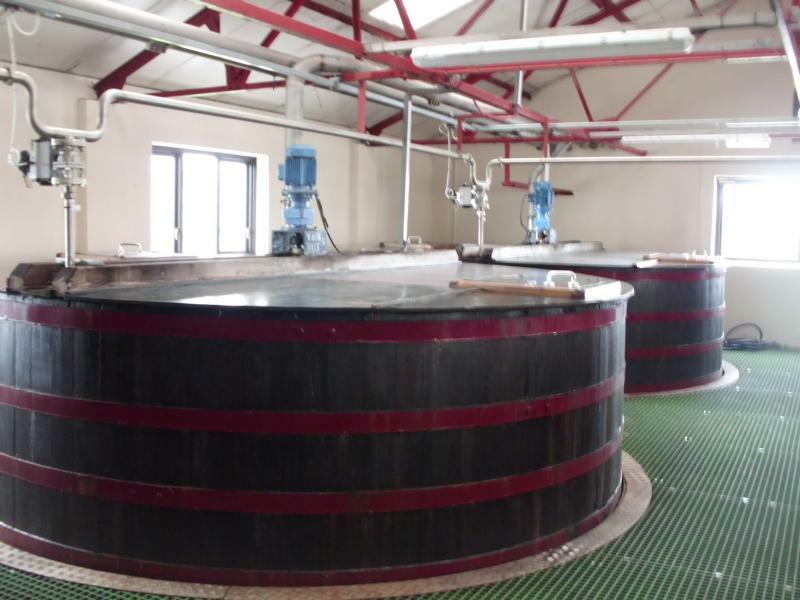 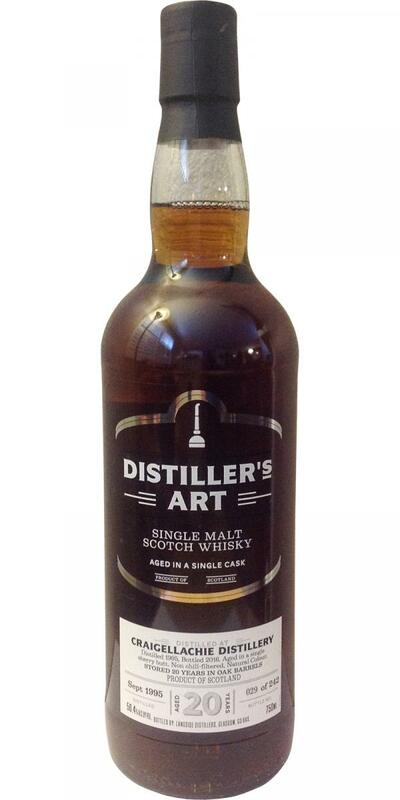 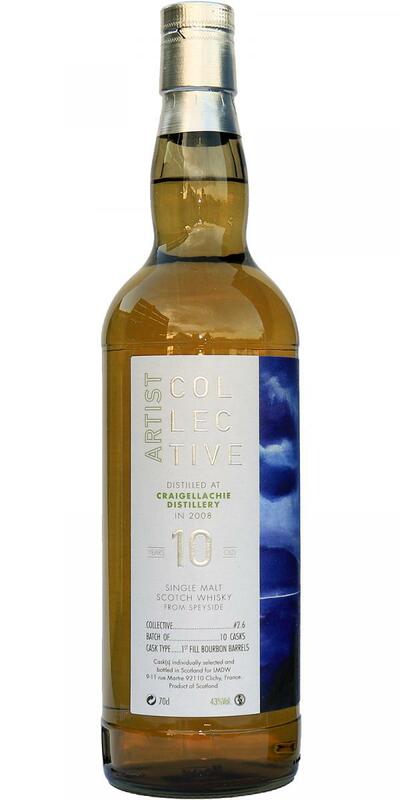 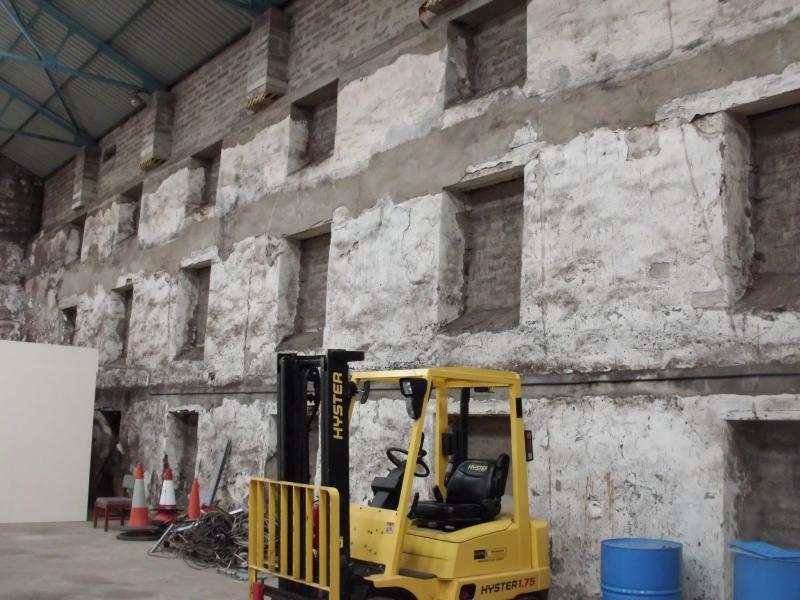 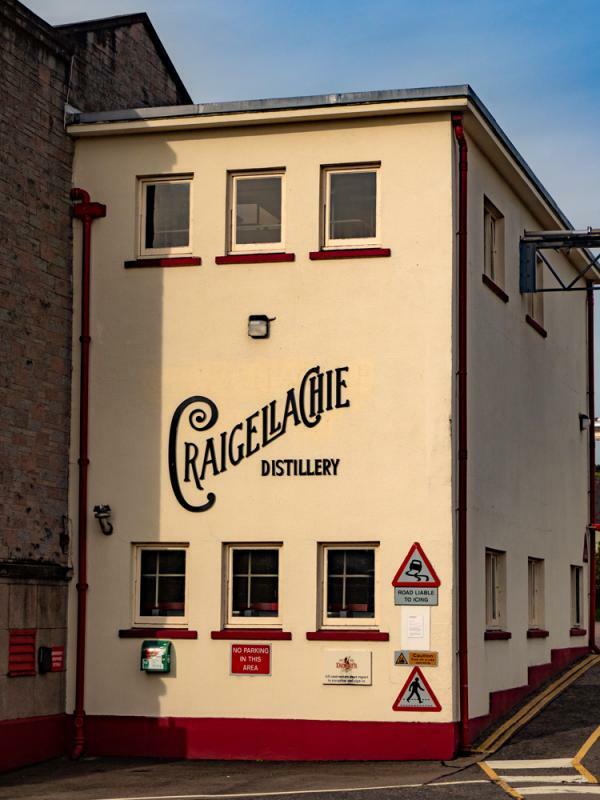 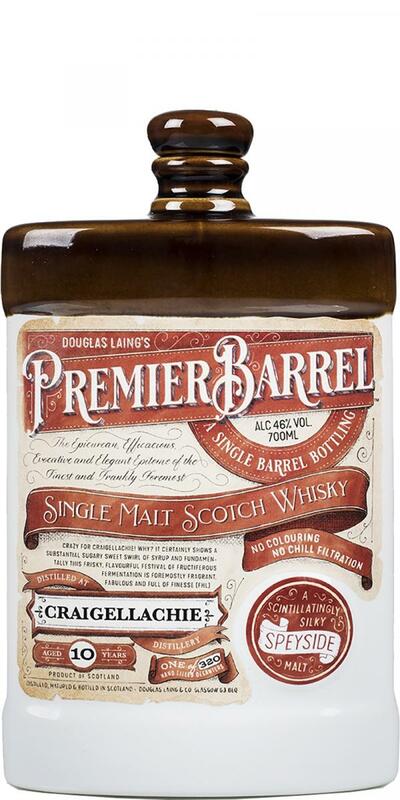 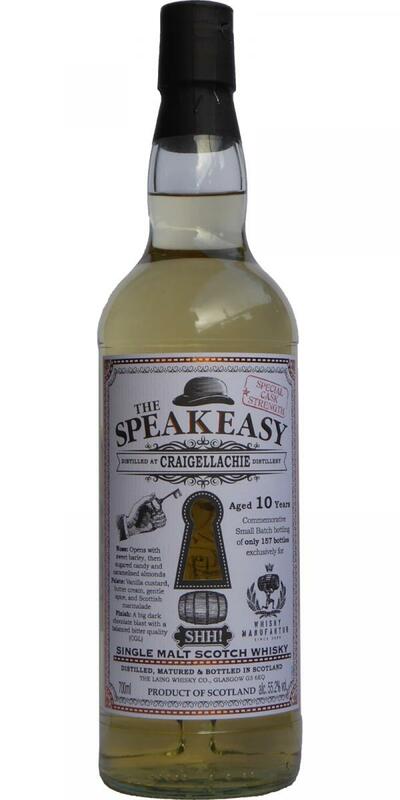 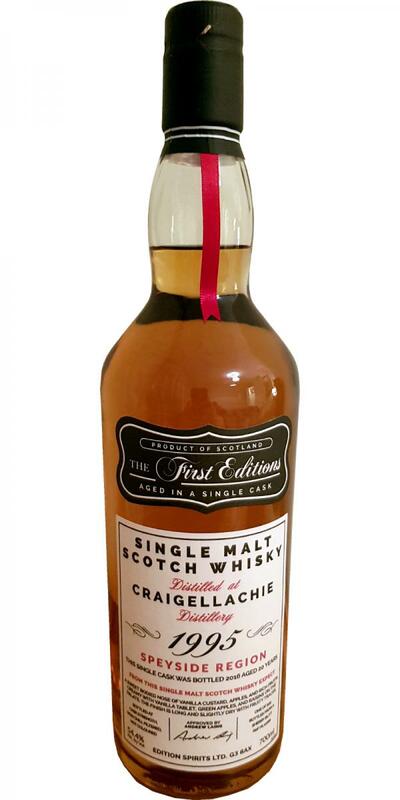 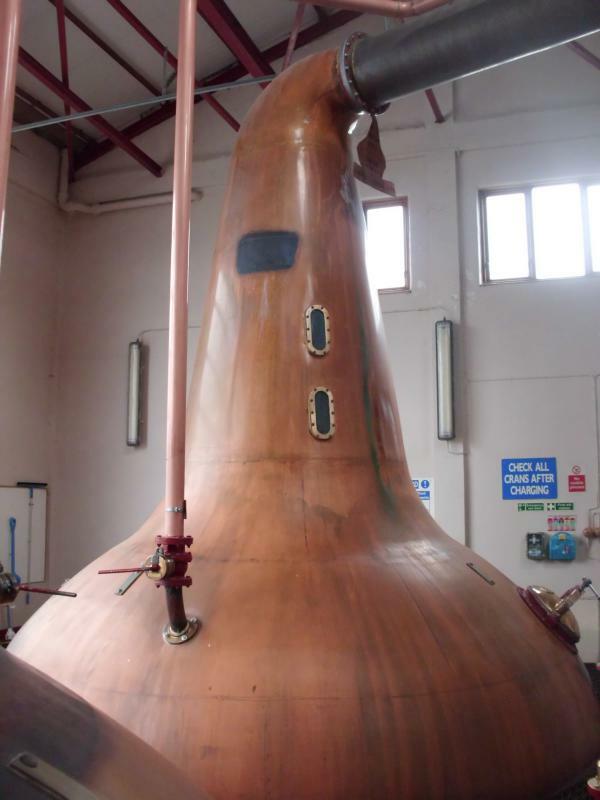 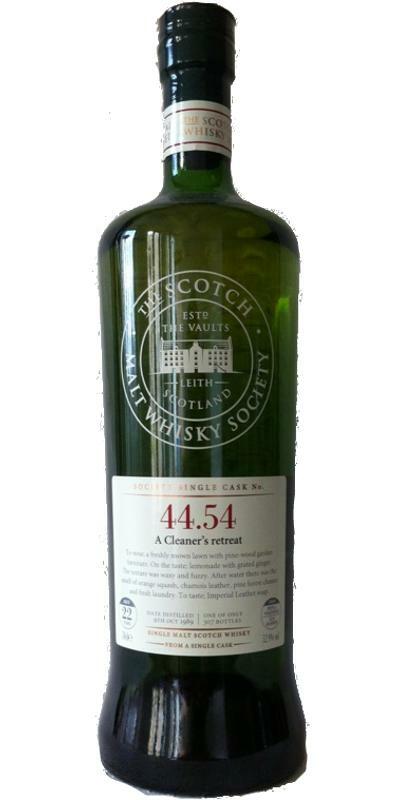 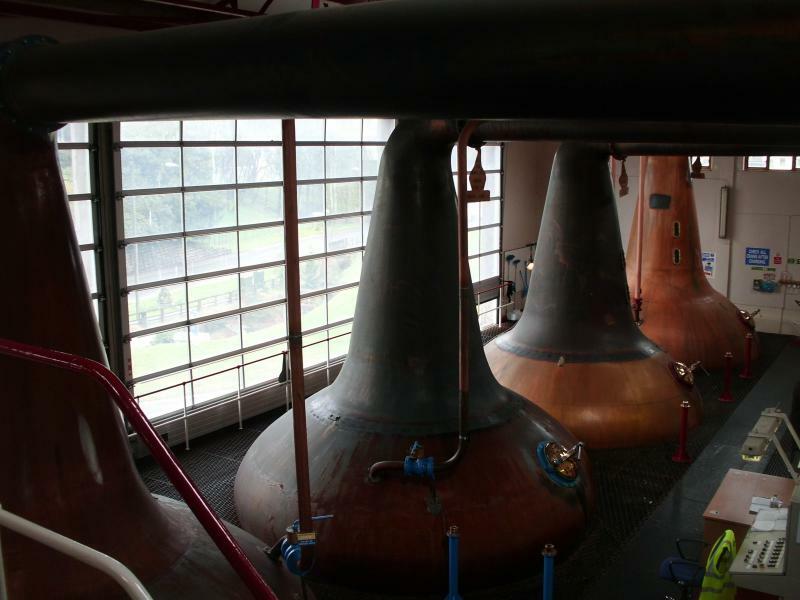 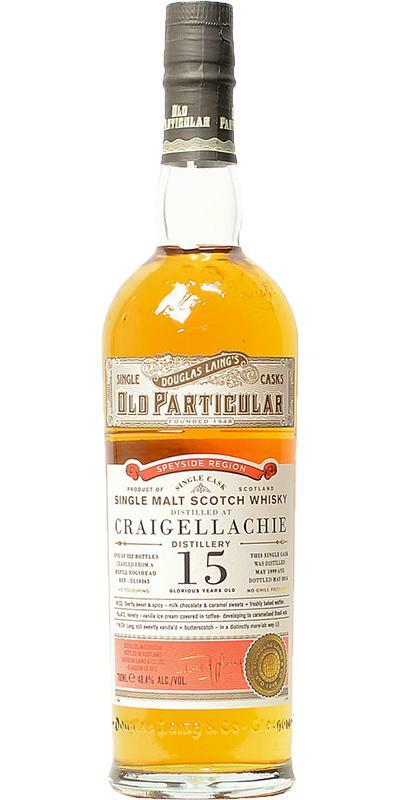 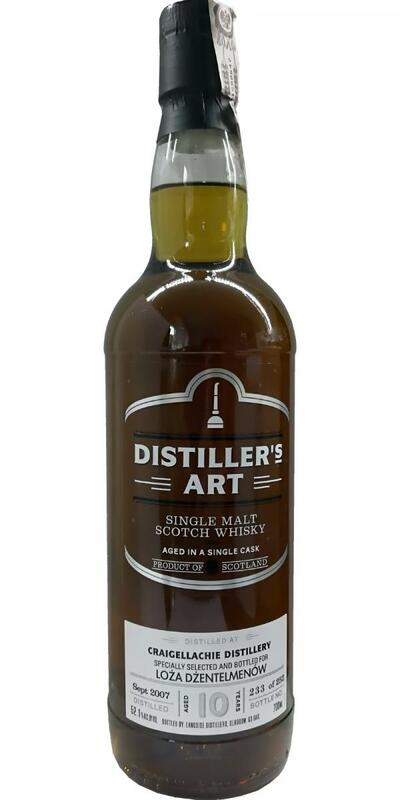 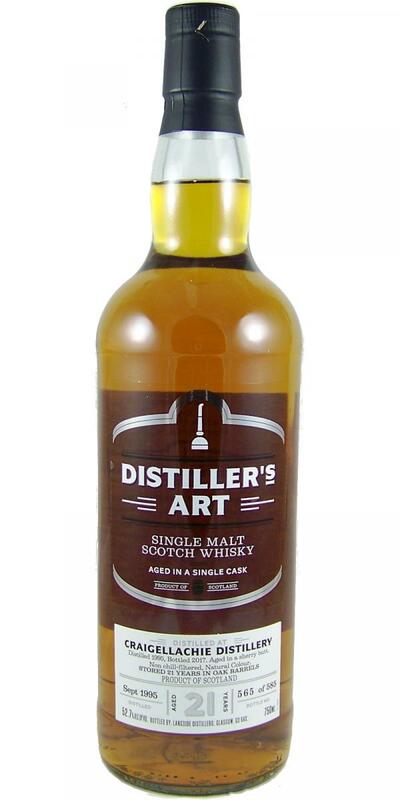 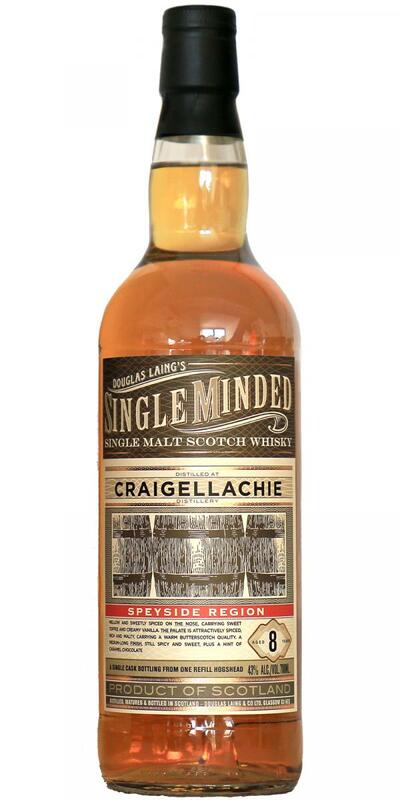 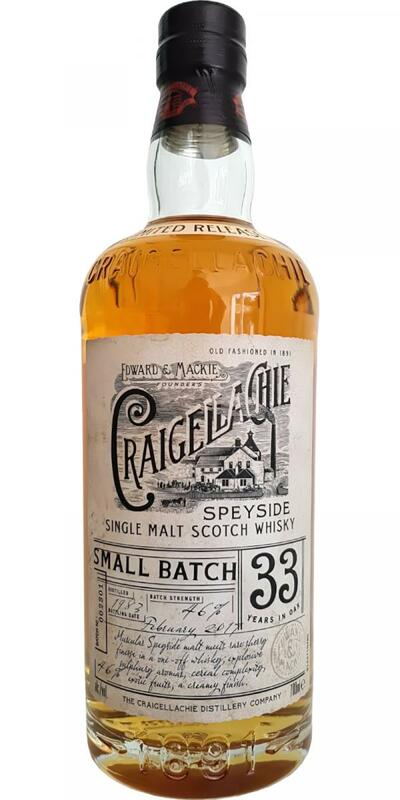 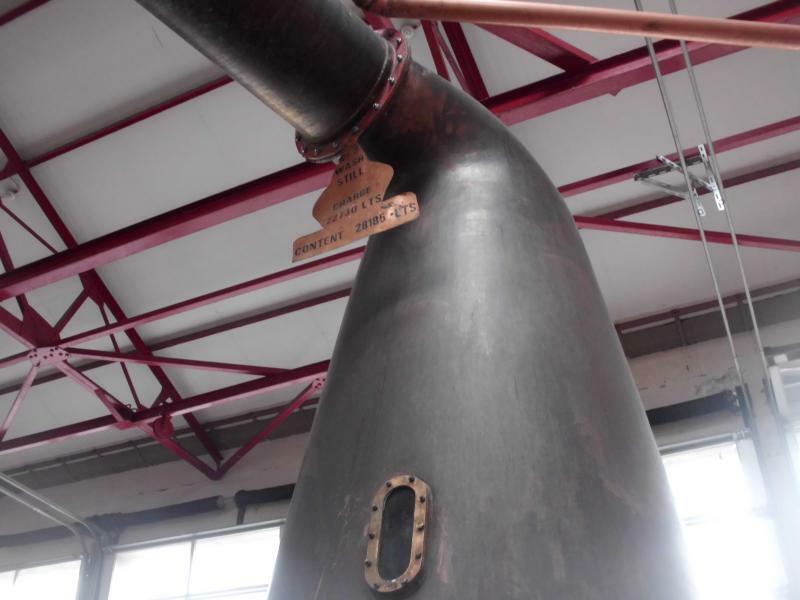 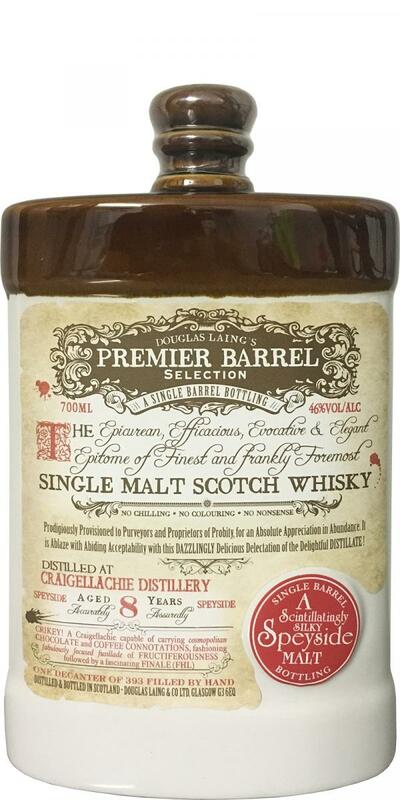 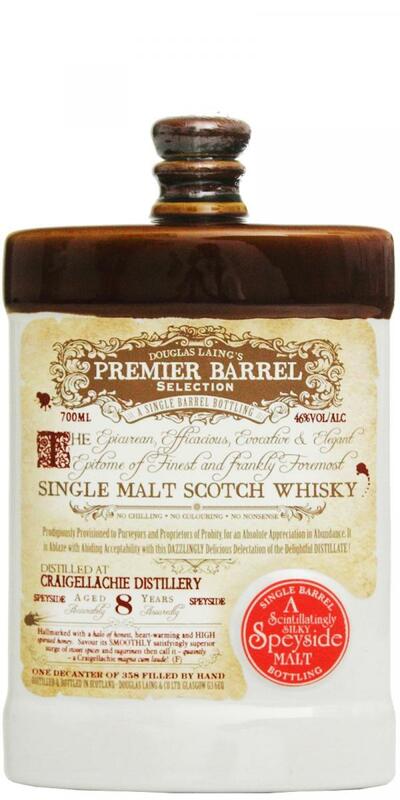 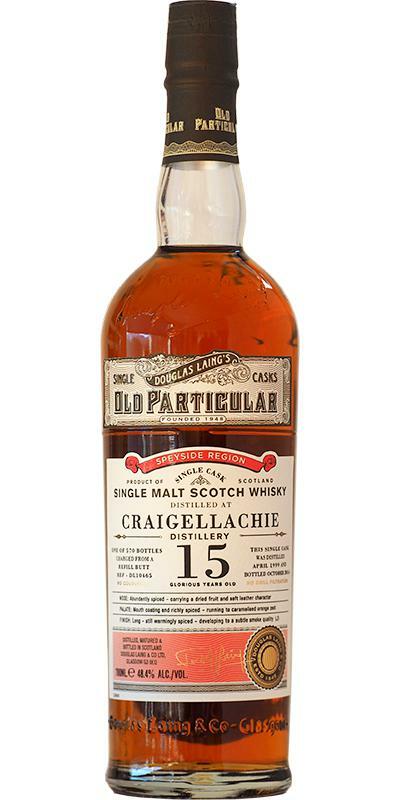 Craigellachie A Perfect Beginner Distiller's Art 48.0 % Vol. 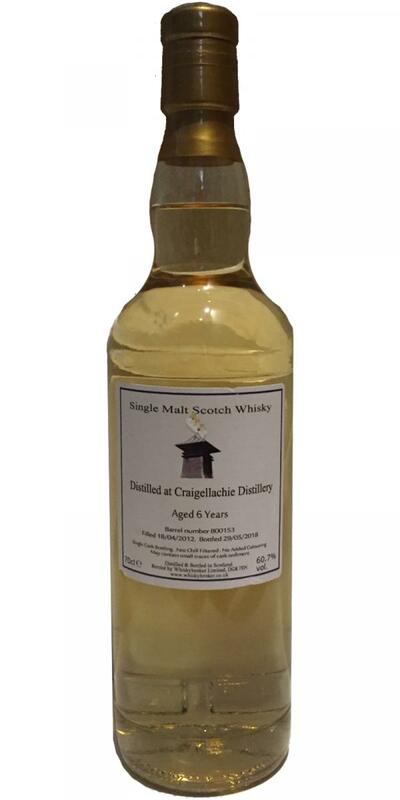 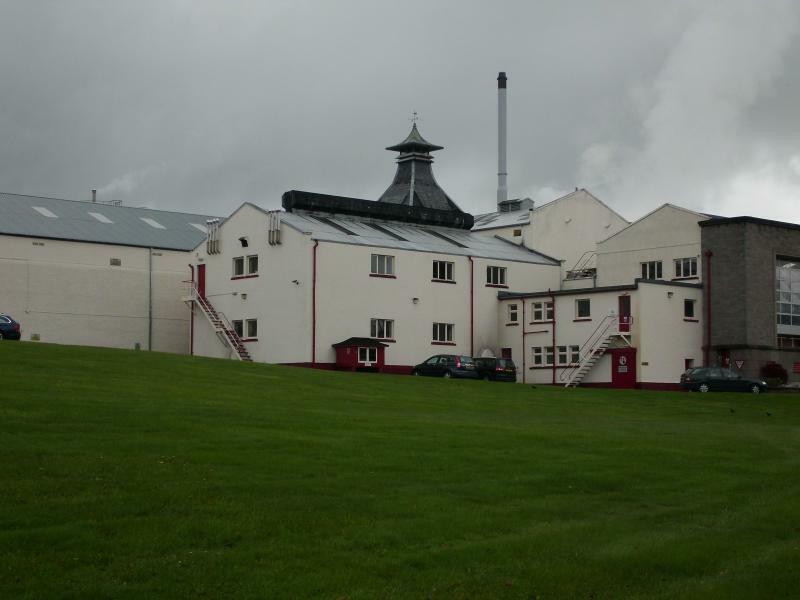 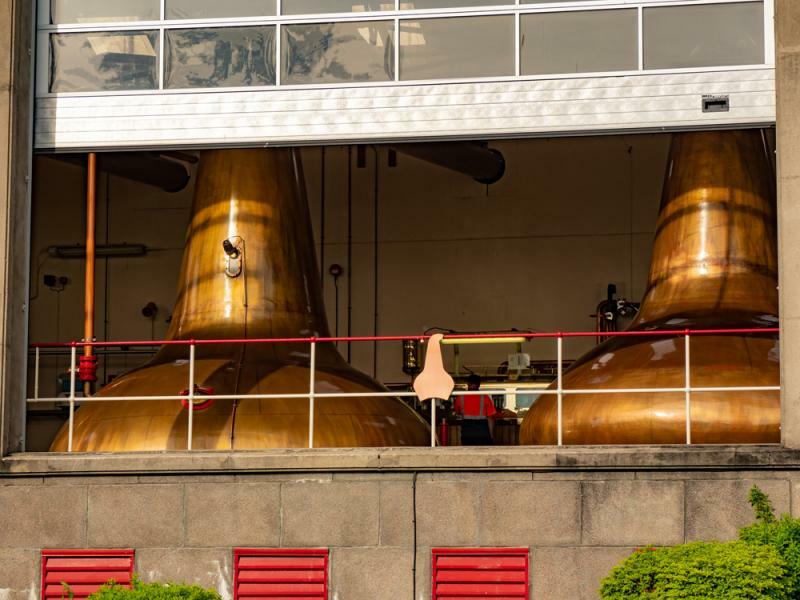 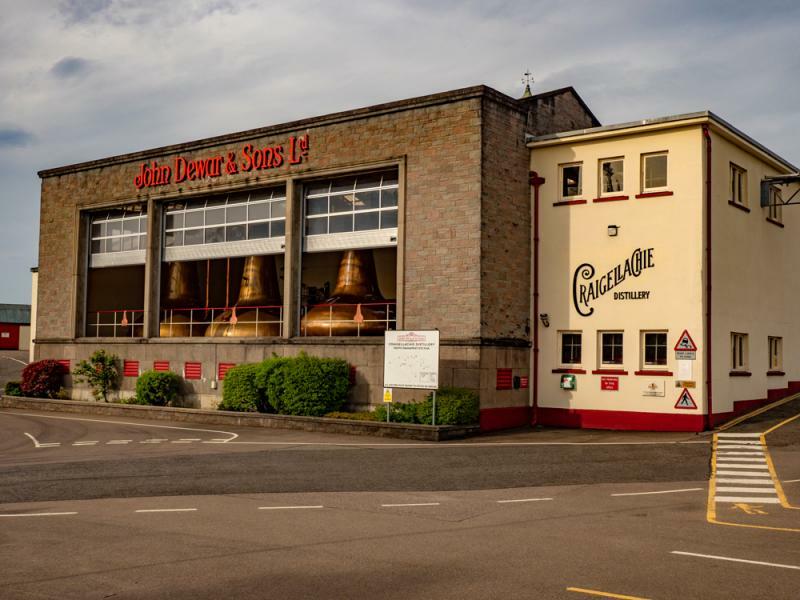 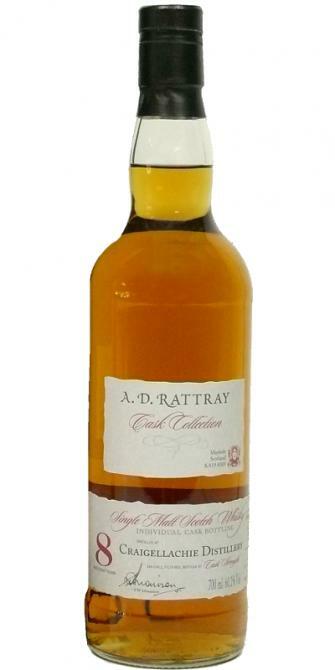 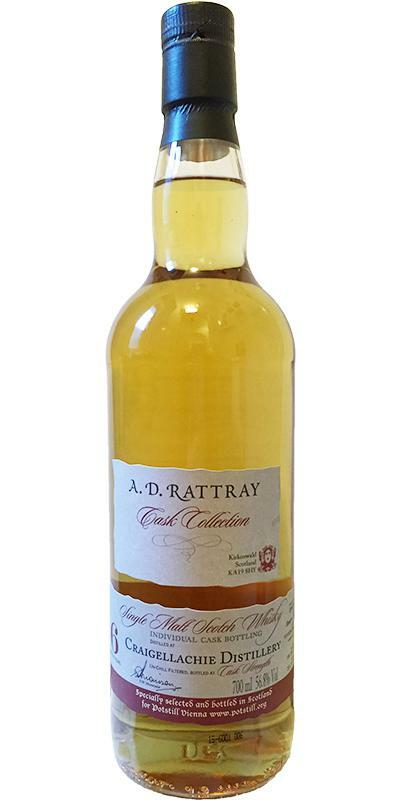 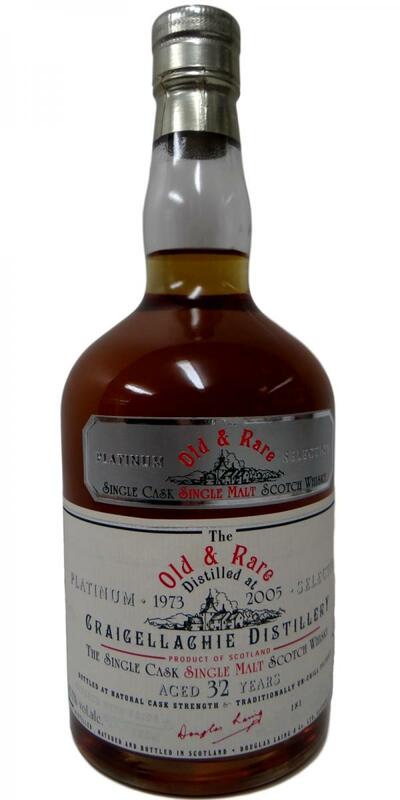 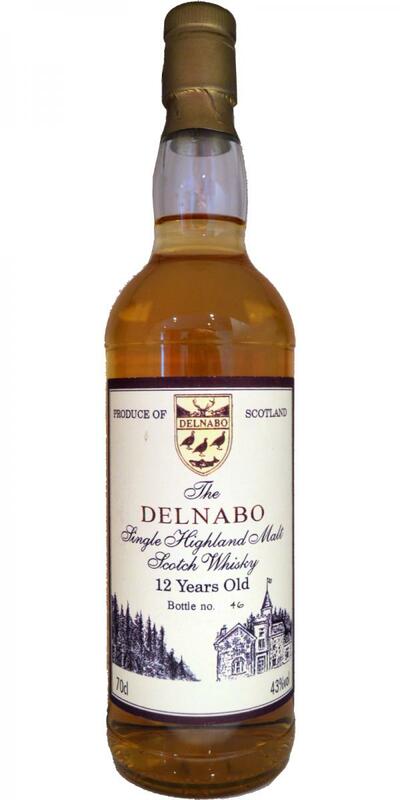 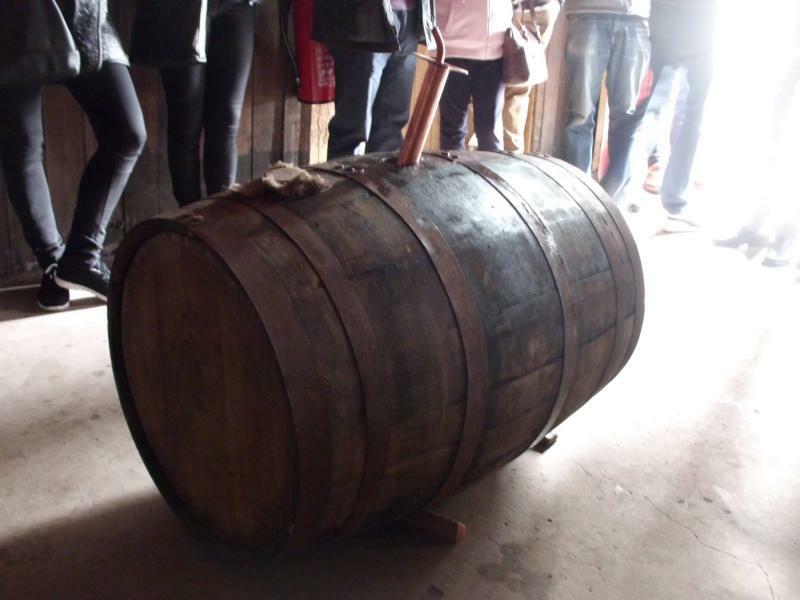 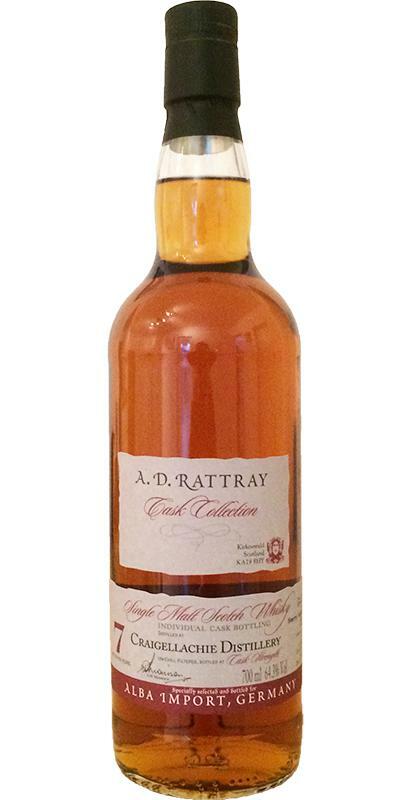 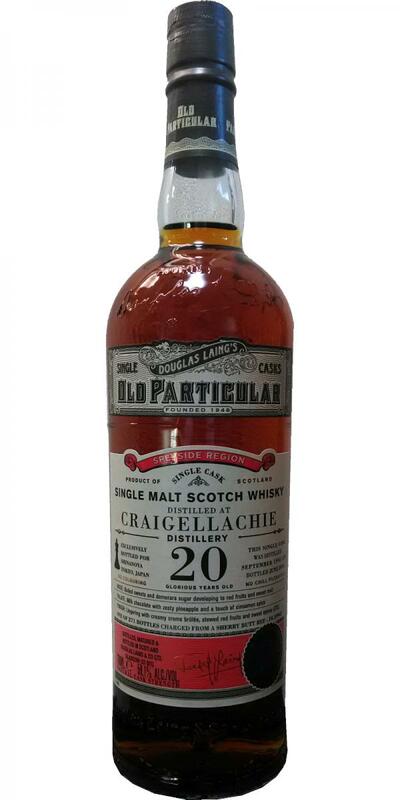 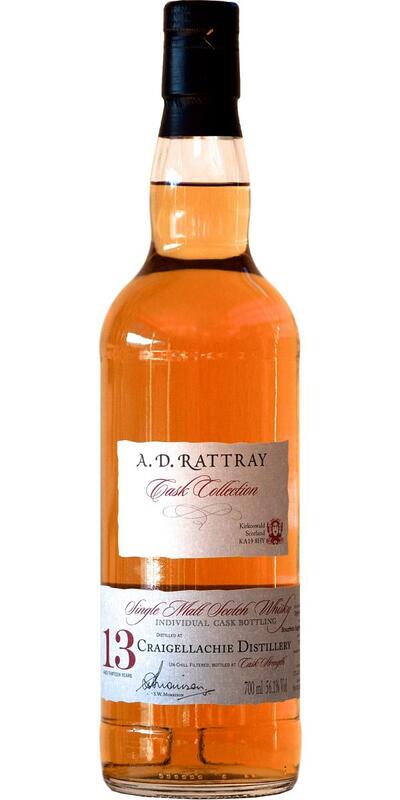 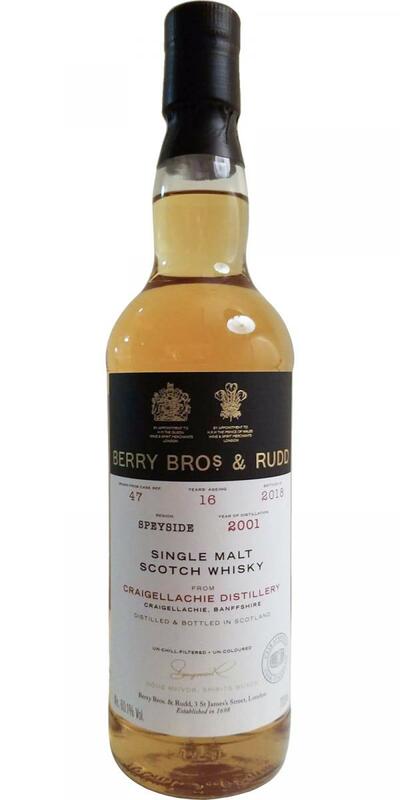 Craigellachie 20-year-old RWD Duthie's 20 46.0 % Vol. 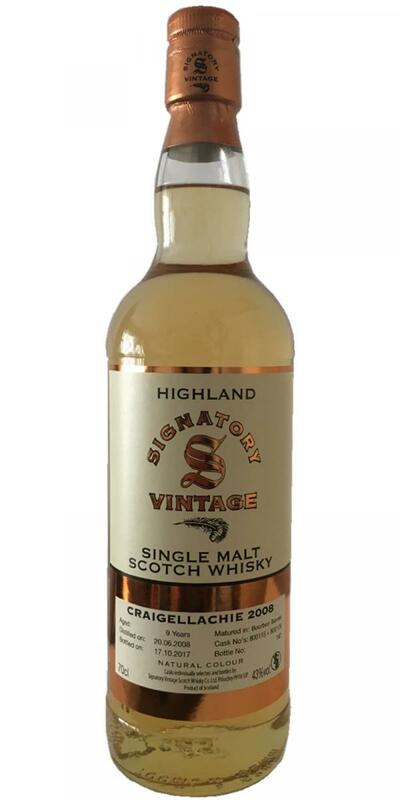 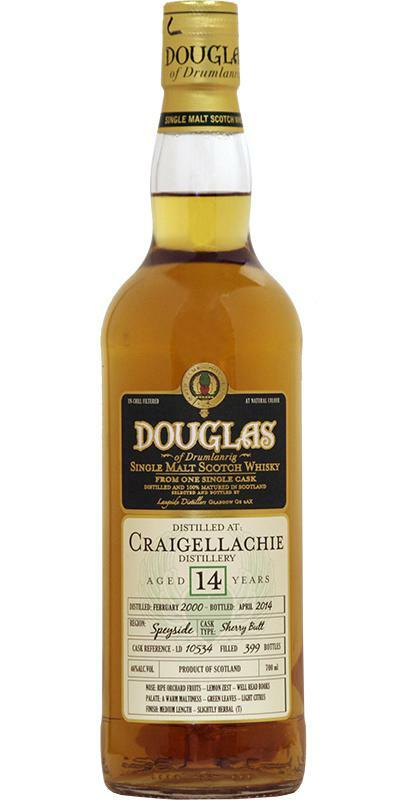 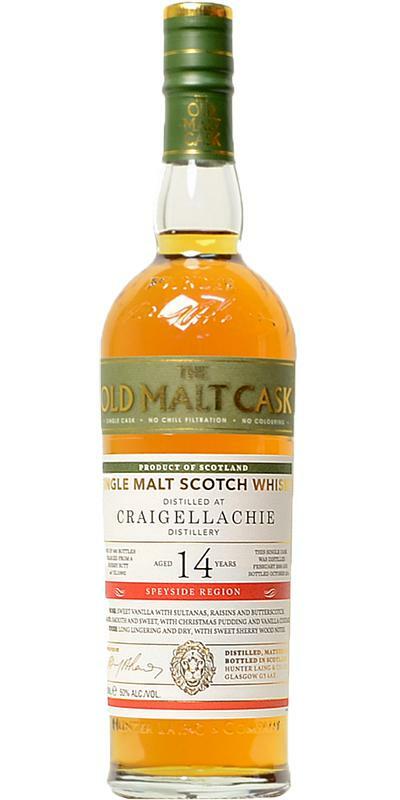 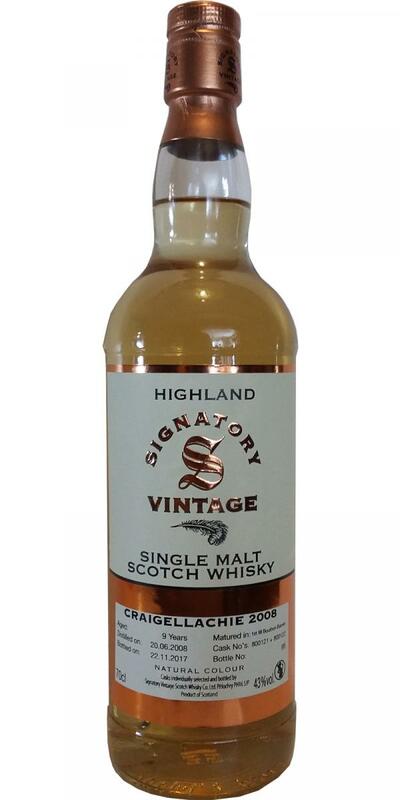 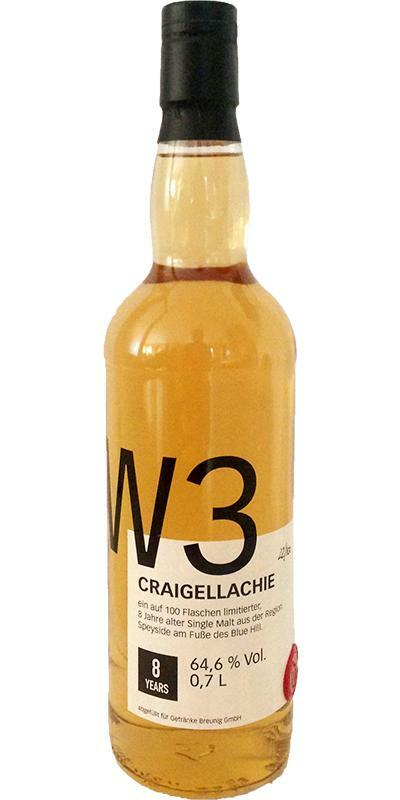 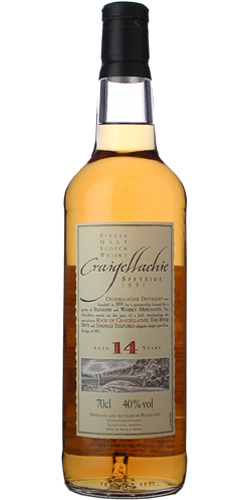 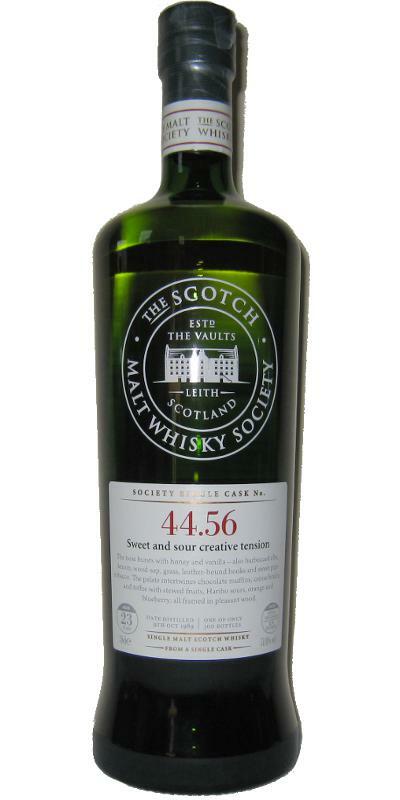 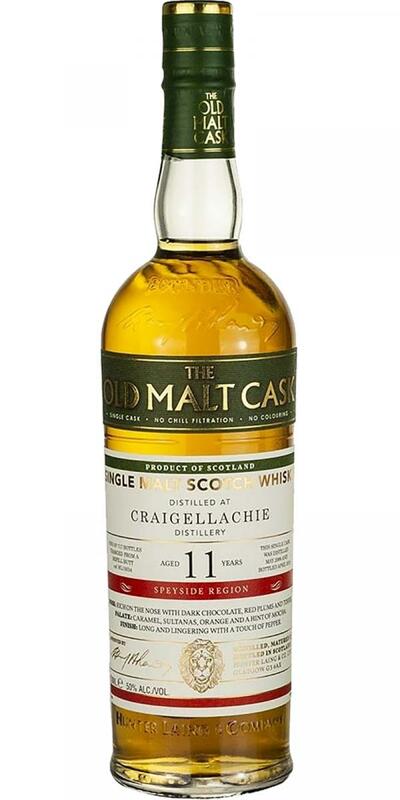 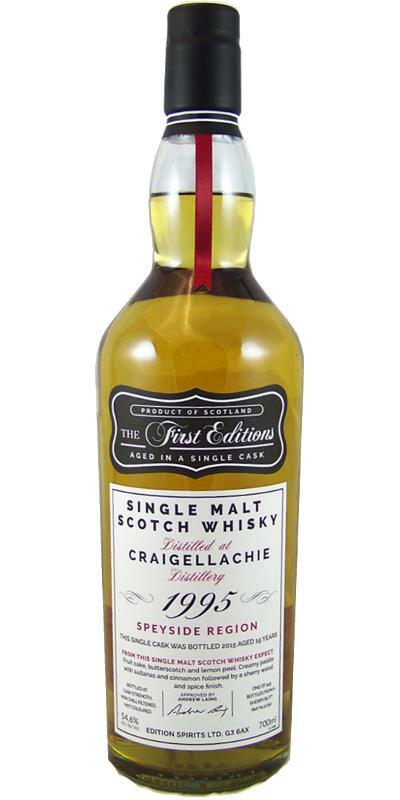 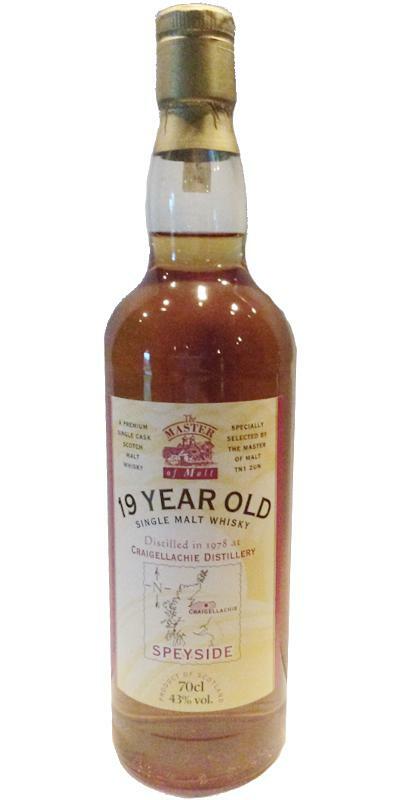 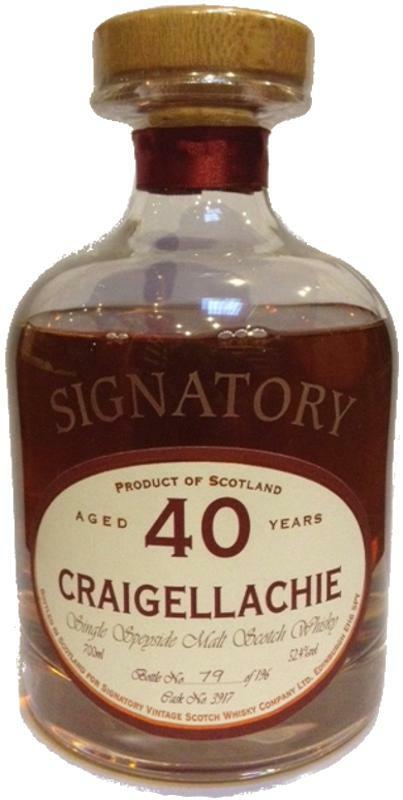 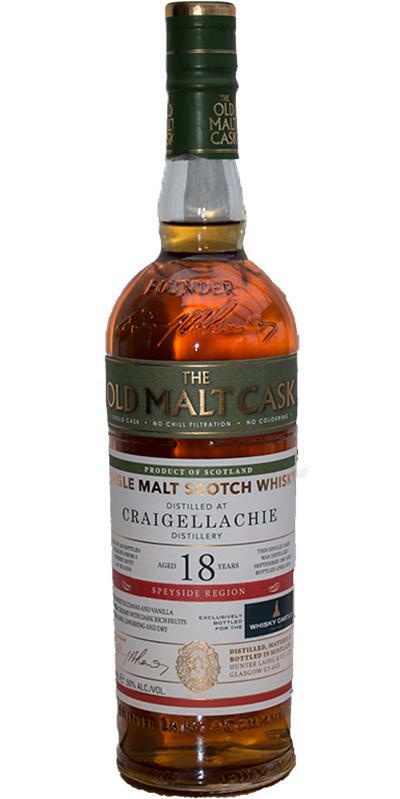 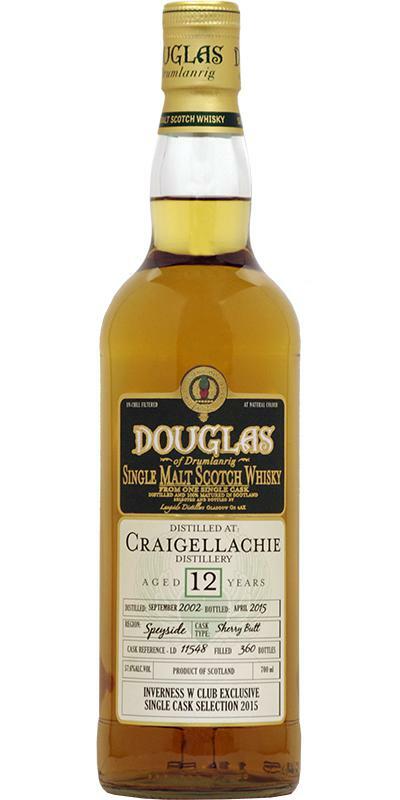 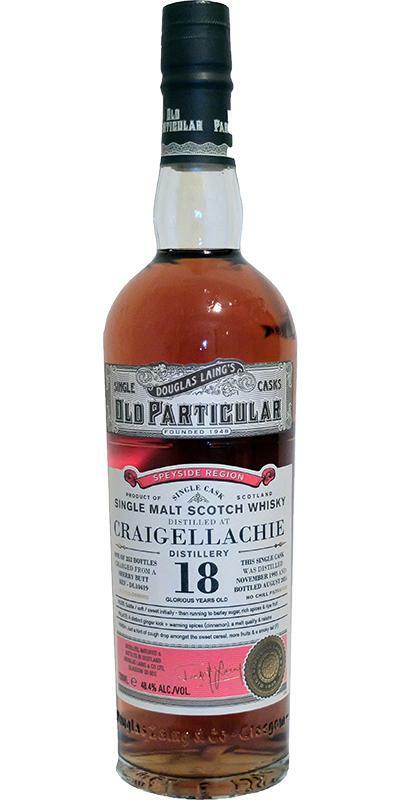 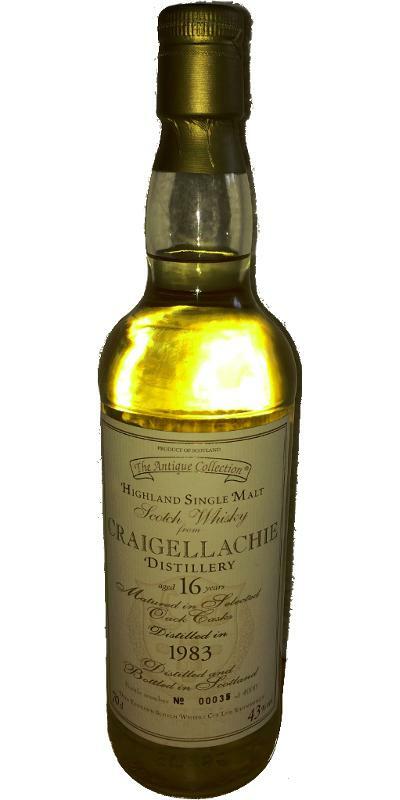 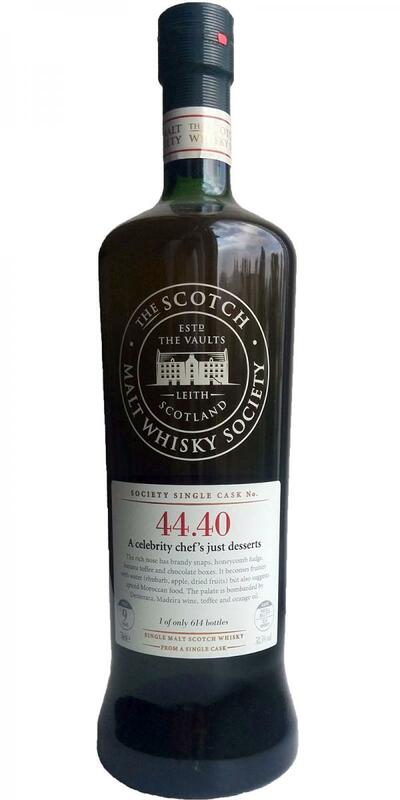 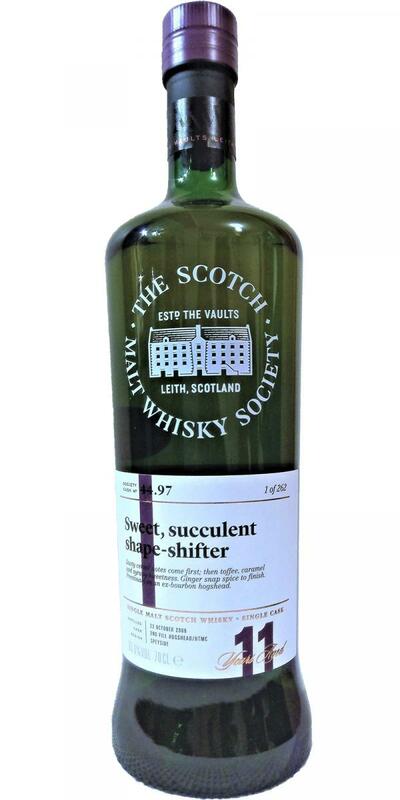 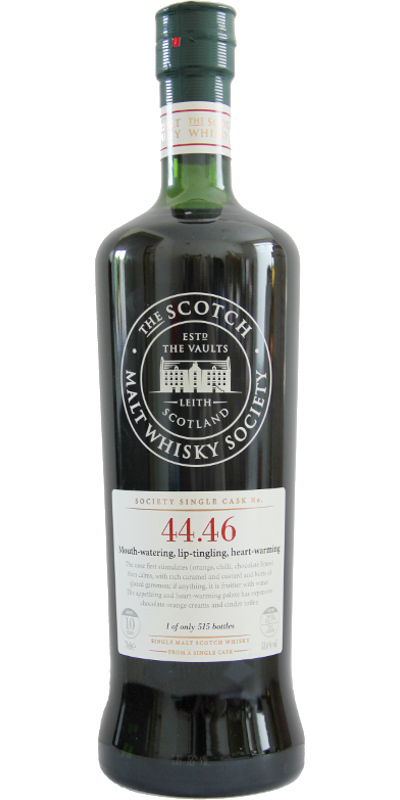 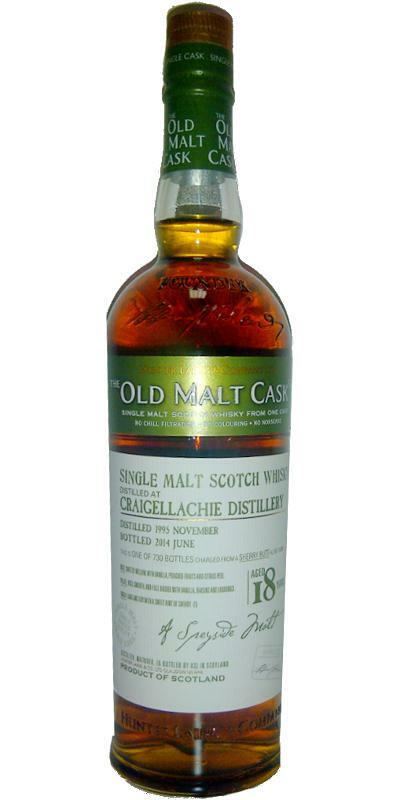 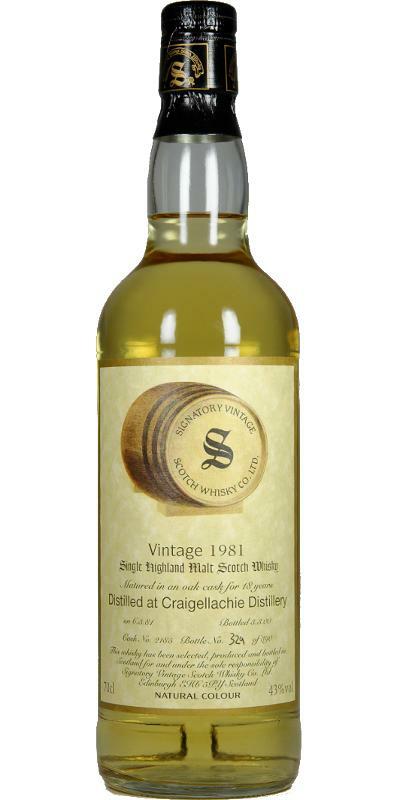 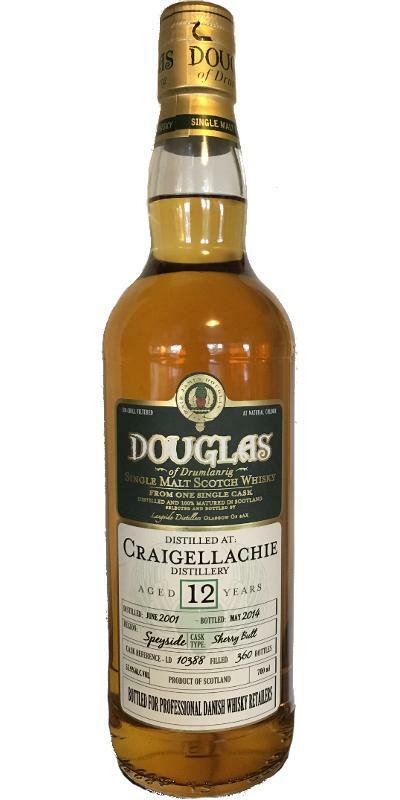 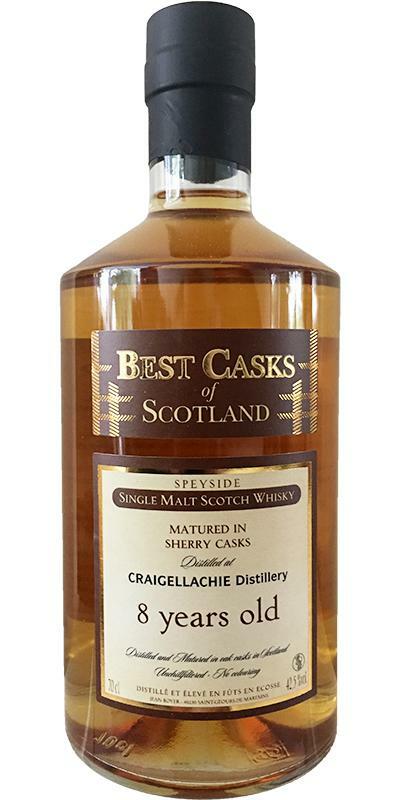 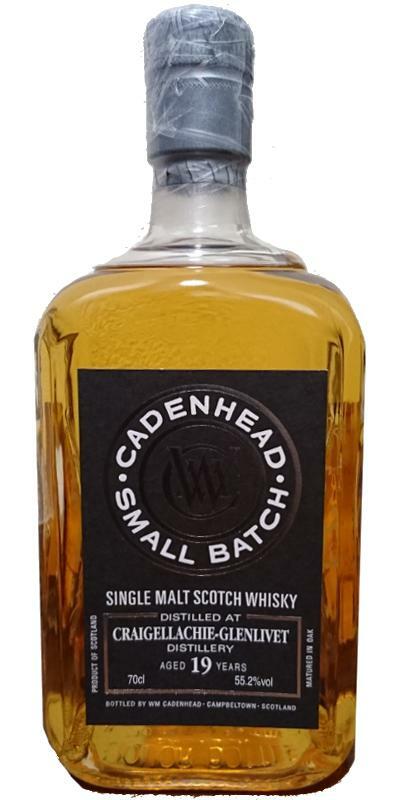 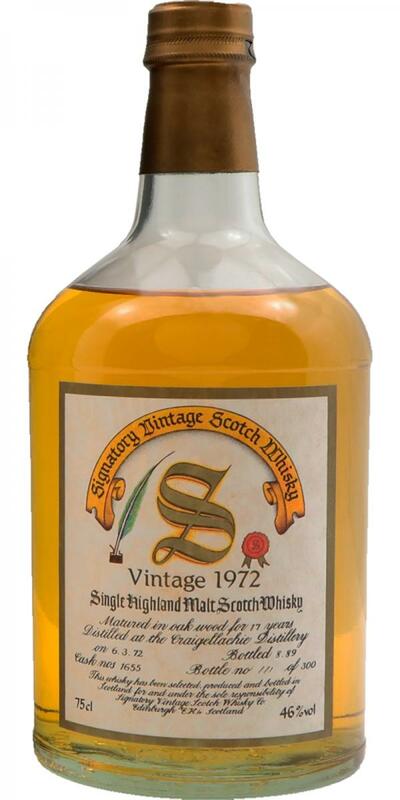 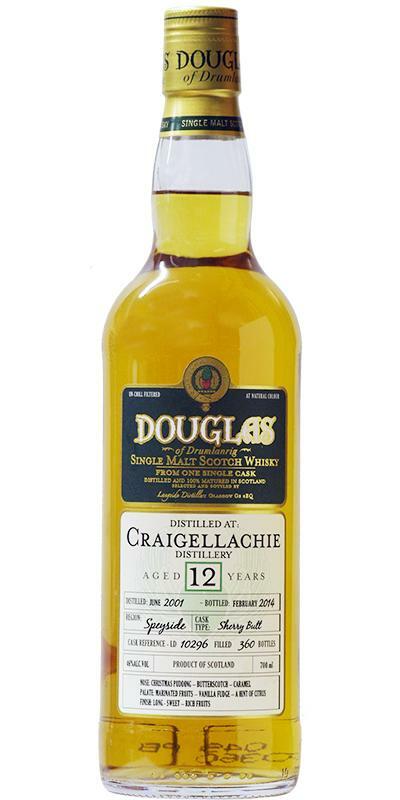 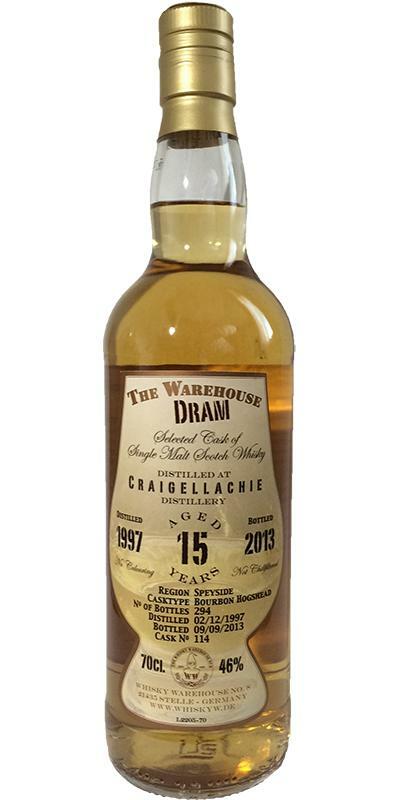 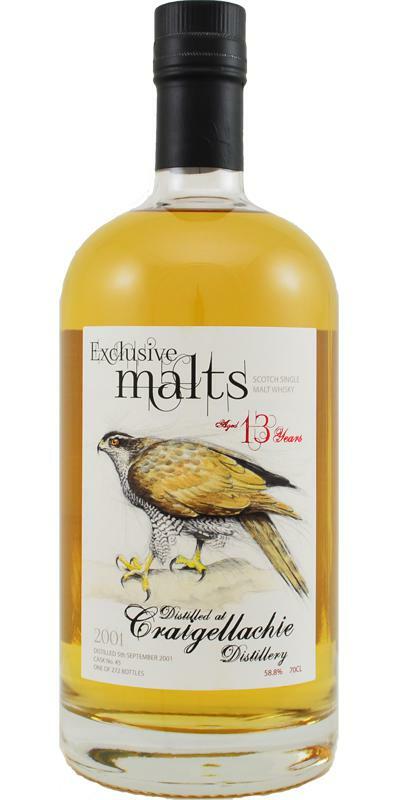 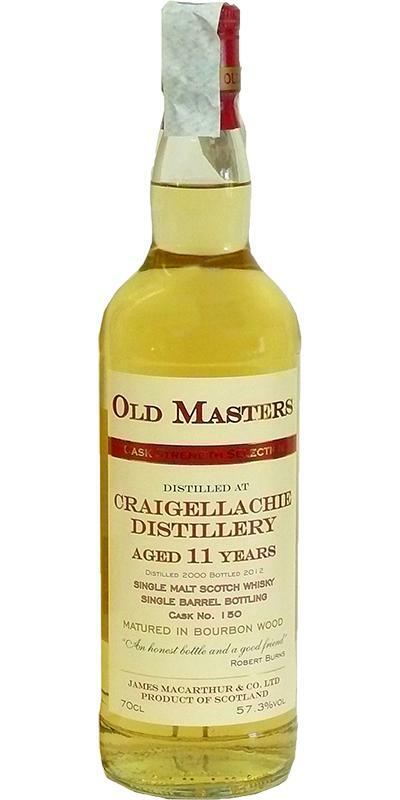 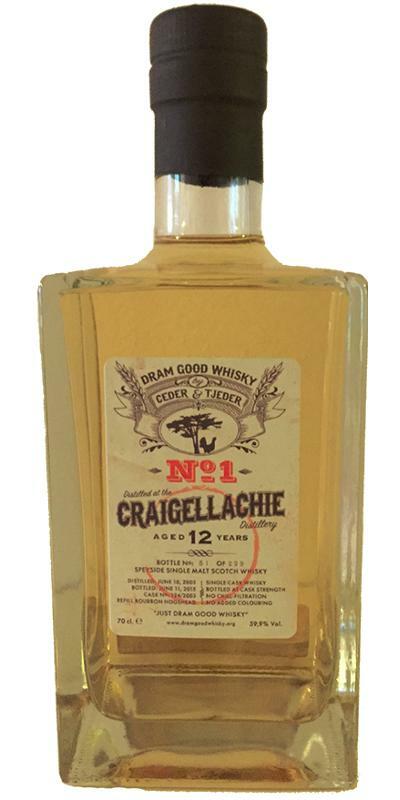 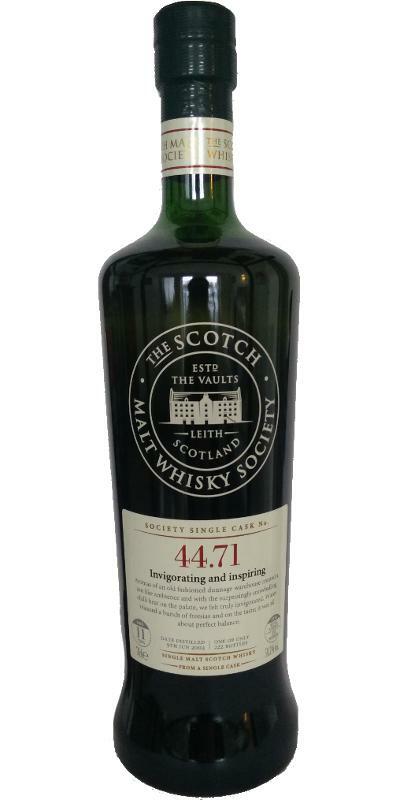 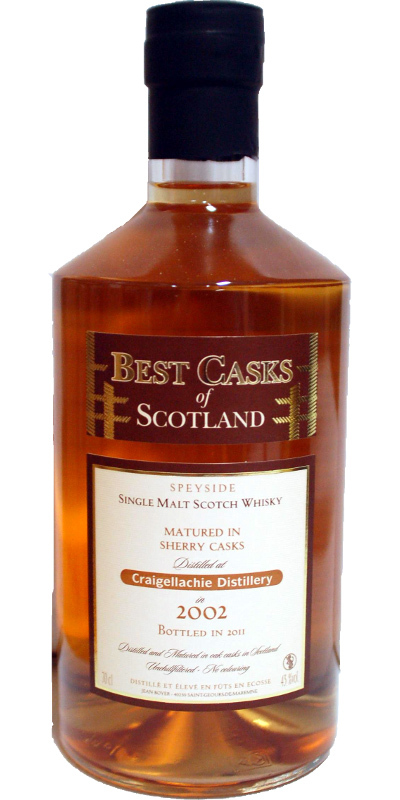 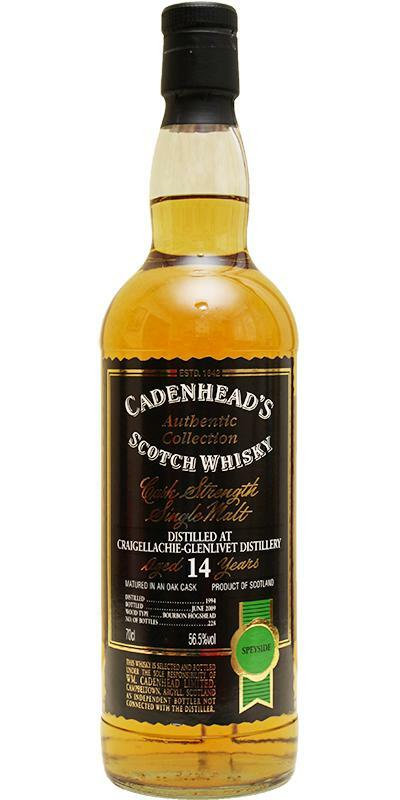 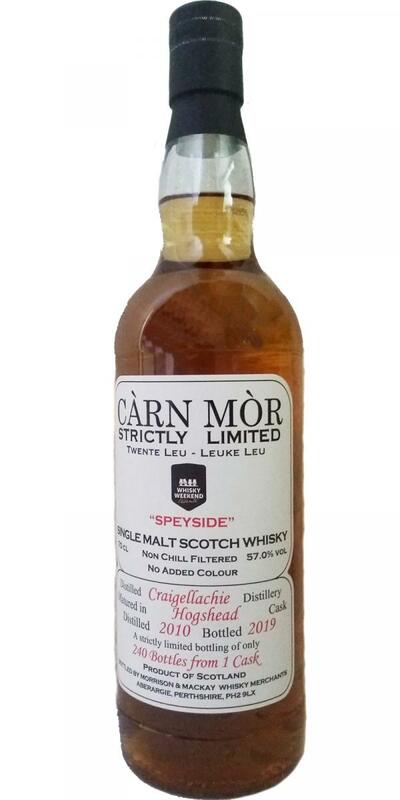 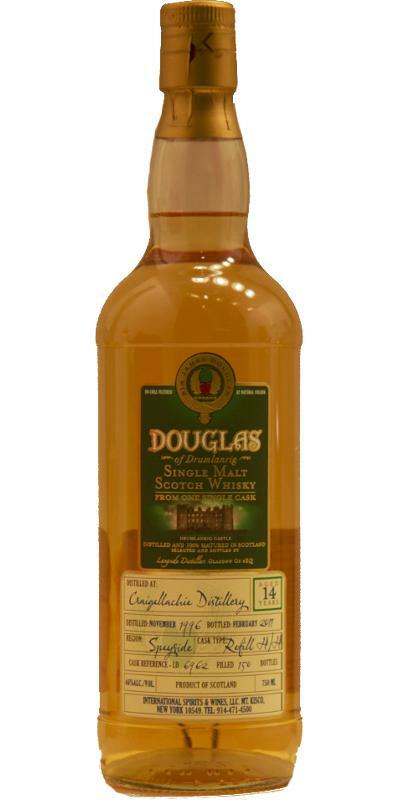 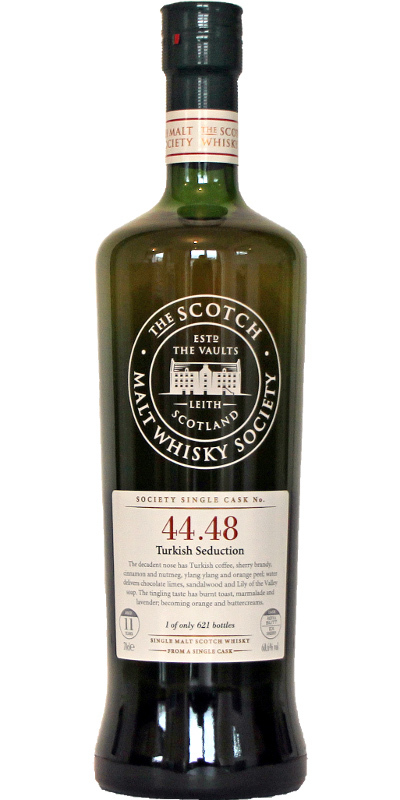 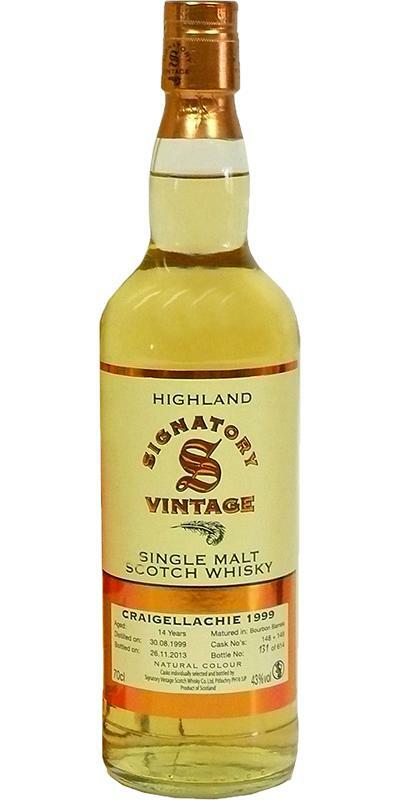 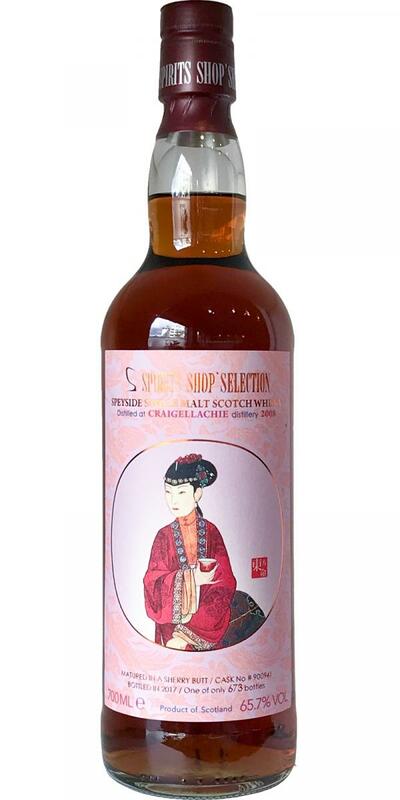 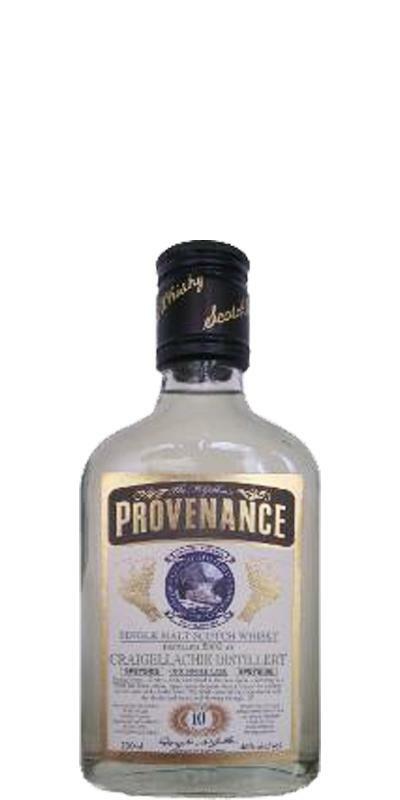 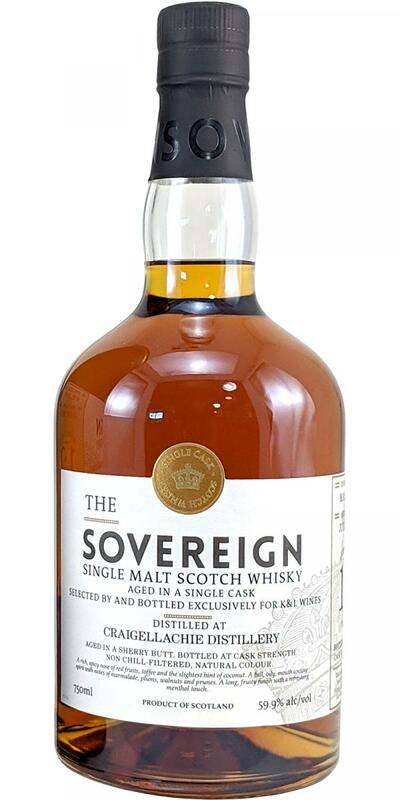 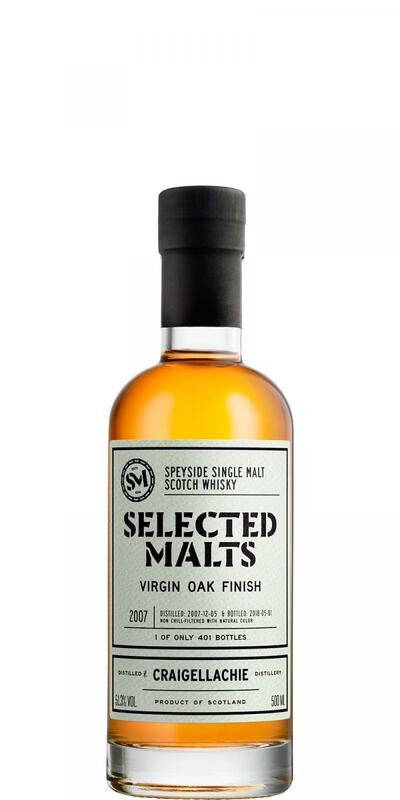 Craigellachie 11-year-old SMD Whiskies of Scotland 11 55.3 % Vol. 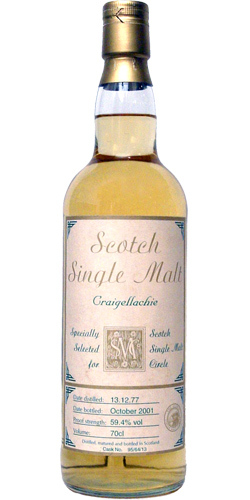 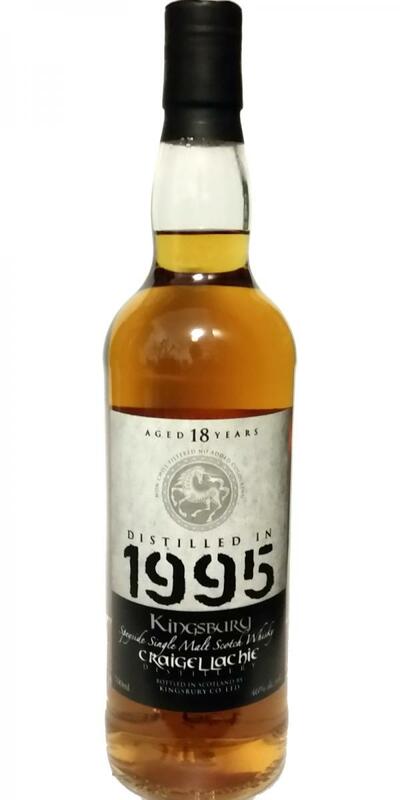 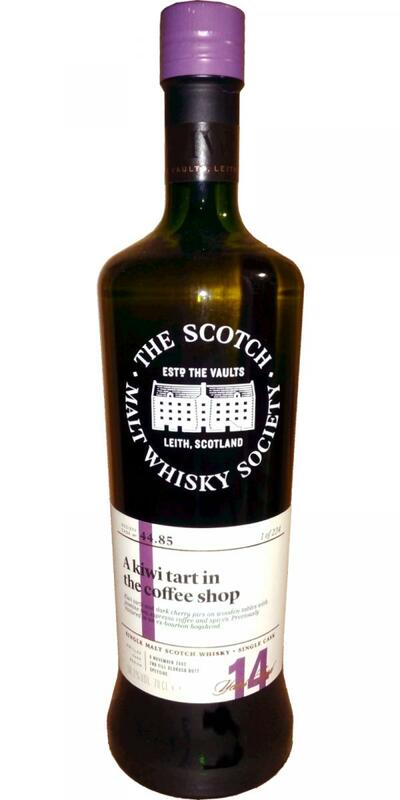 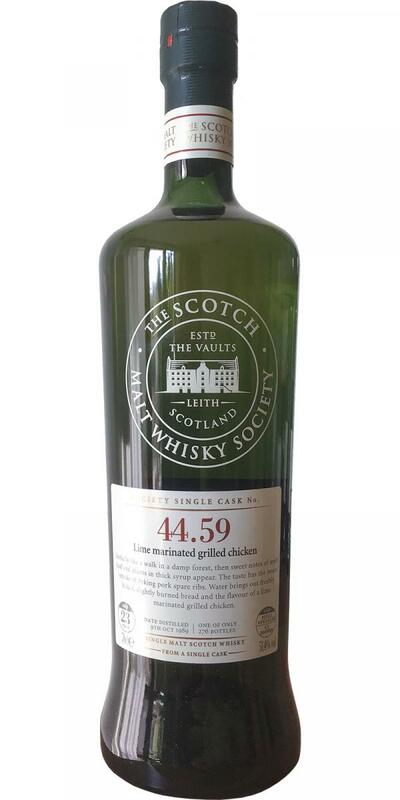 Craigellachie 1999 SMD Whiskies of Scotland 51.7 % Vol. 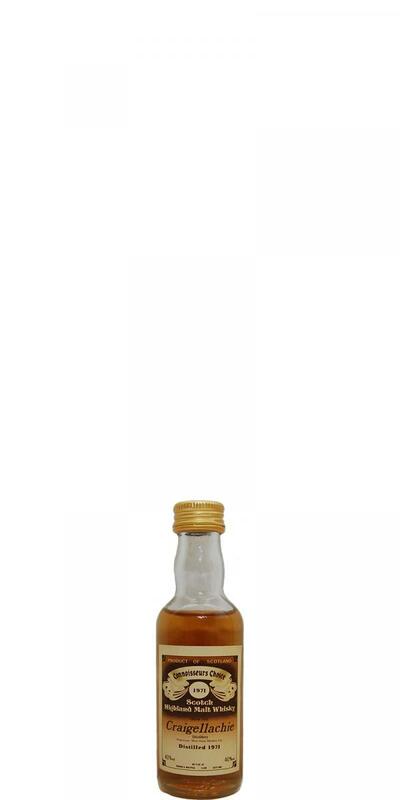 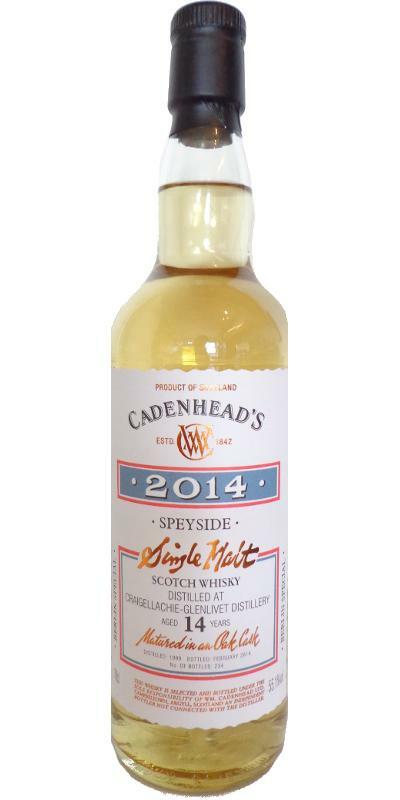 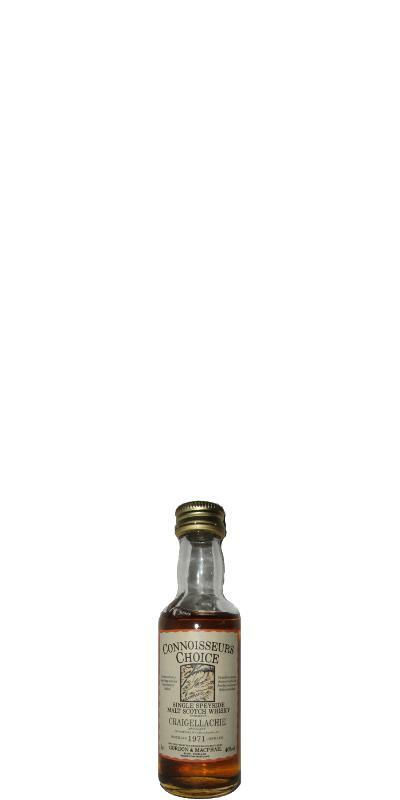 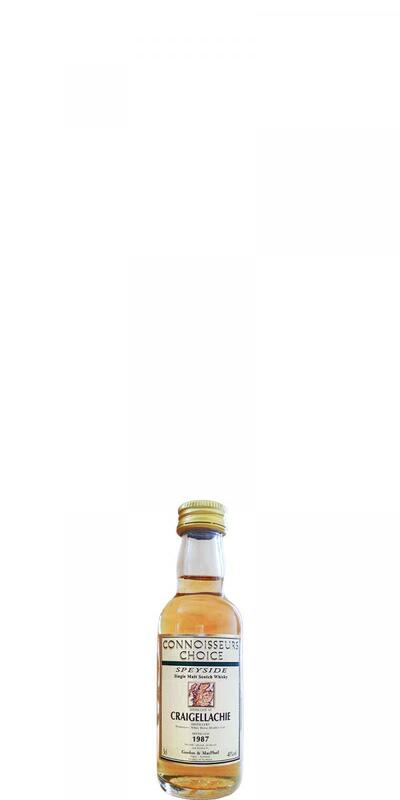 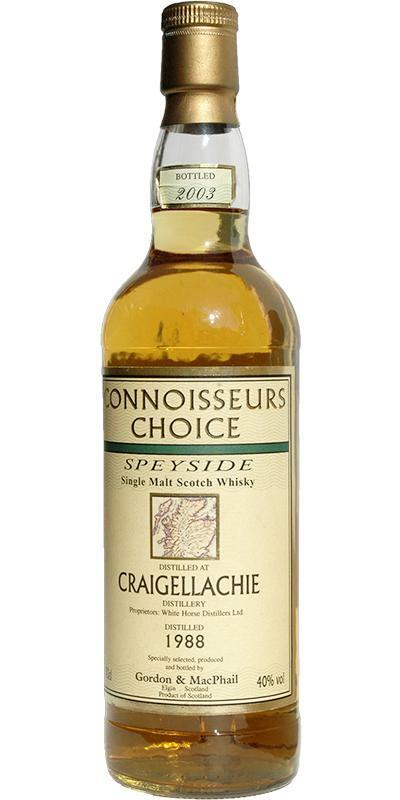 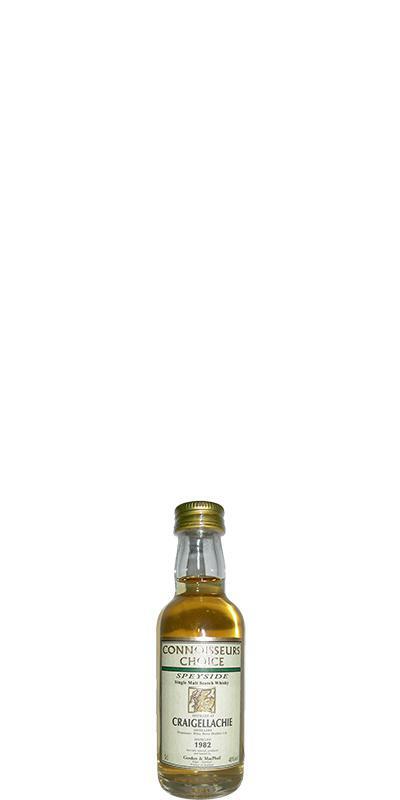 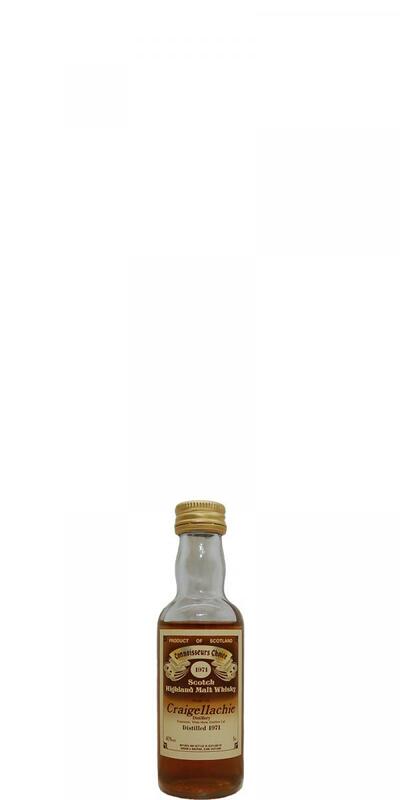 Craigellachie 2000 SMD Whiskies of Scotland 53.1 % Vol. 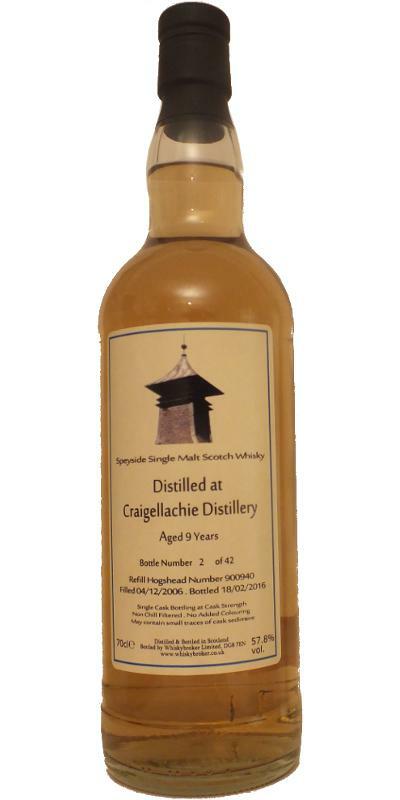 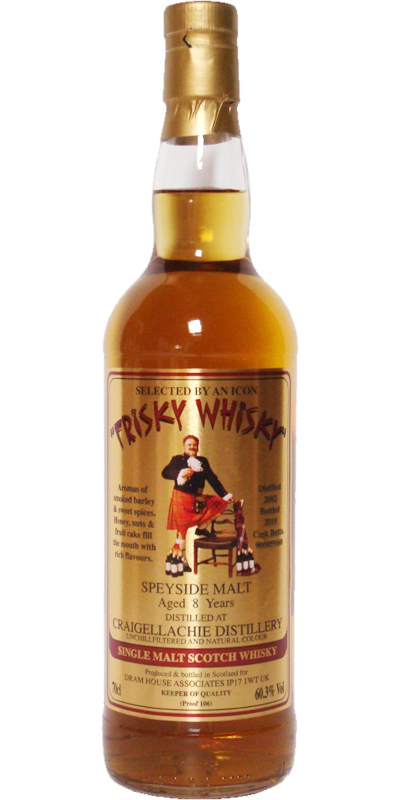 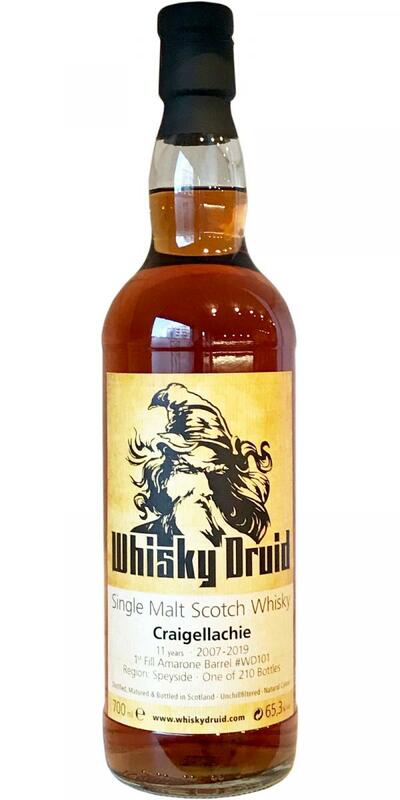 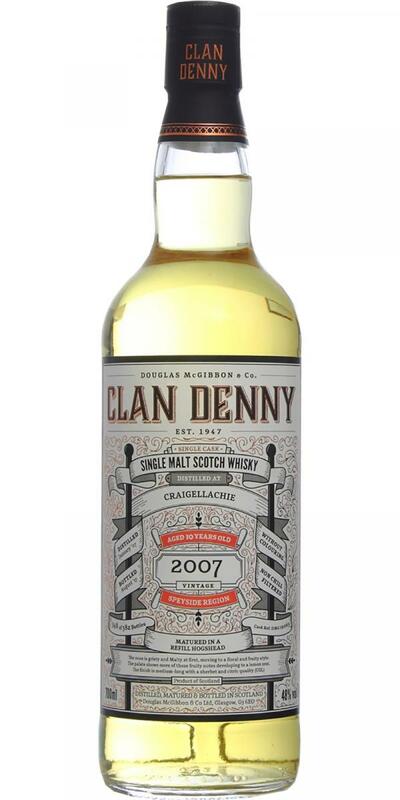 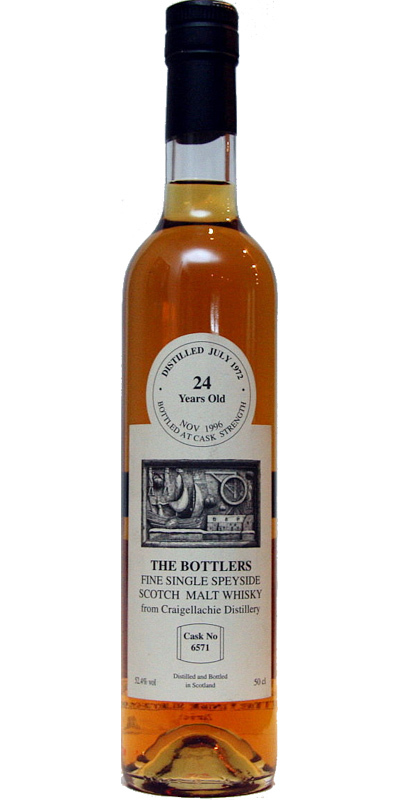 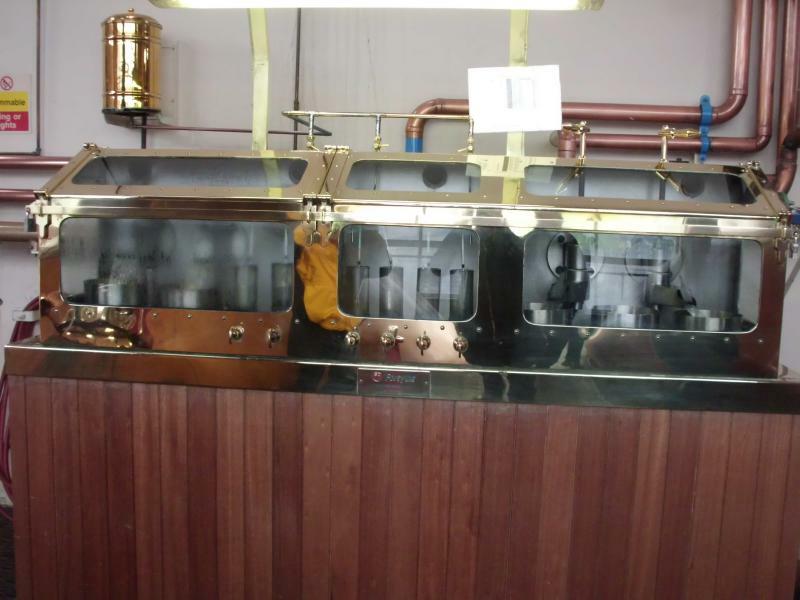 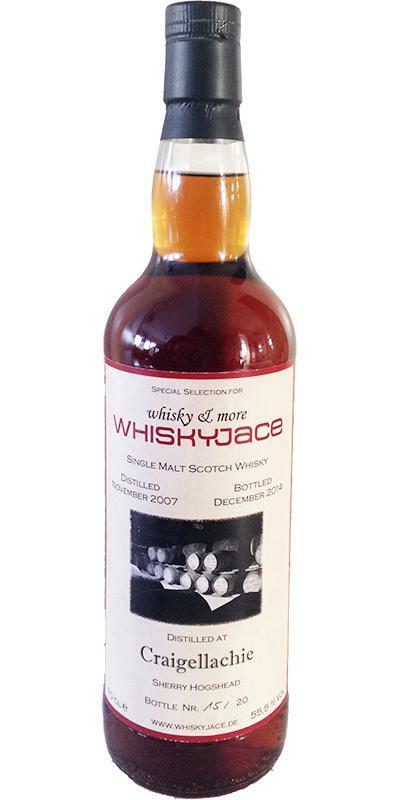 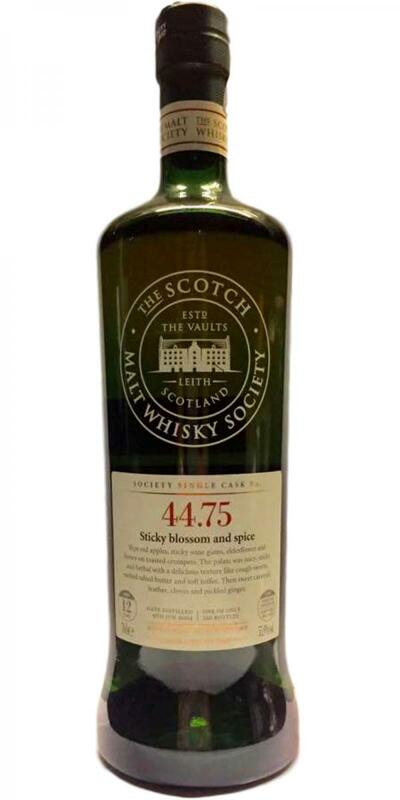 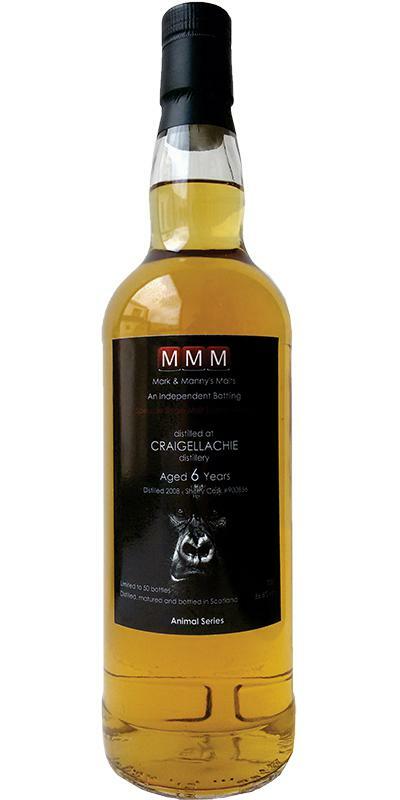 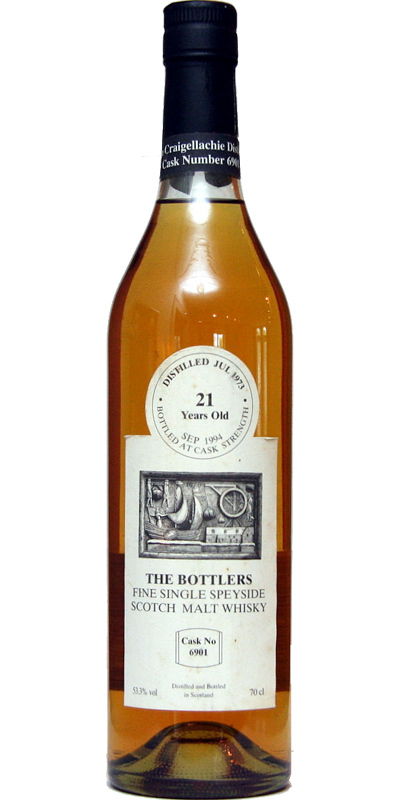 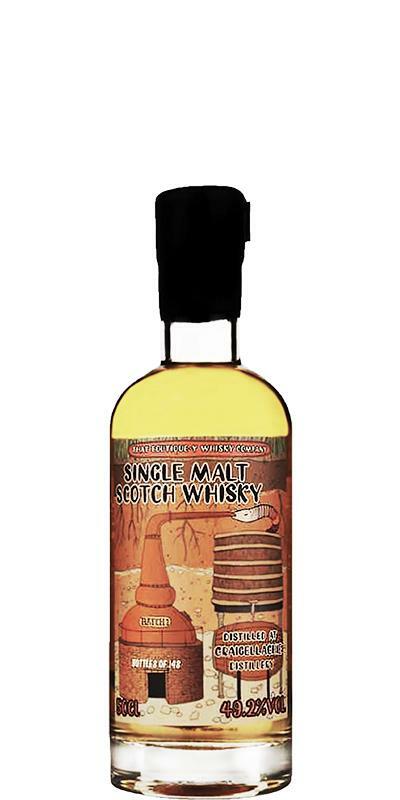 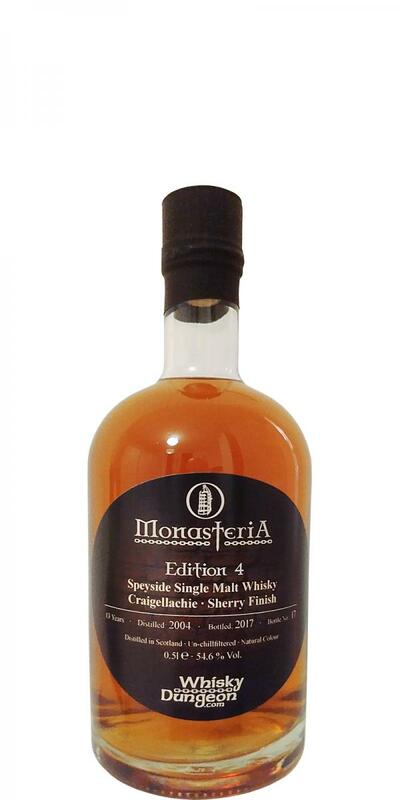 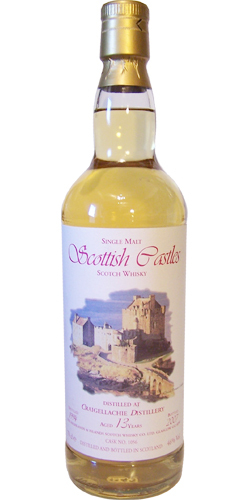 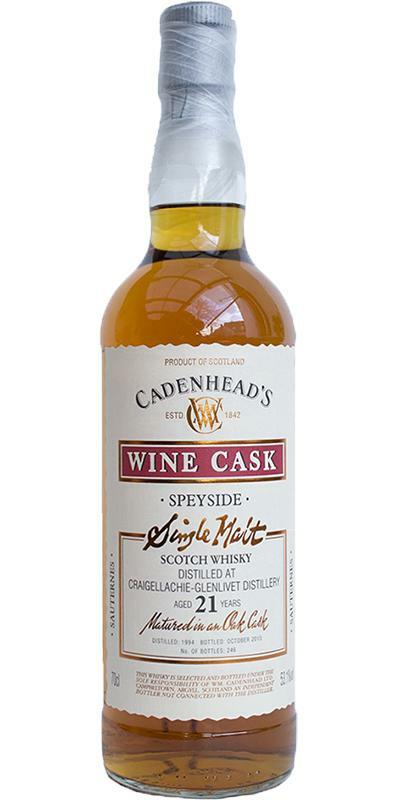 Craigellachie 2008 SMD Whiskies of Scotland 52.7 % Vol.